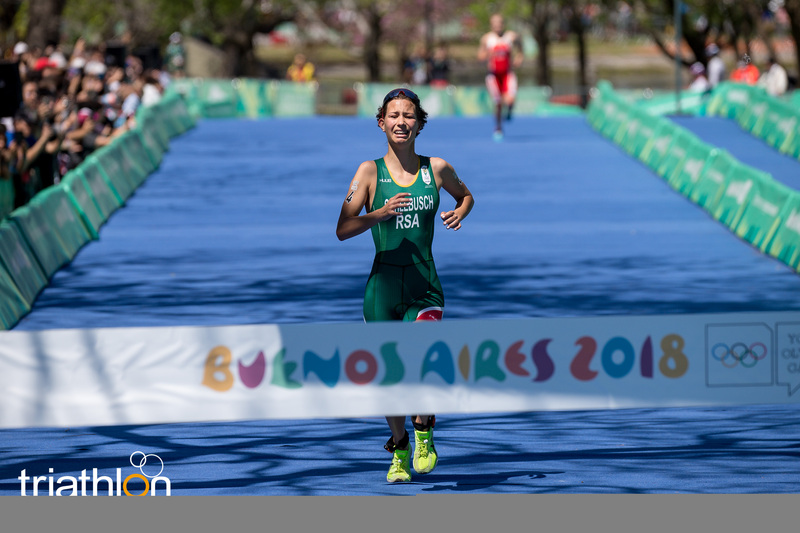 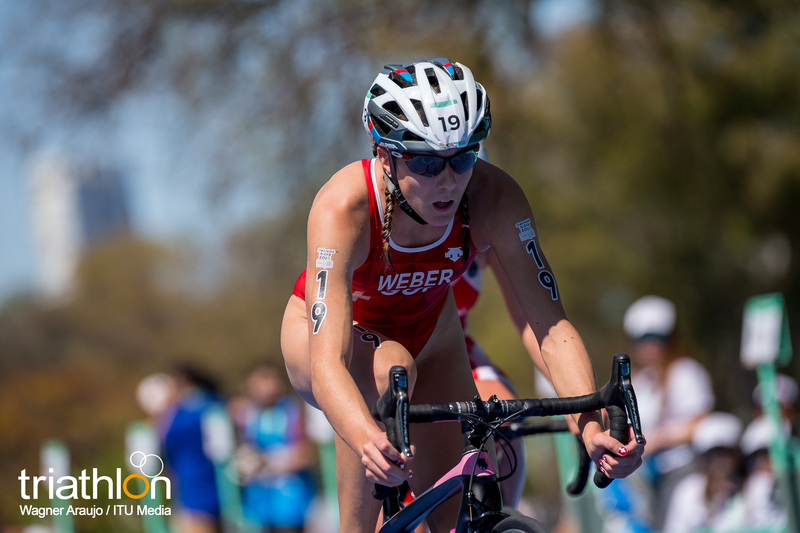 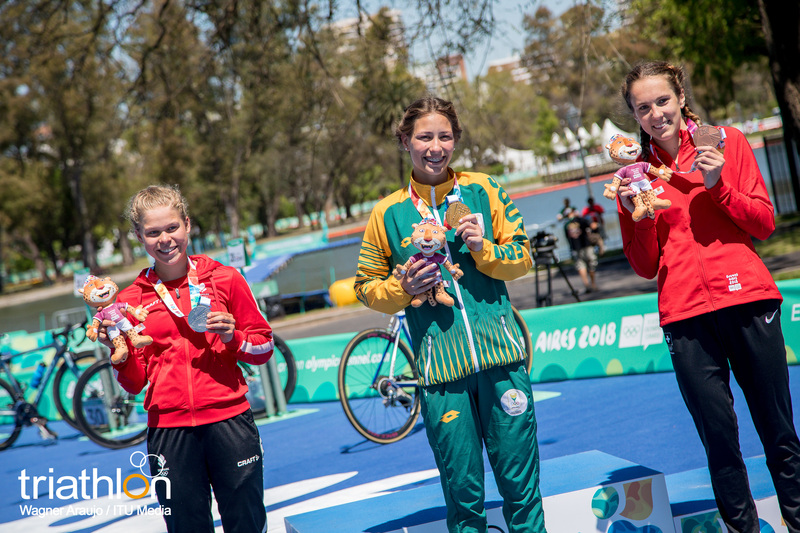 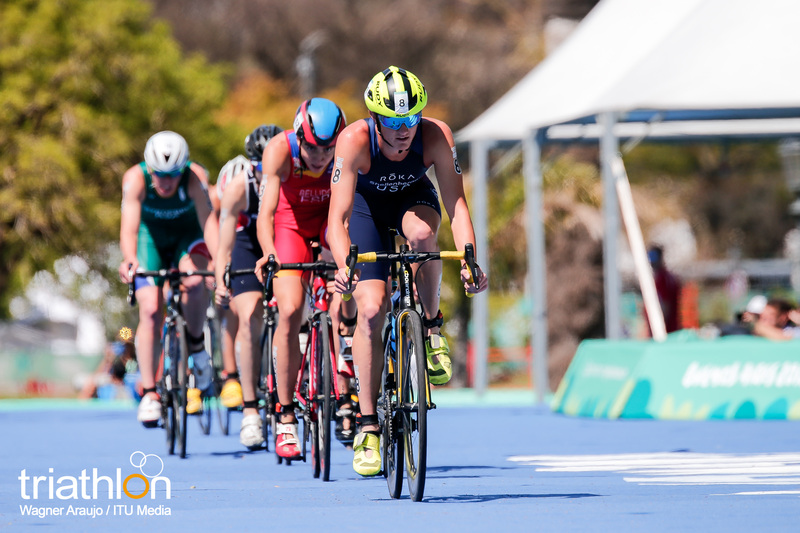 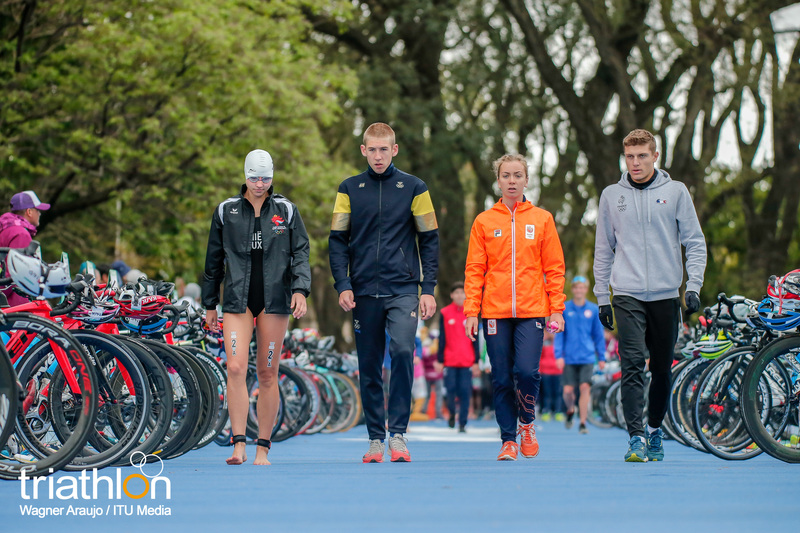 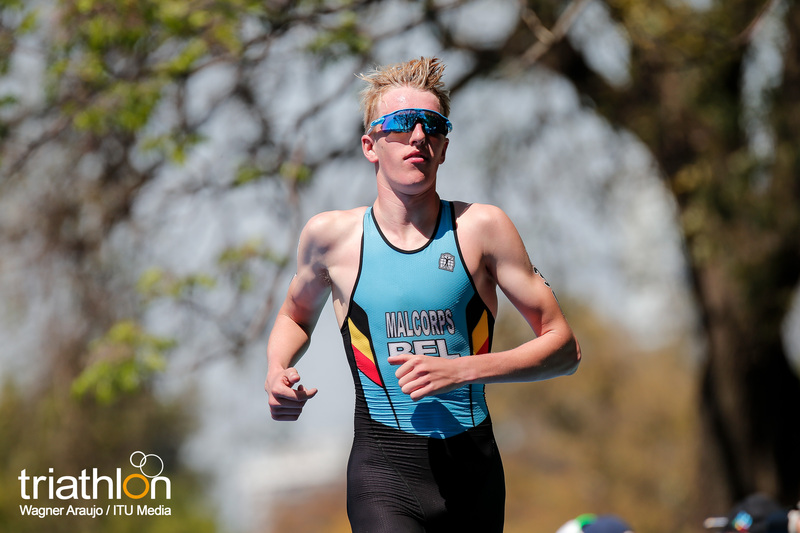 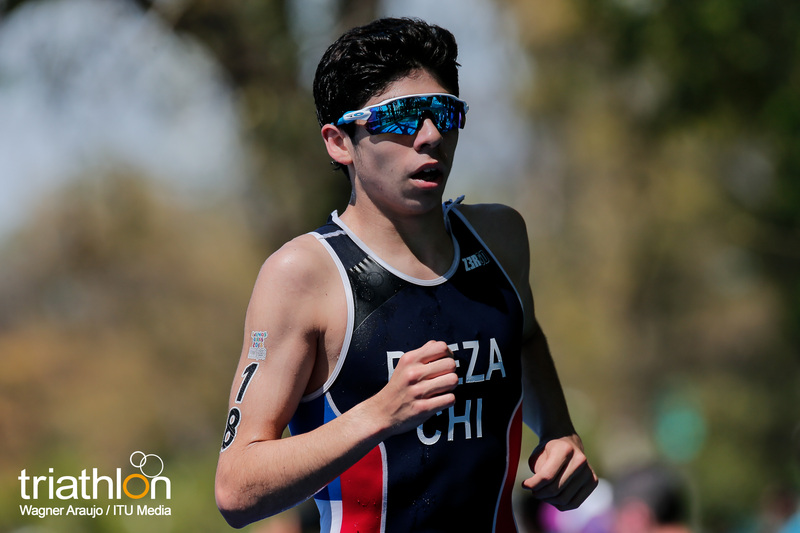 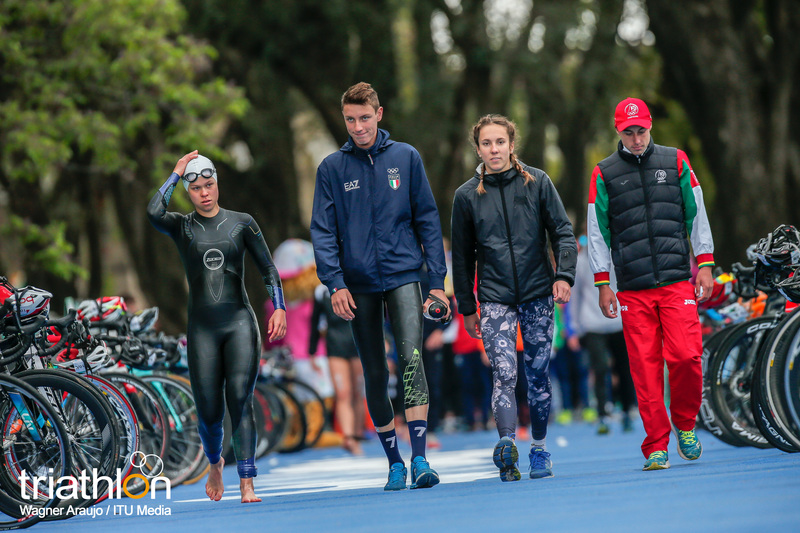 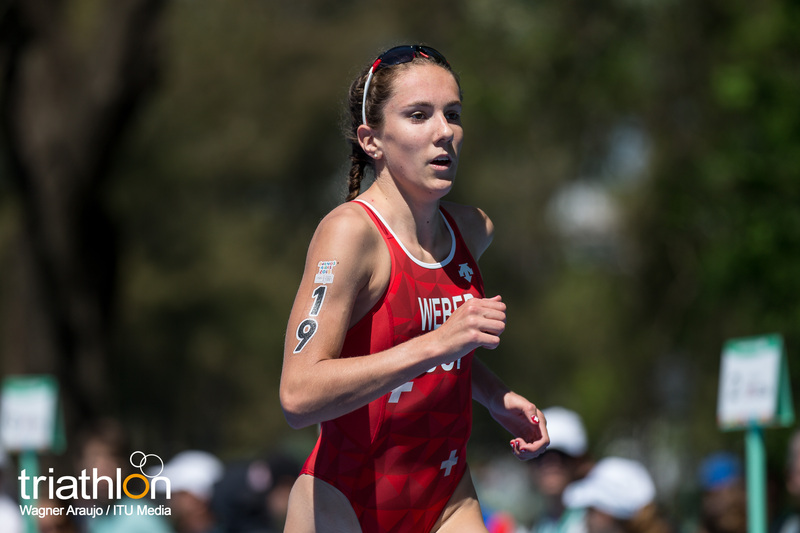 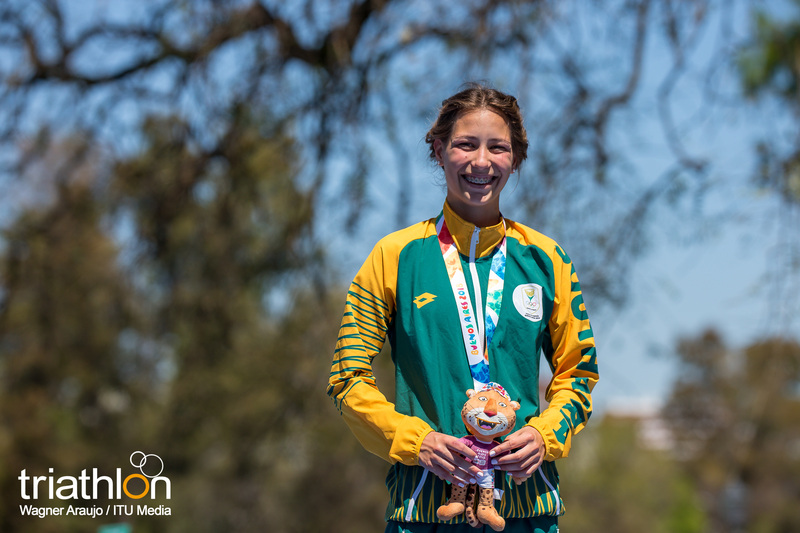 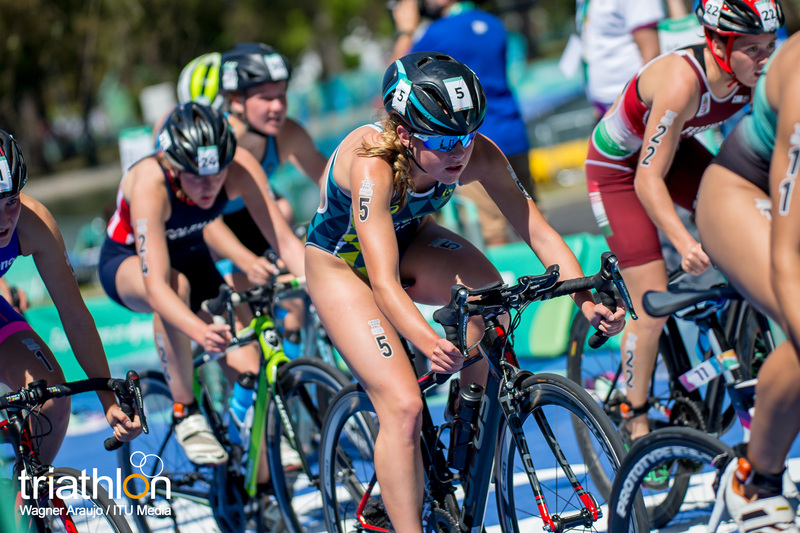 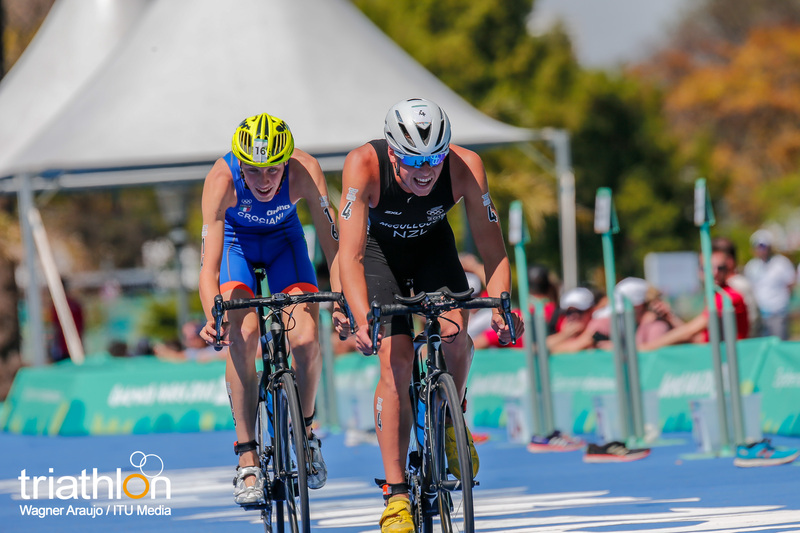 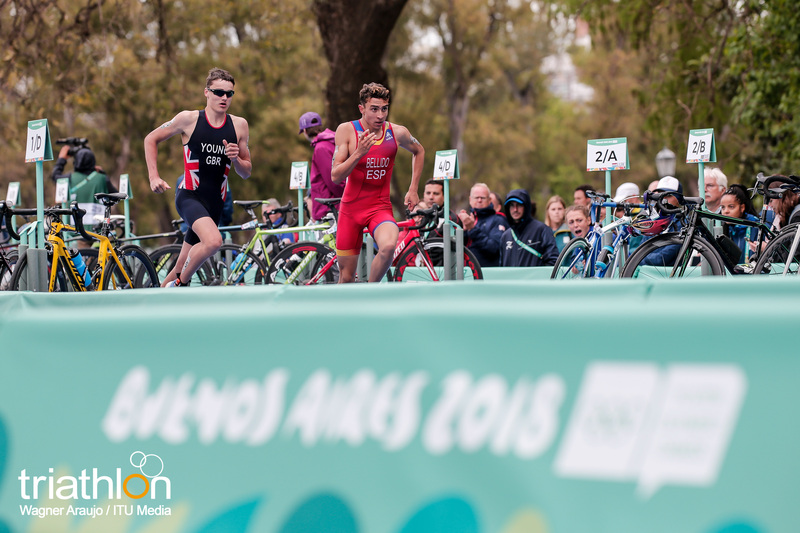 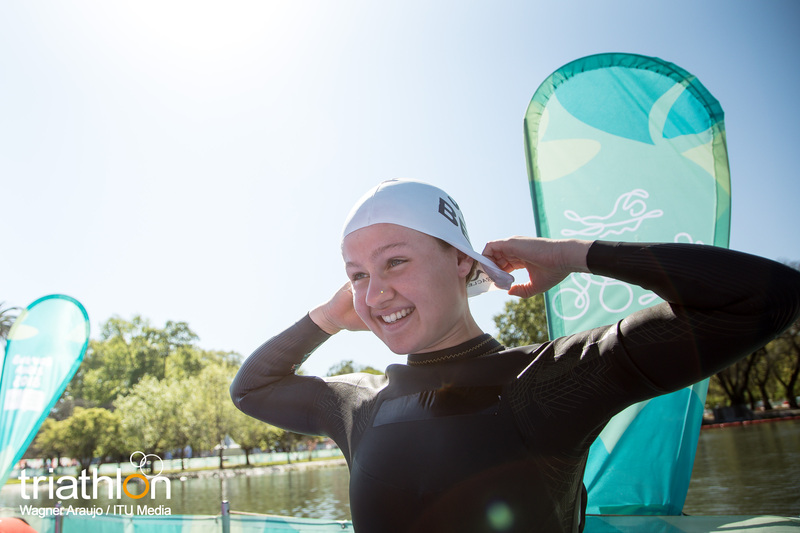 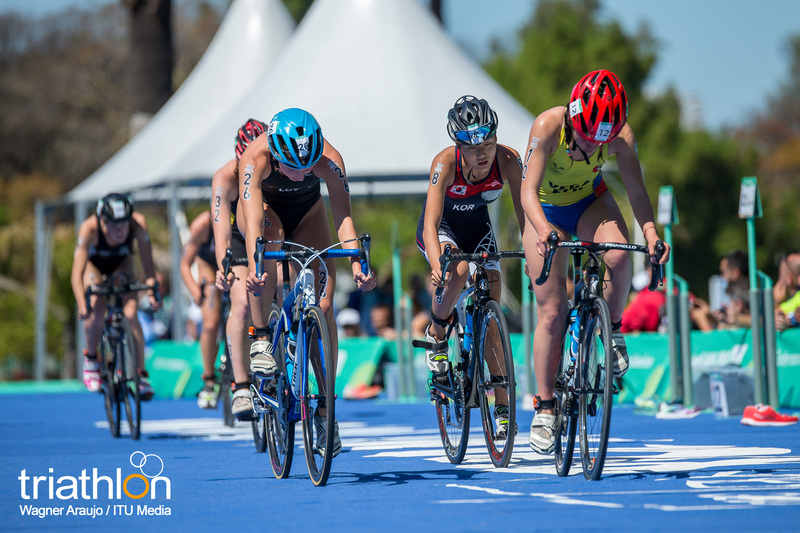 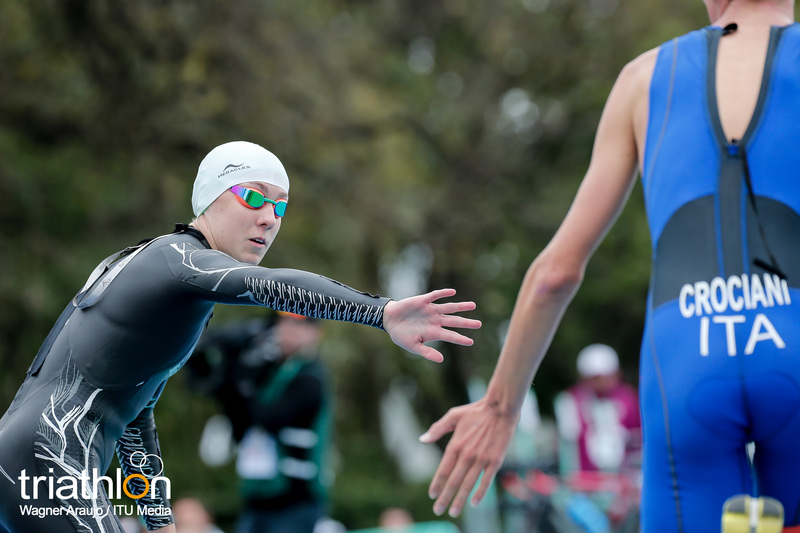 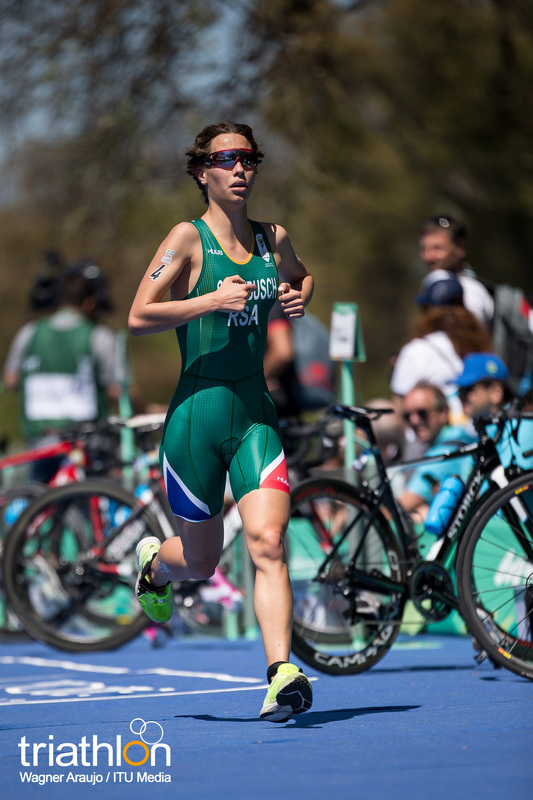 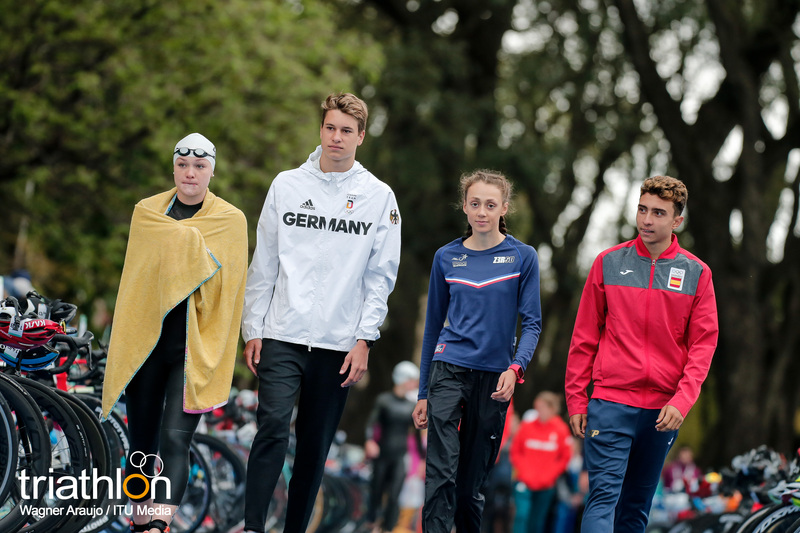 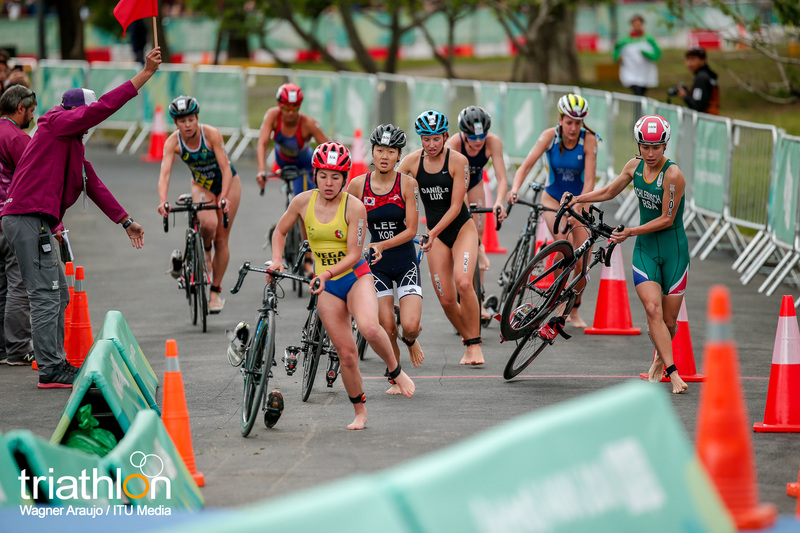 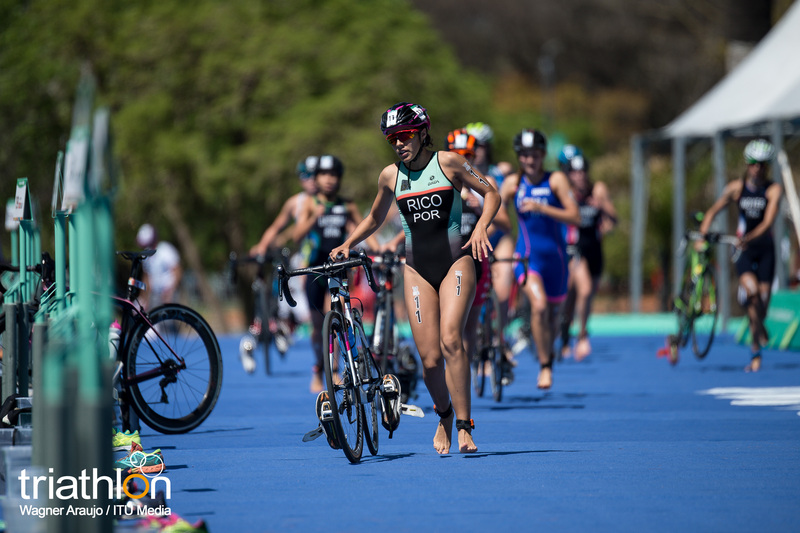 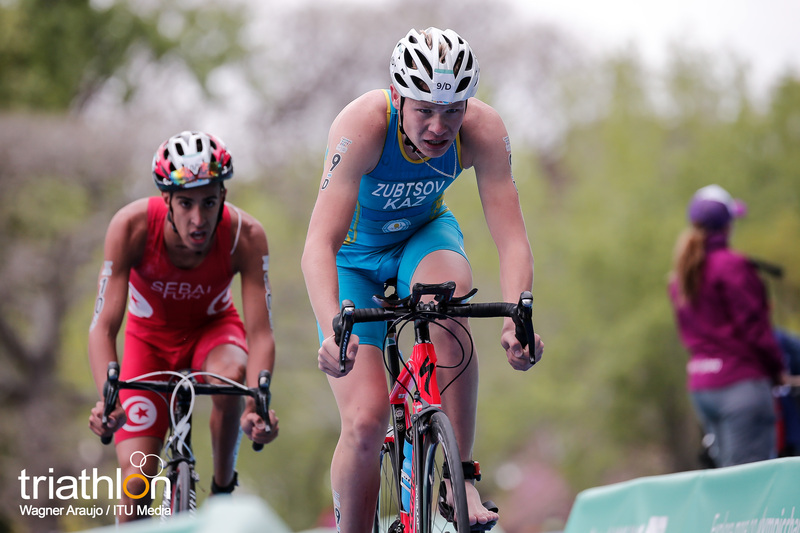 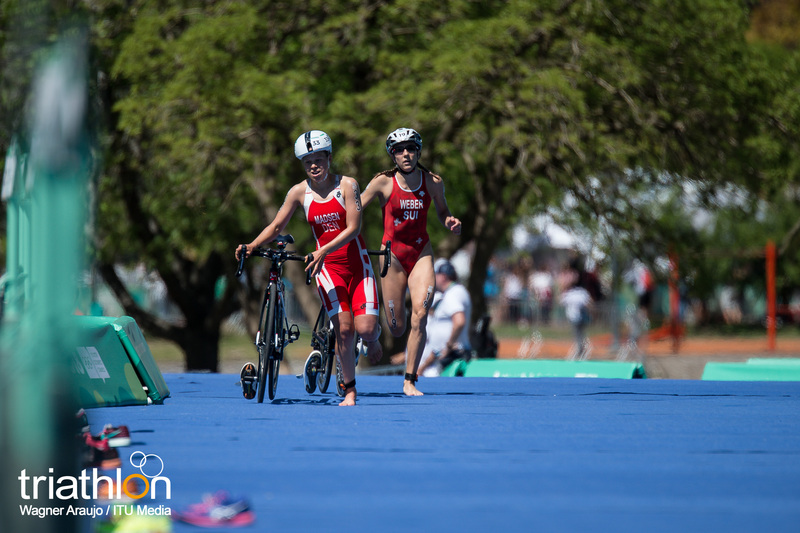 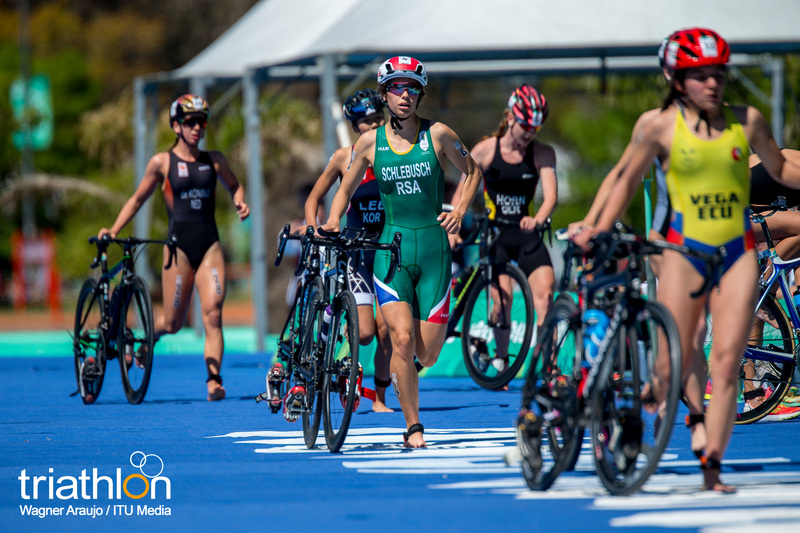 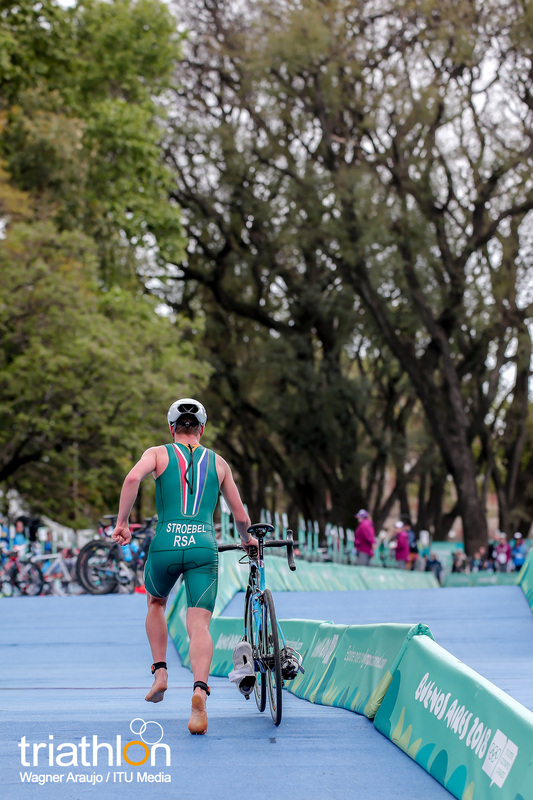 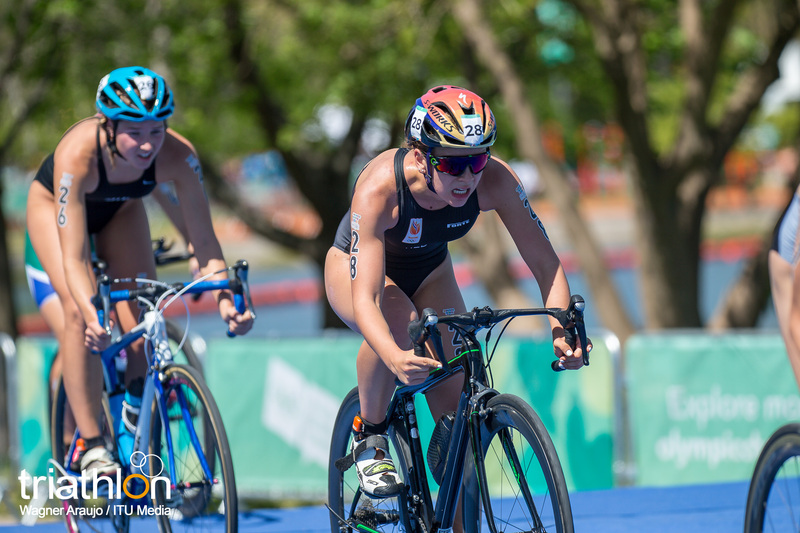 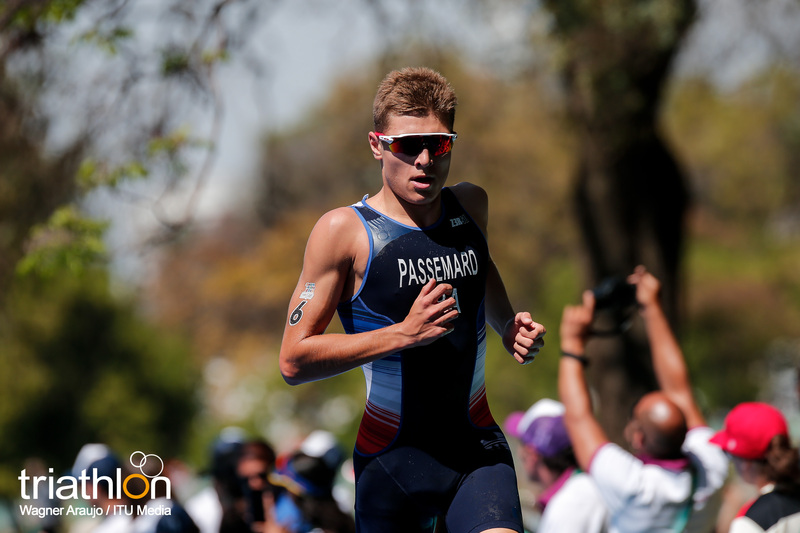 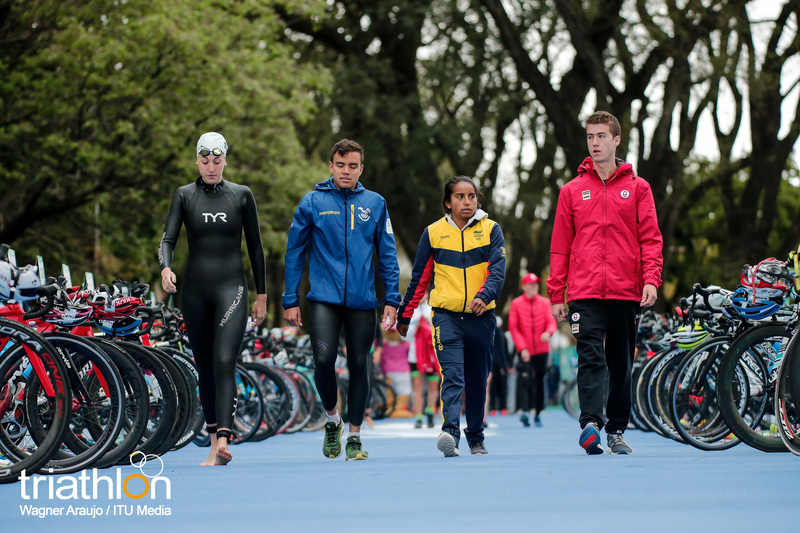 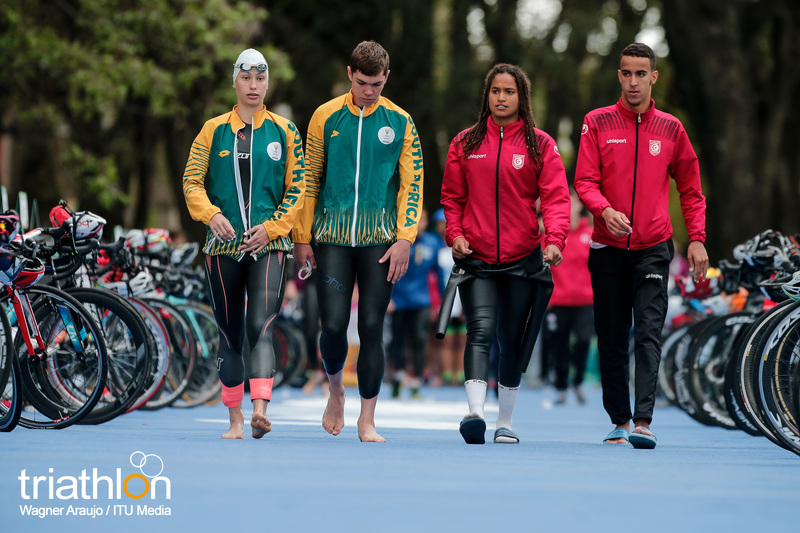 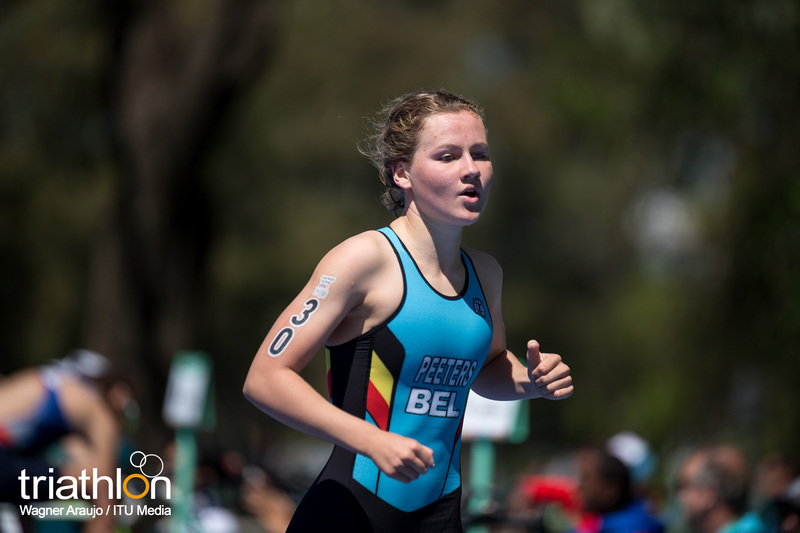 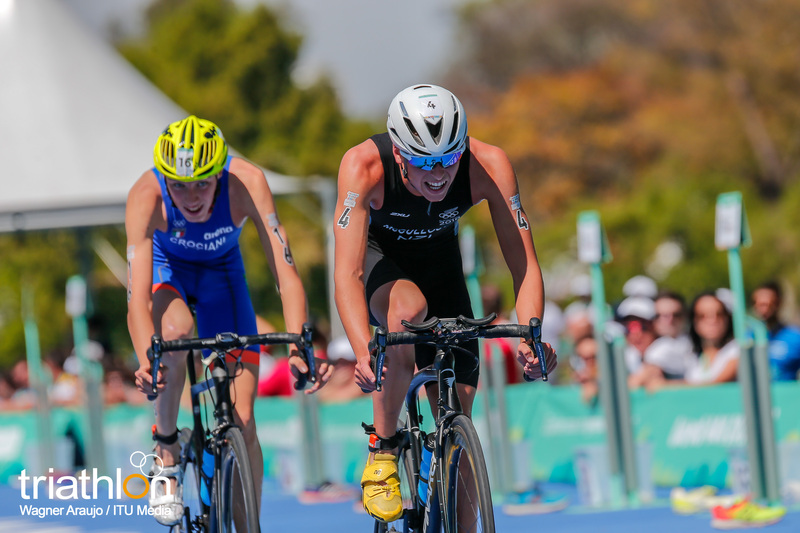 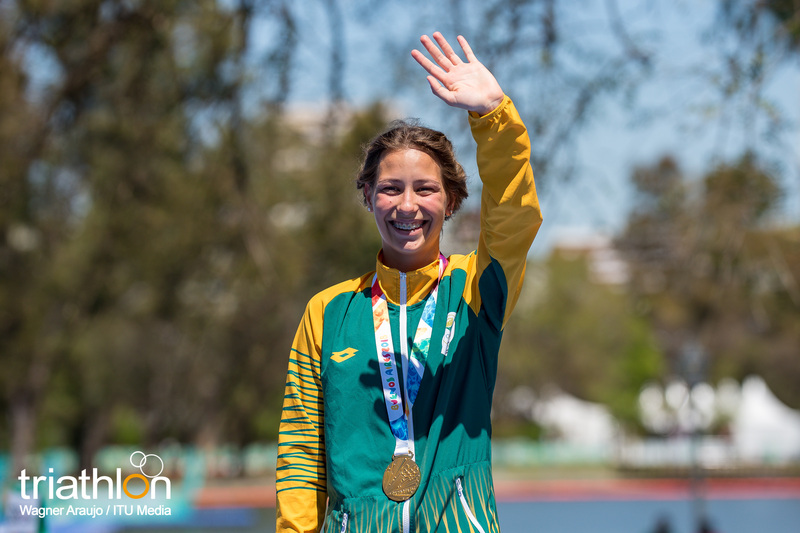 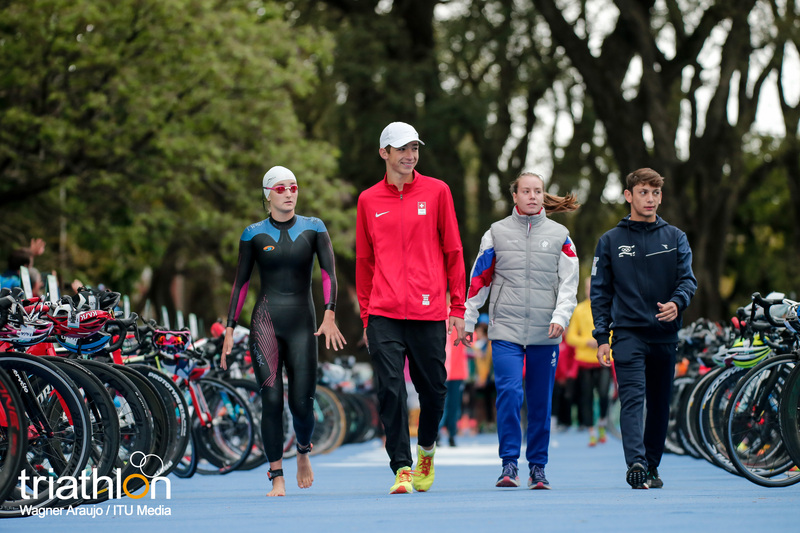 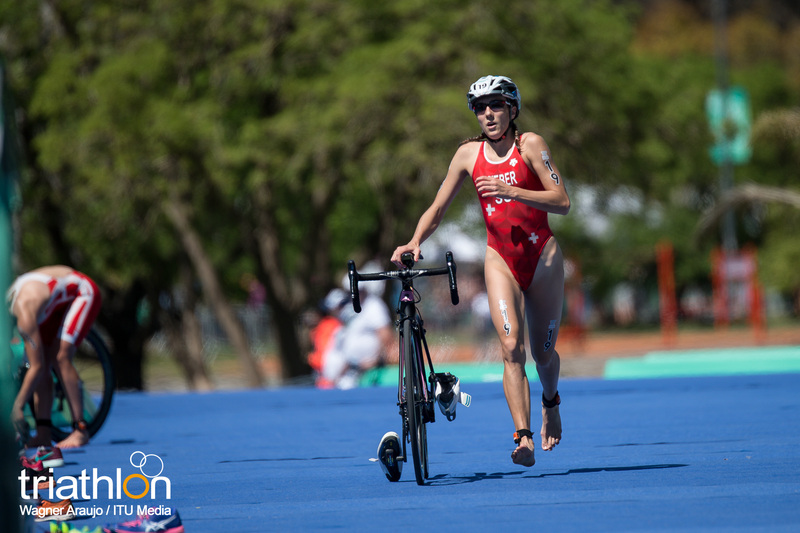 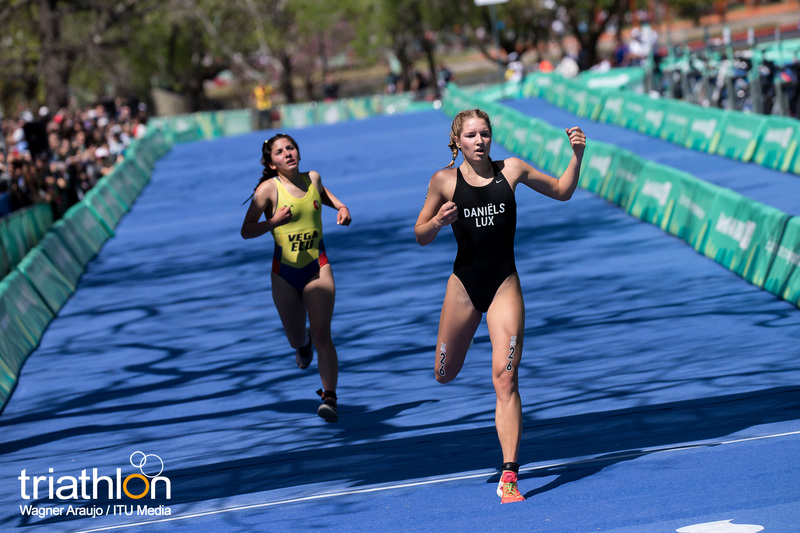 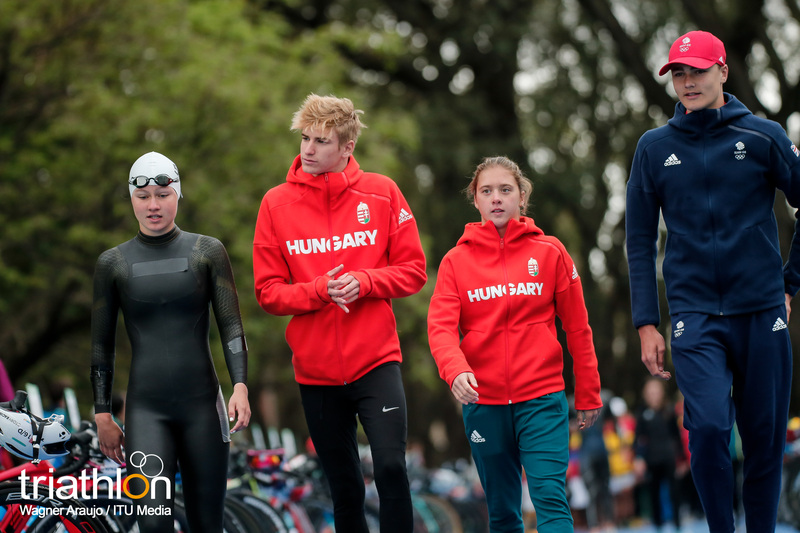 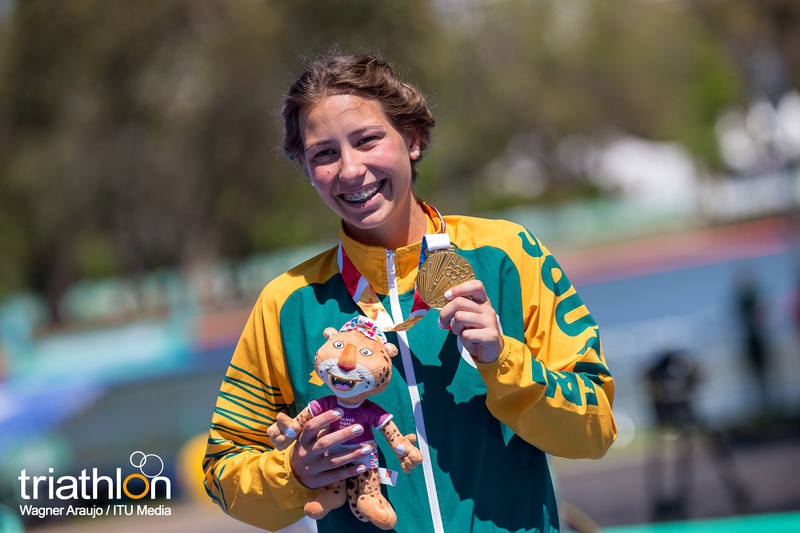 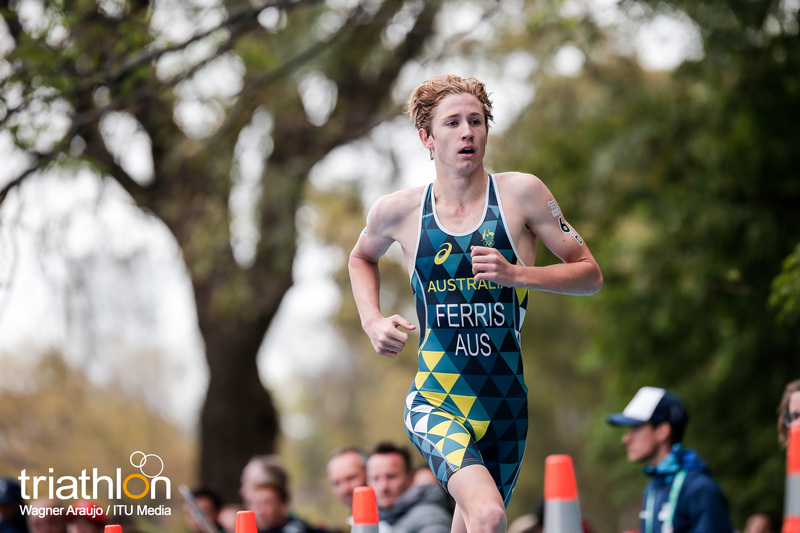 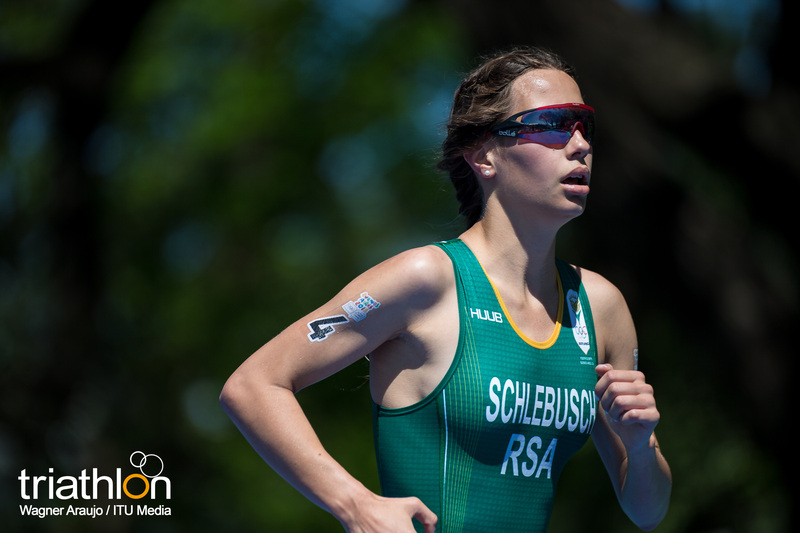 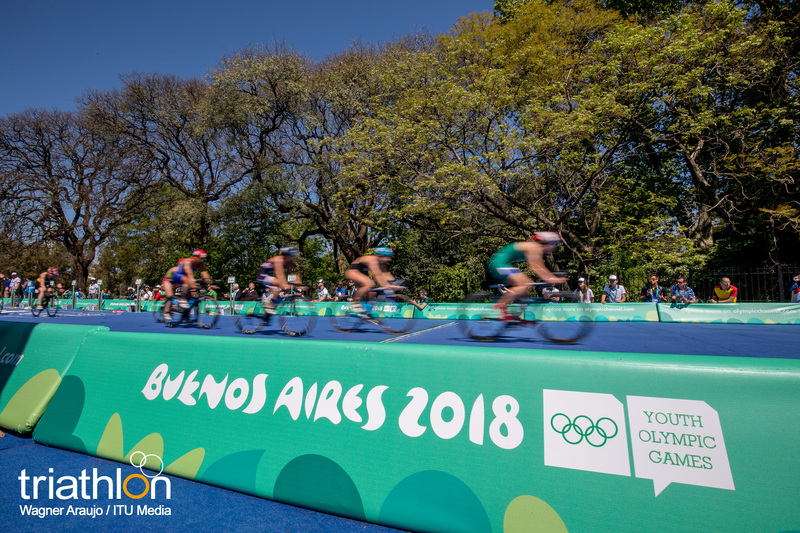 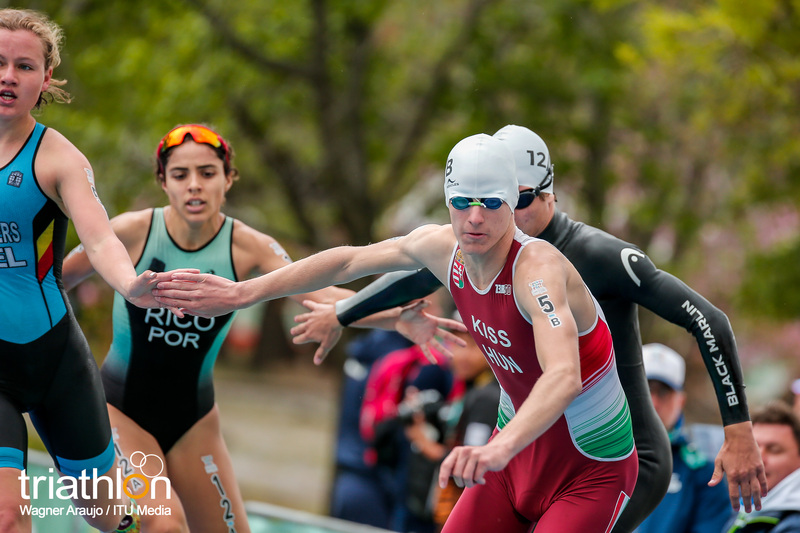 Sixty-four young triathletes from all five continents are ready to take the stage this weekend in the capital of Argentina, Buenos Aires, where everything is ready for the third edition of the Youth Olympic Games. 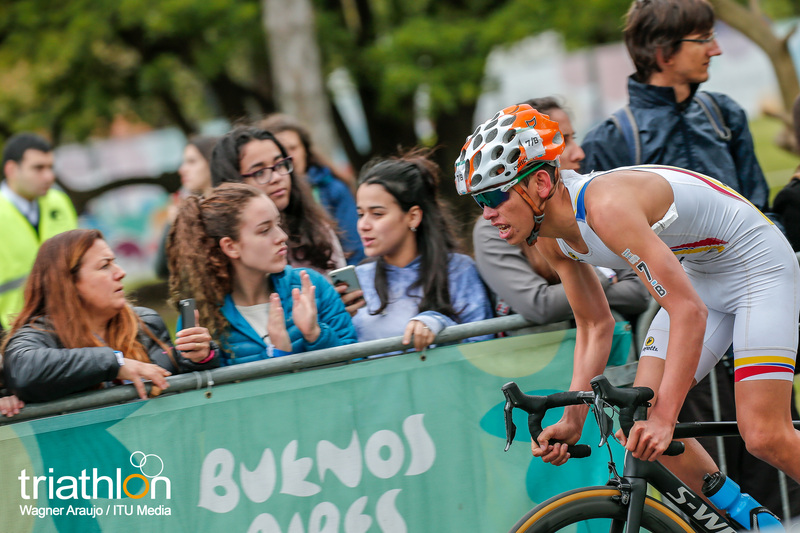 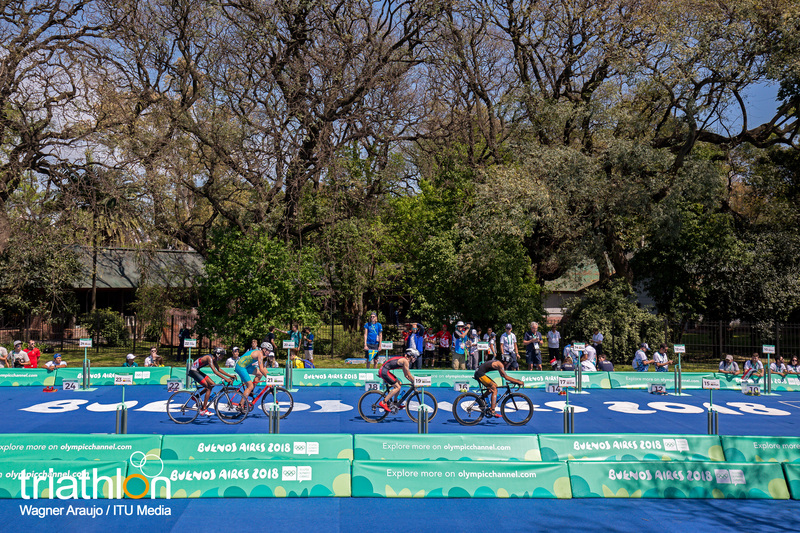 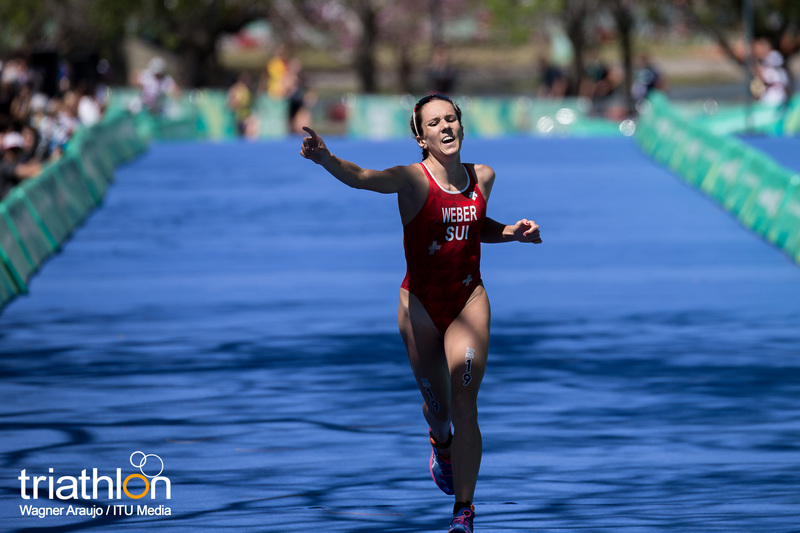 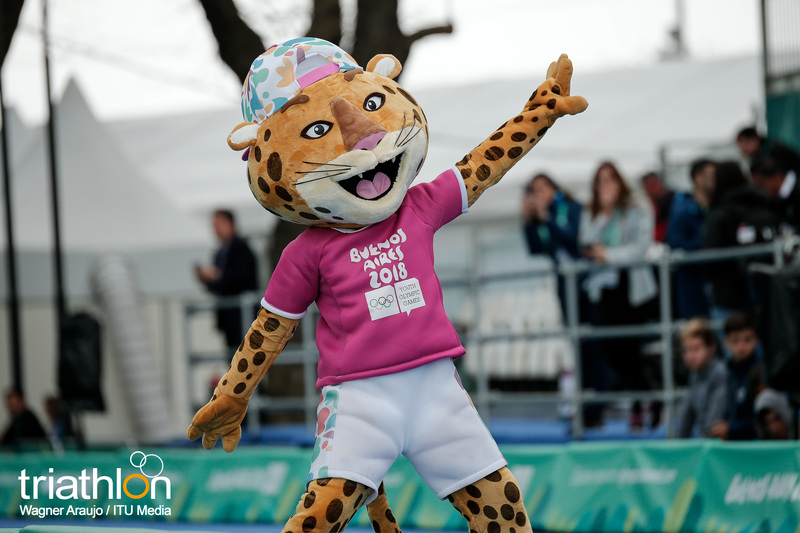 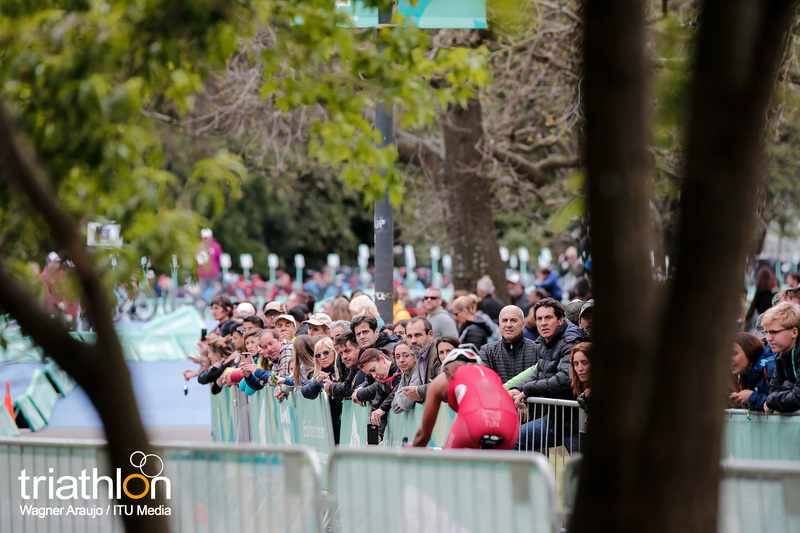 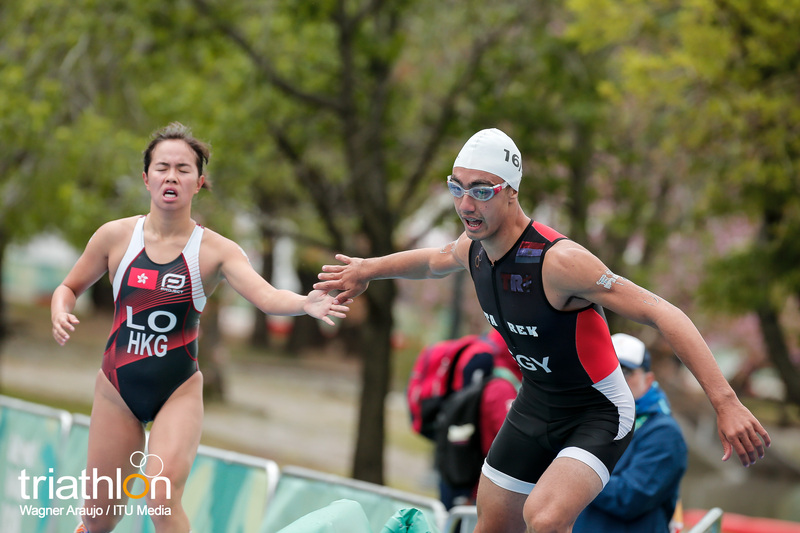 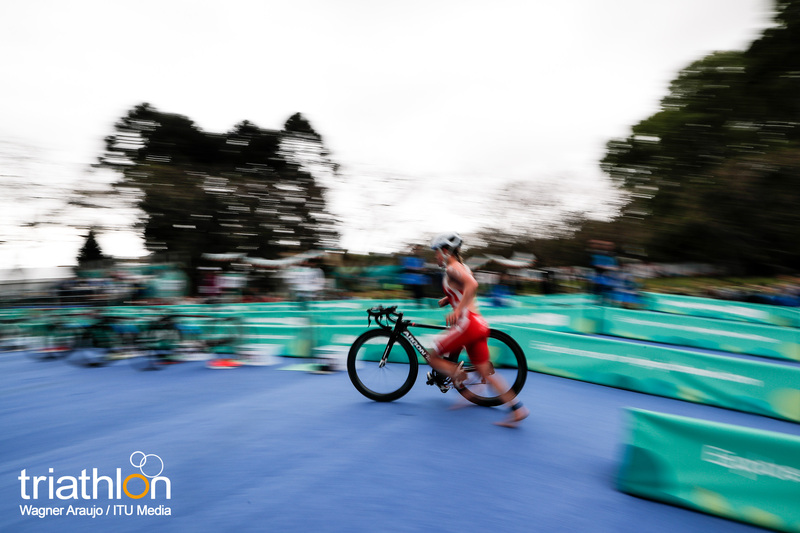 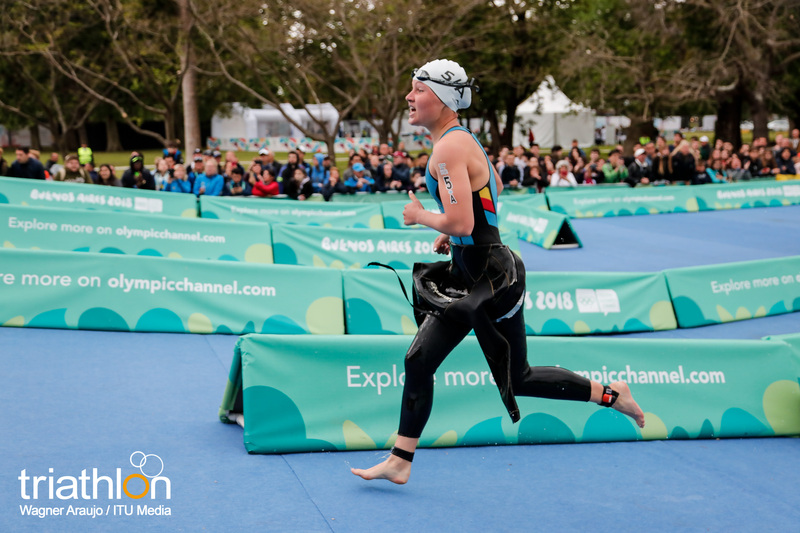 The Women’s race will take place on Sunday October 7th and the Men’s on October 8th, while the Mixed Relay will fill Buenos Aires with excitement and fast and furios action on Thursday. 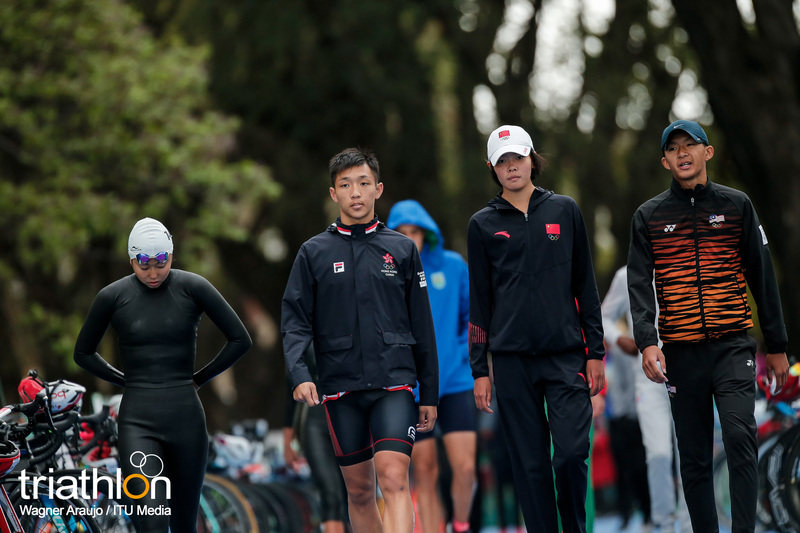 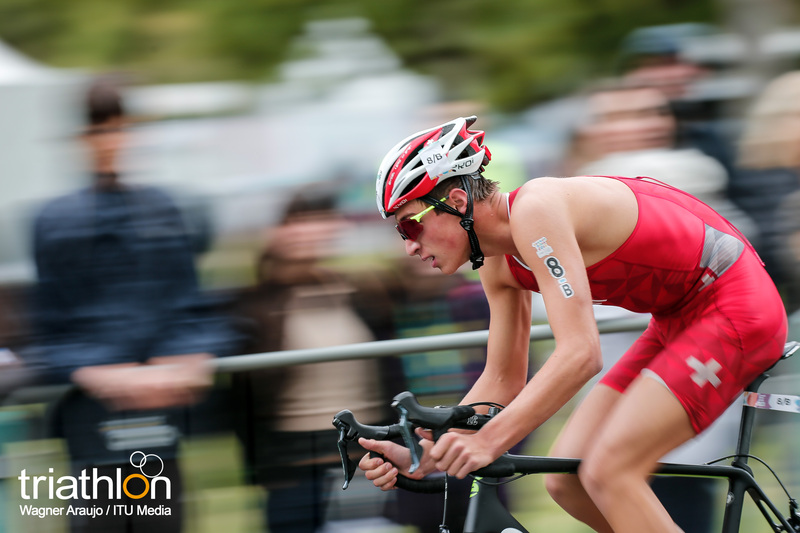 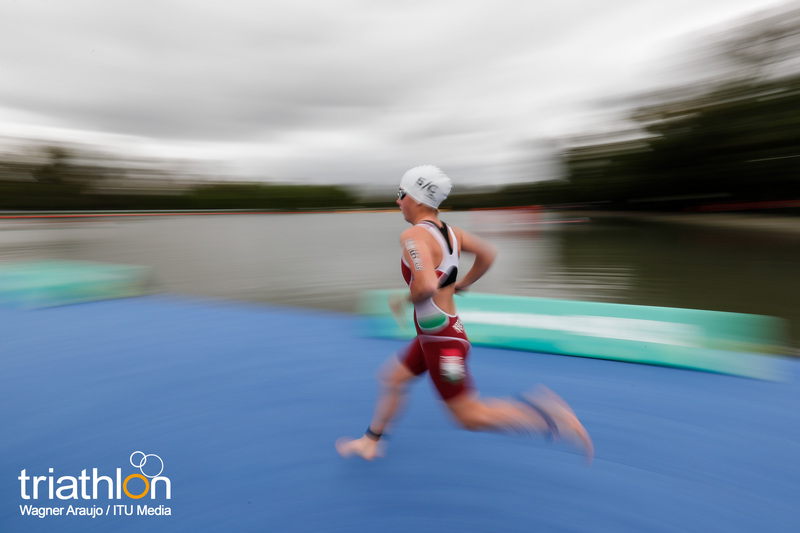 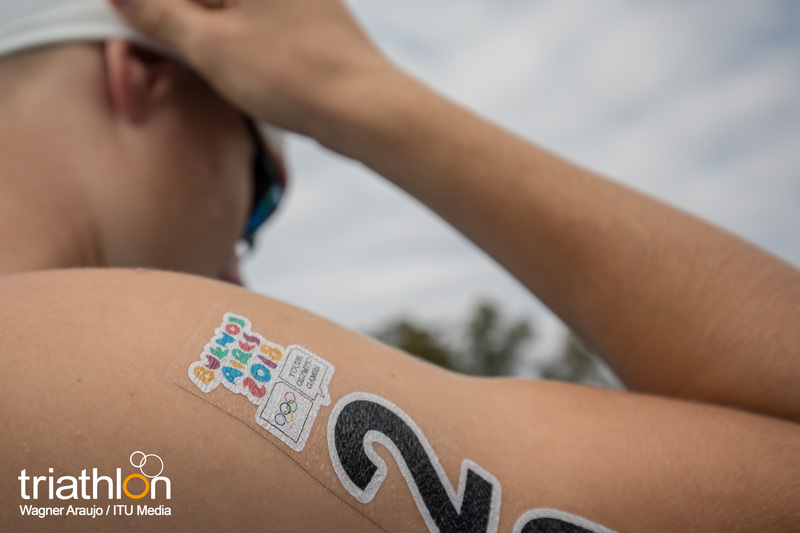 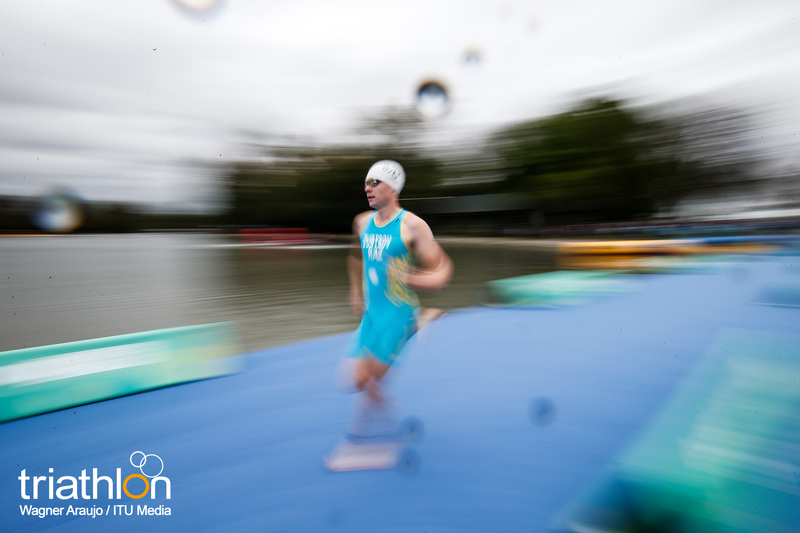 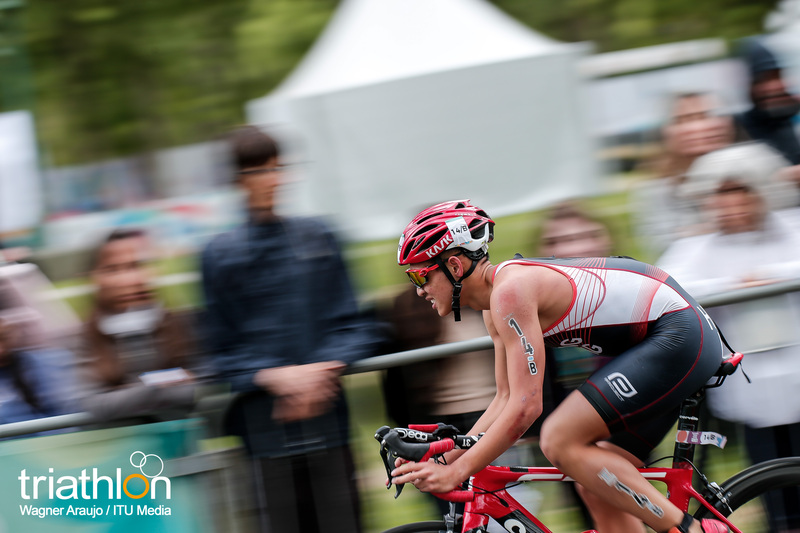 The inaugural Youth Olympic Games were contested in Singapore in 2010 and triathlon was the very first medal event. 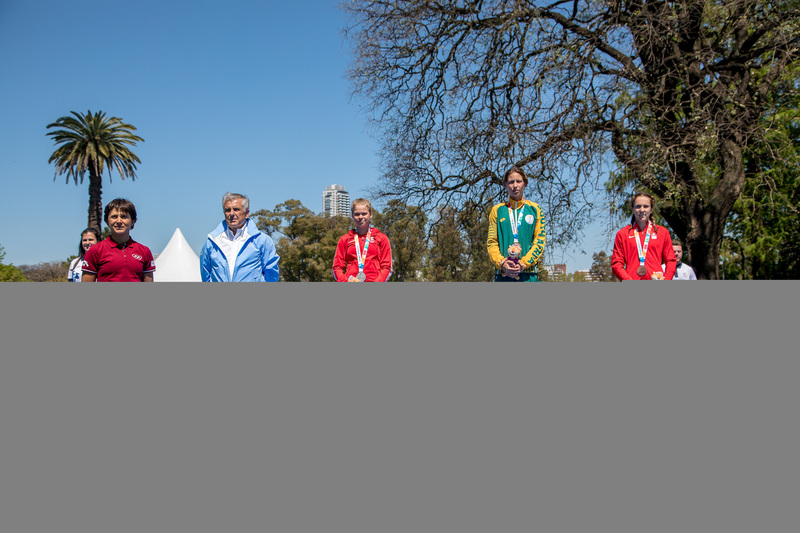 There, Japan’s Yuka Sato claimed the first gold, ahead of Australia’s Ellie Salthouse who claimed silver while the USA’s Kelly Whitley took the bronze. 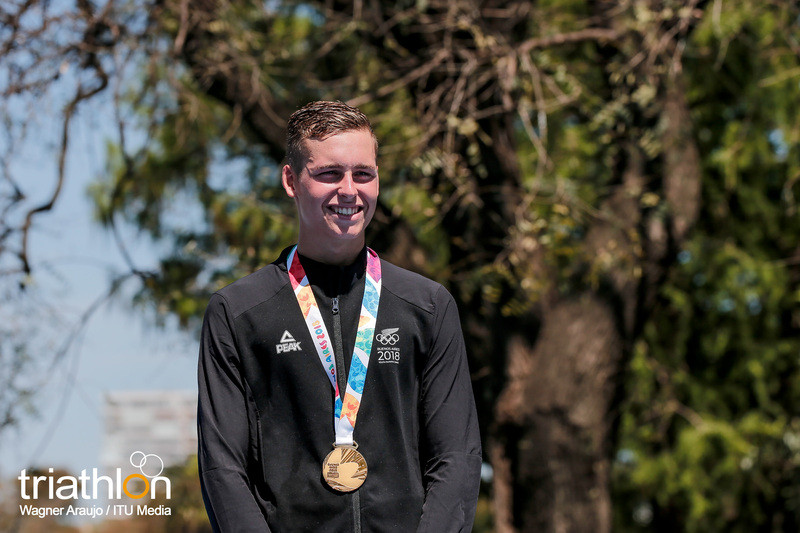 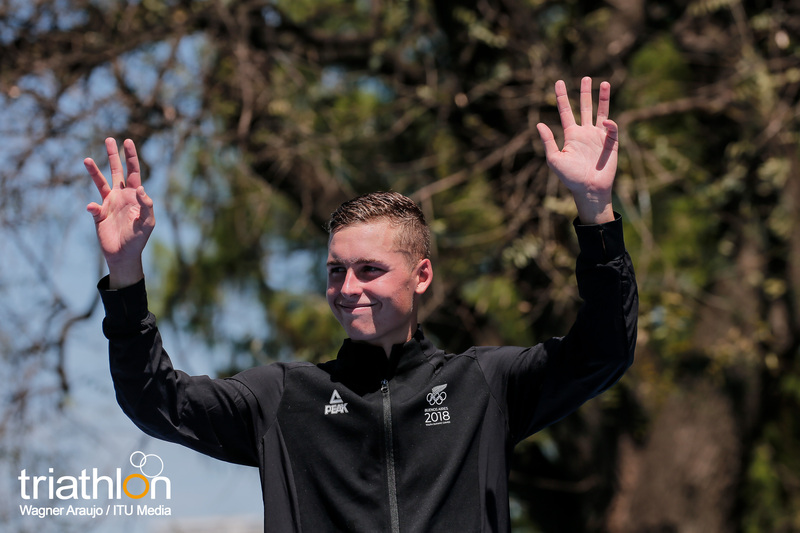 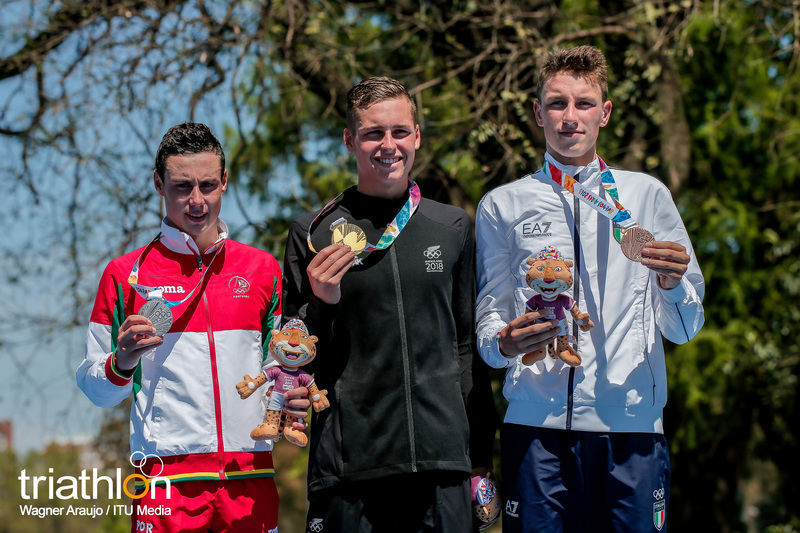 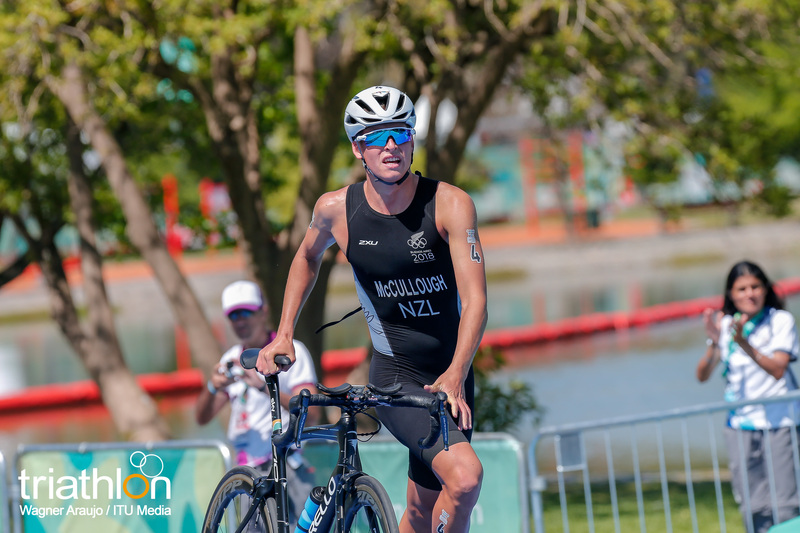 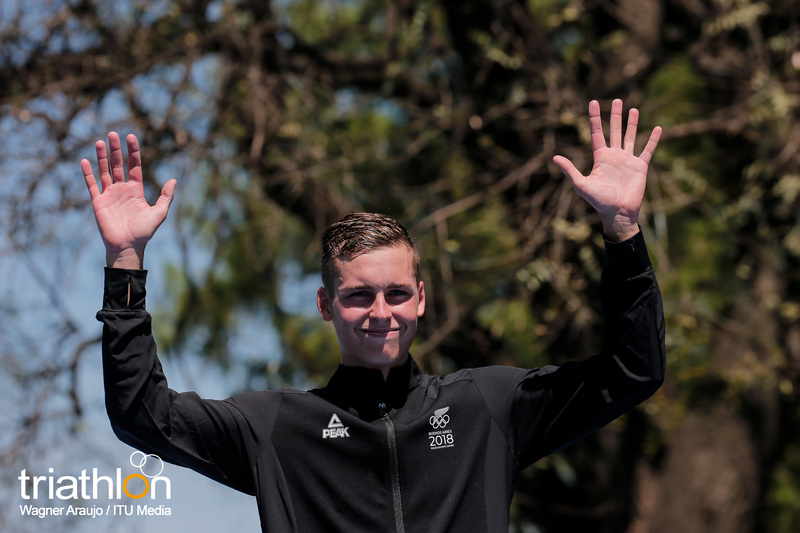 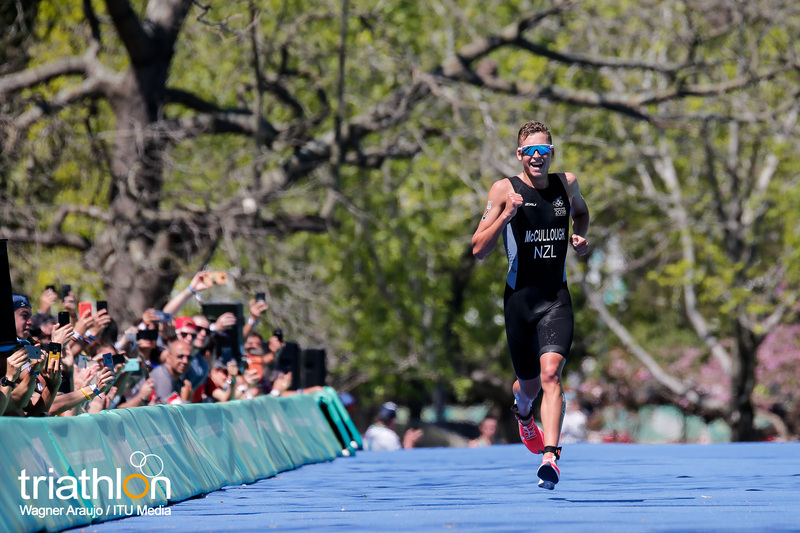 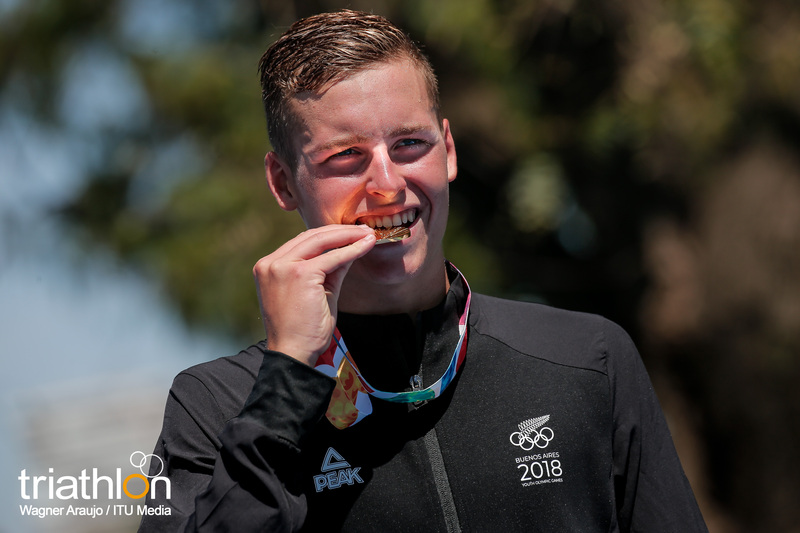 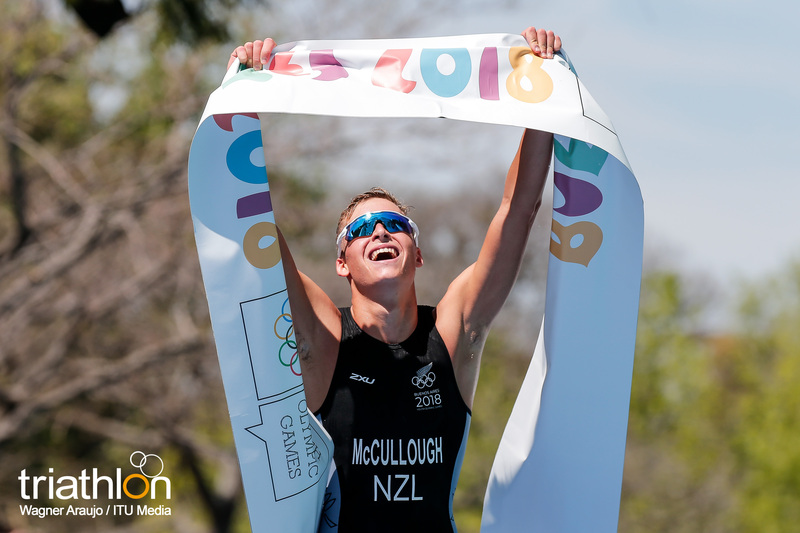 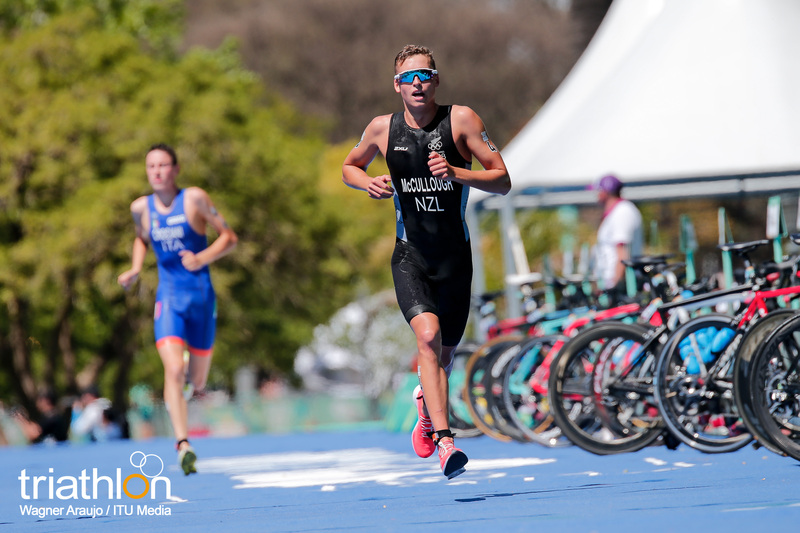 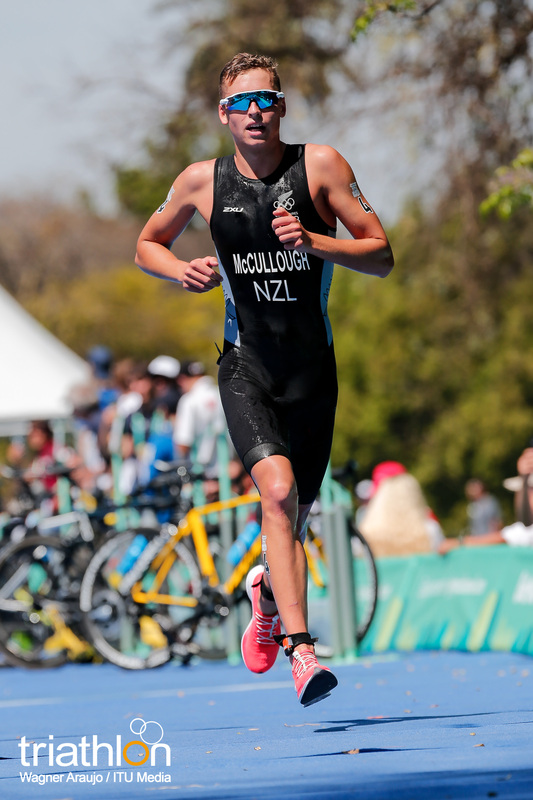 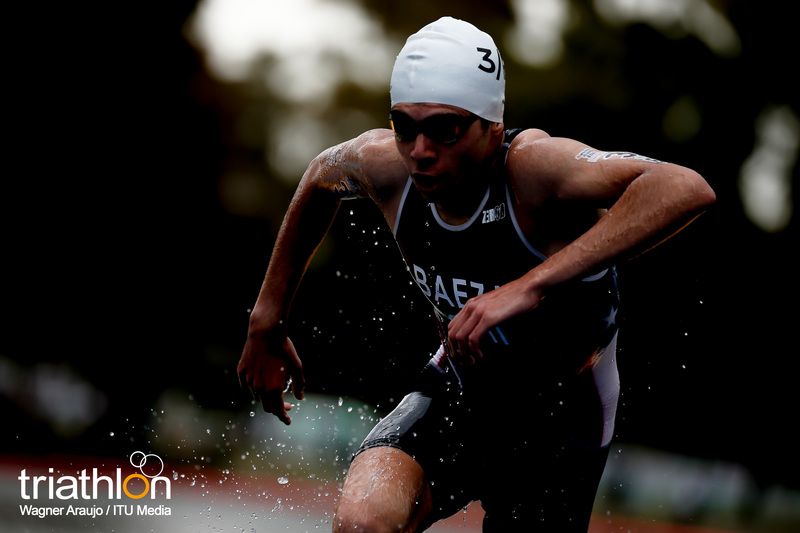 In the men’s triathlon competition, New Zealand’s Aaron Barclay took gold from the USA’s Kevin McDowell and Austria’s Alois Knabl (AUT). In the dynamic mixed relay format, which at the Youth Olympic Games is completed with continent-based teams rather than NOCs, it was Europe who took the first gold medal. 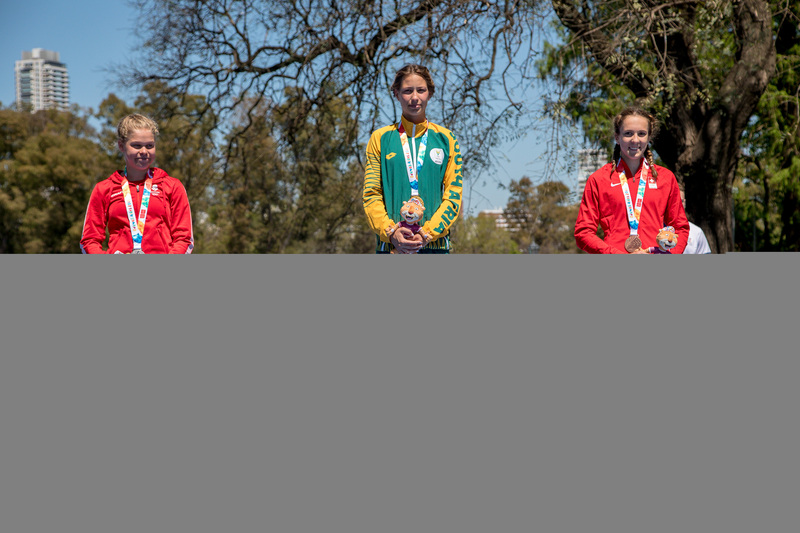 Four years later, in 2014, it was British rising star Ben Dijkstra and Australian Brittany Dutton who went home with the gold medal in the Nanjing Youth Olympics. 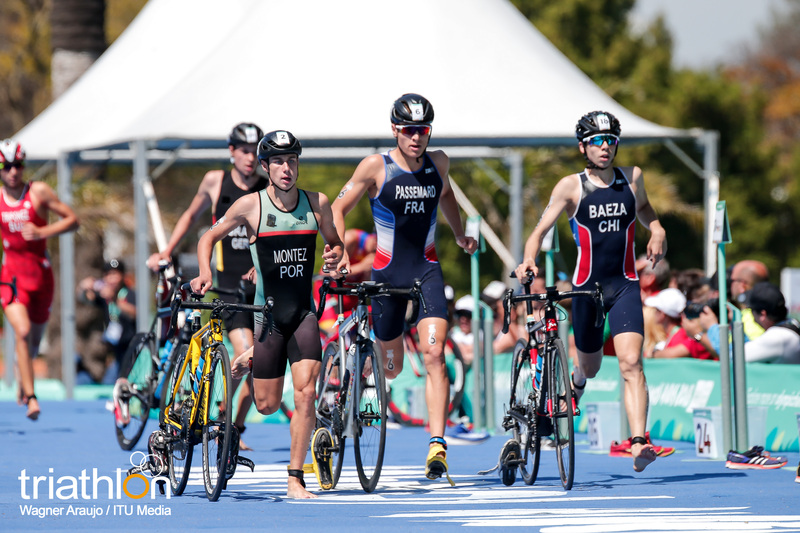 In the Men’s race, Daniel Hoy (NZL) earned the silver medal and the bronze was for Emil Deleuran Hansen (DEN), while on the women’s race Stephanie Jenks (USA) finished in second place and French Emilie Morier in third. 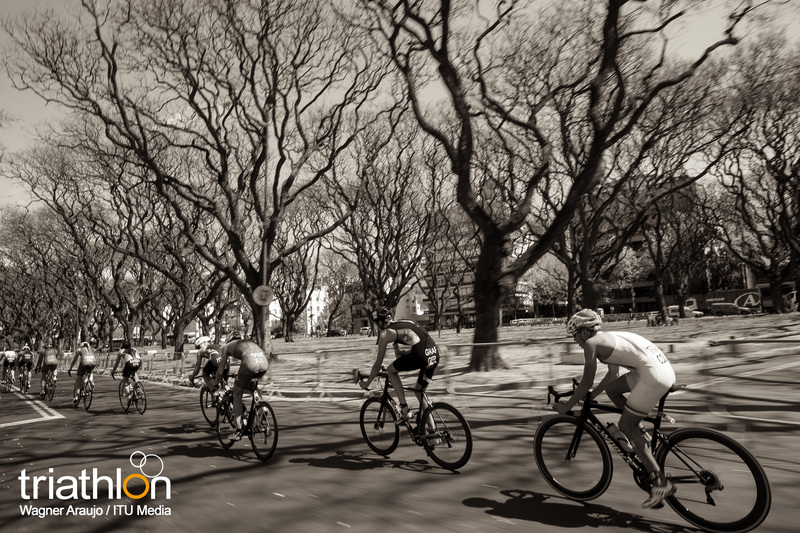 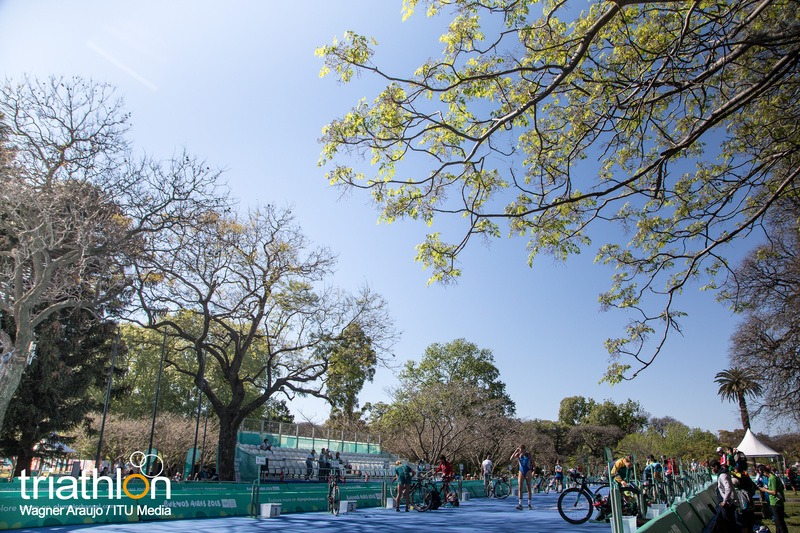 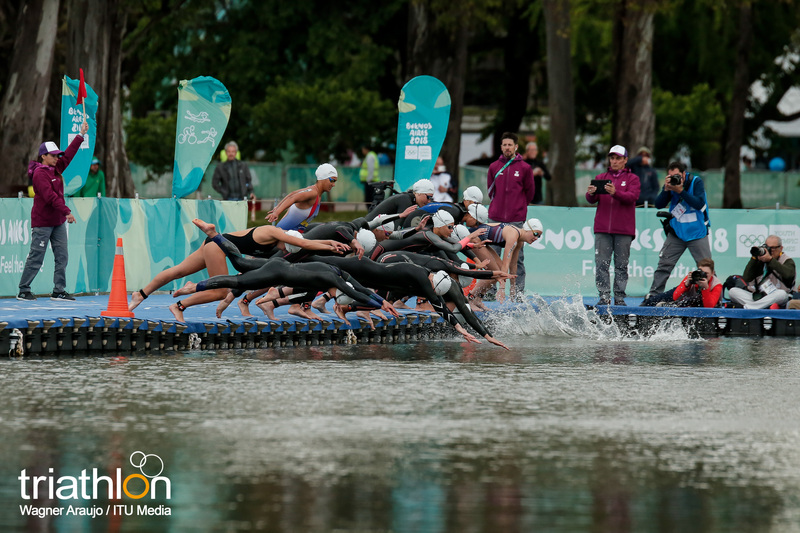 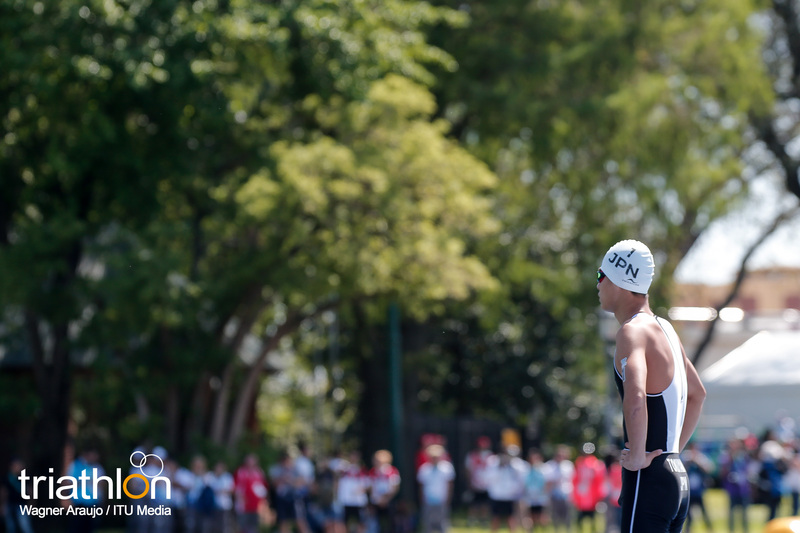 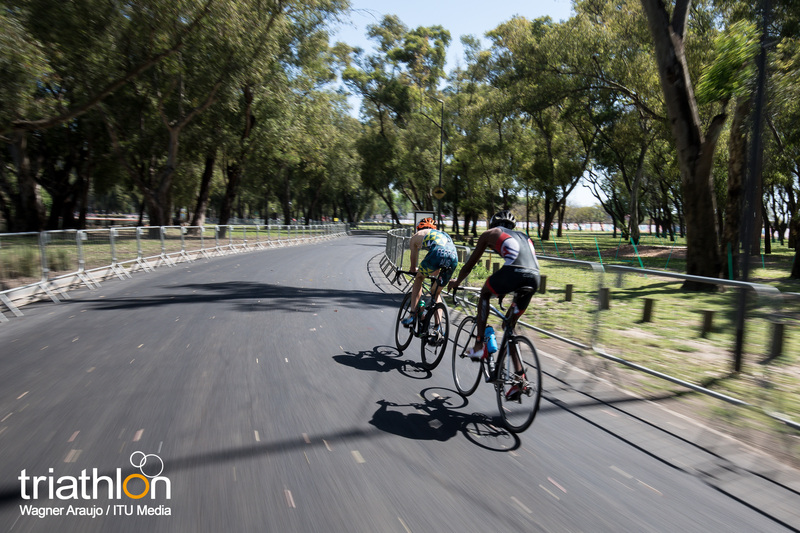 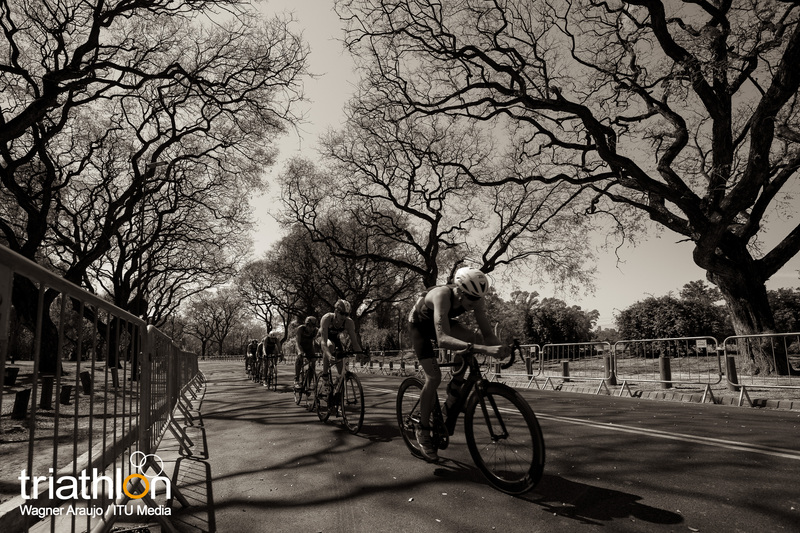 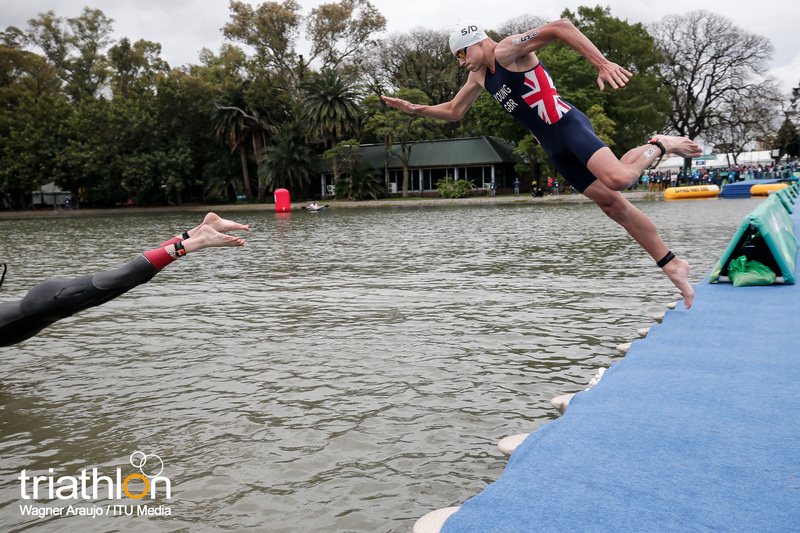 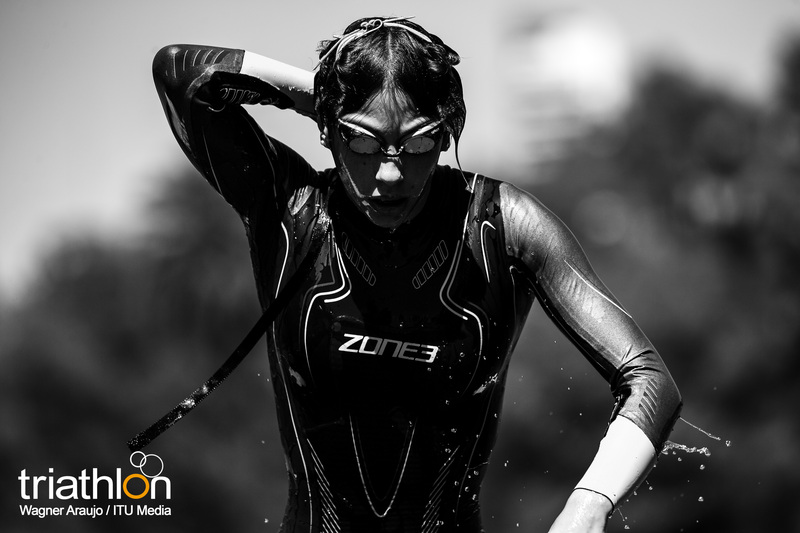 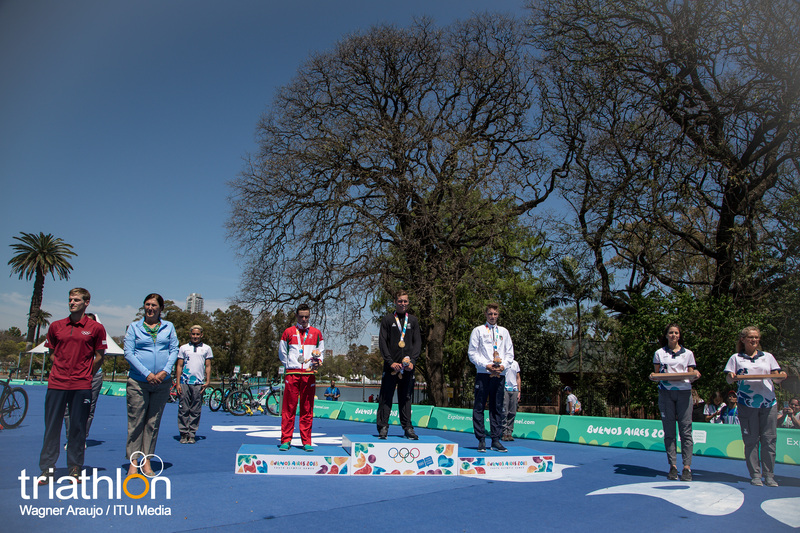 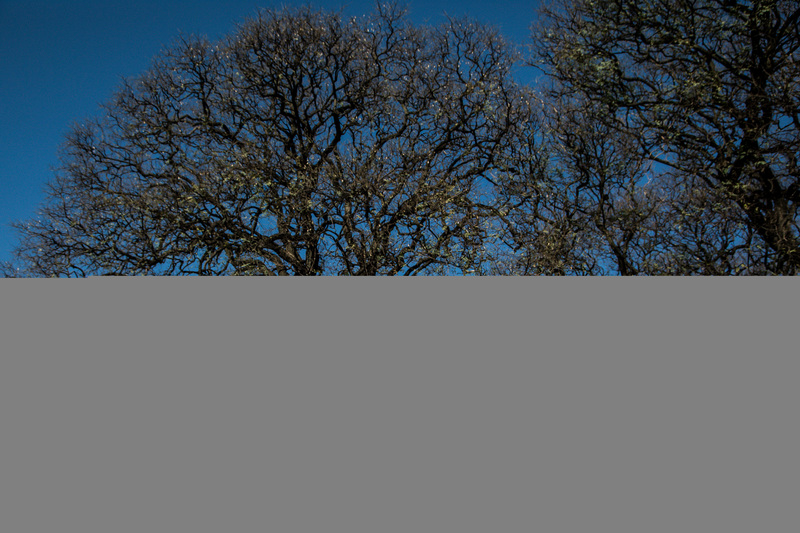 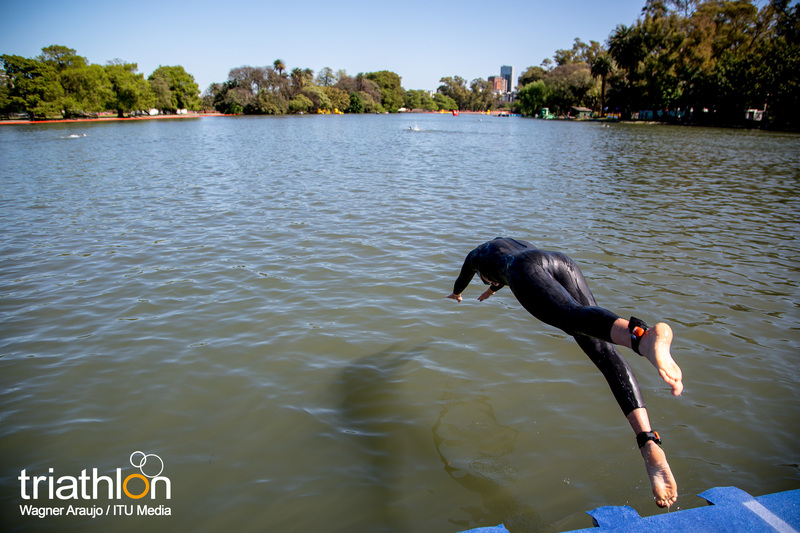 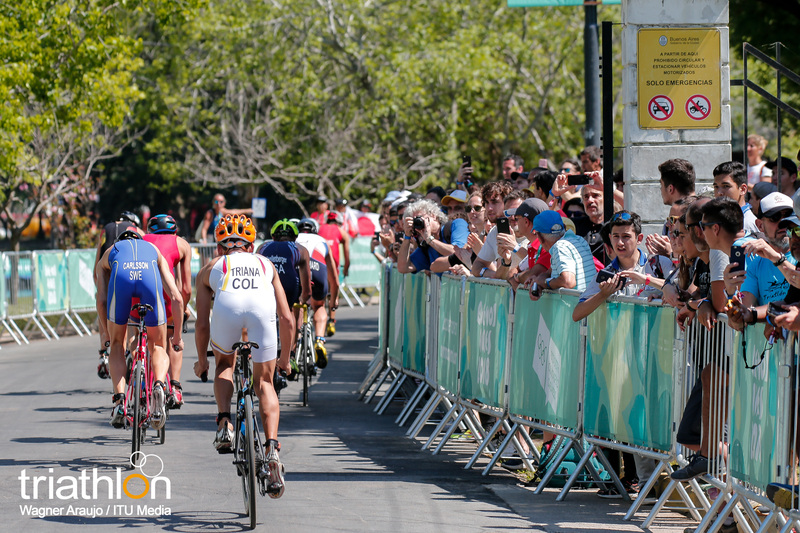 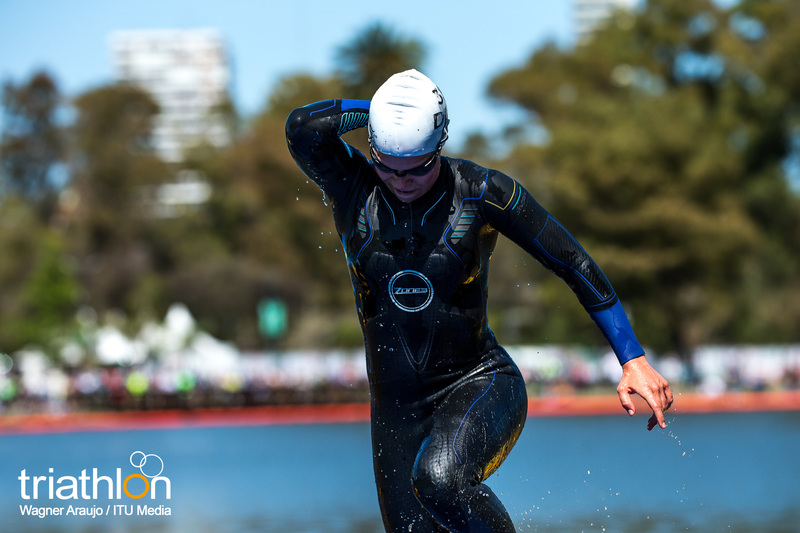 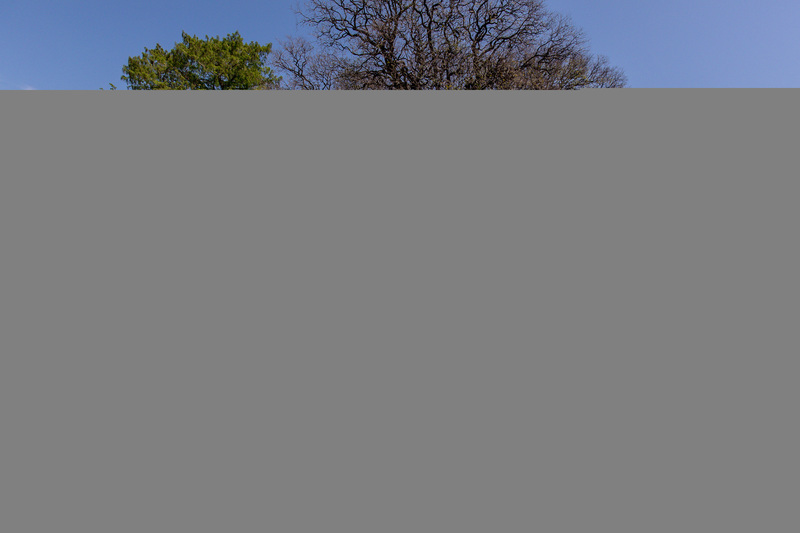 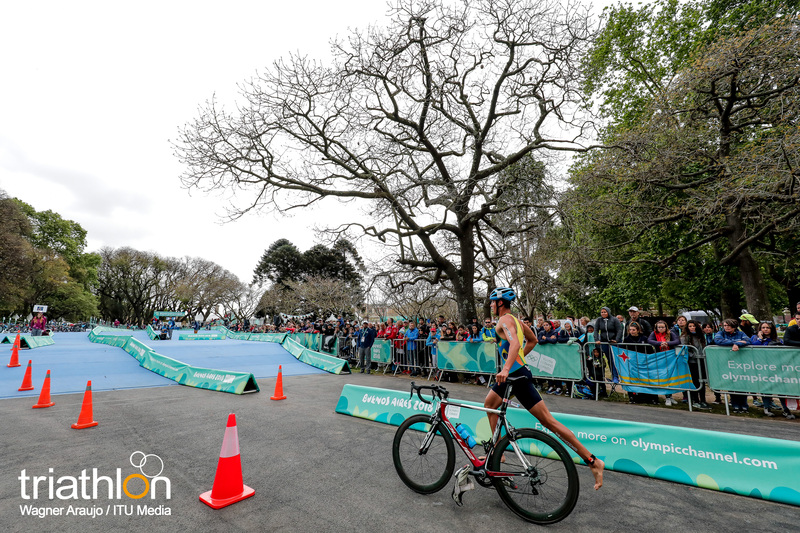 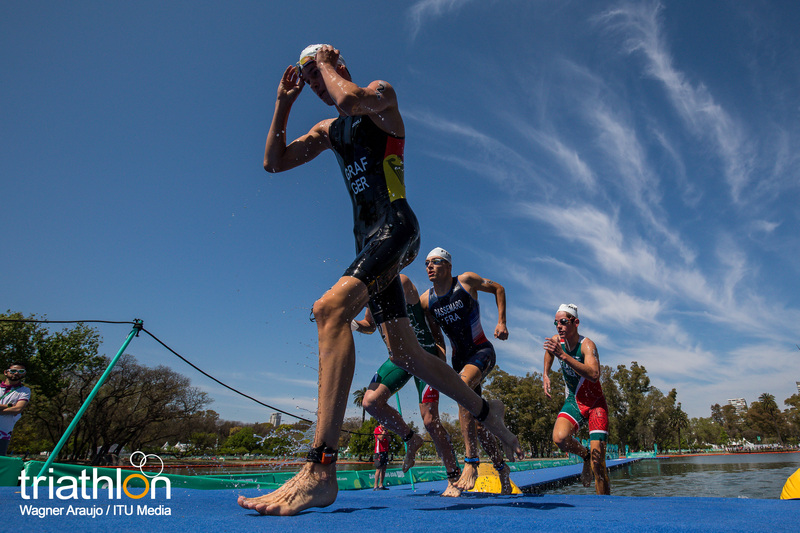 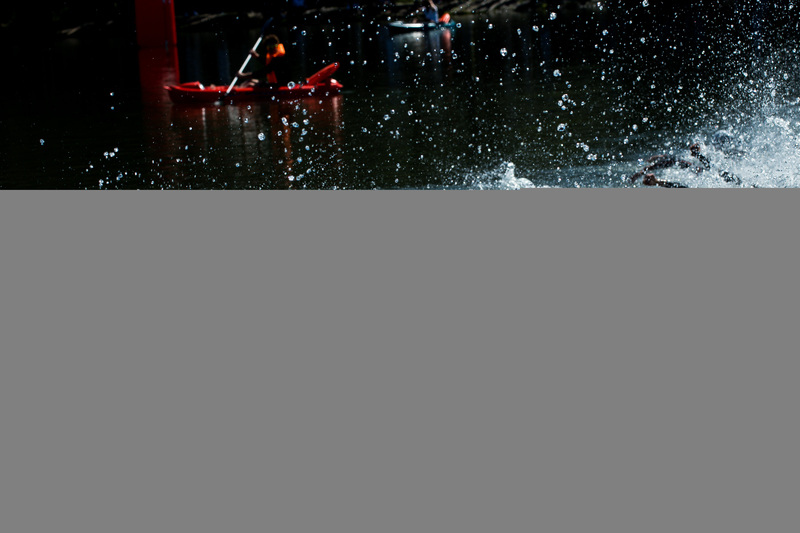 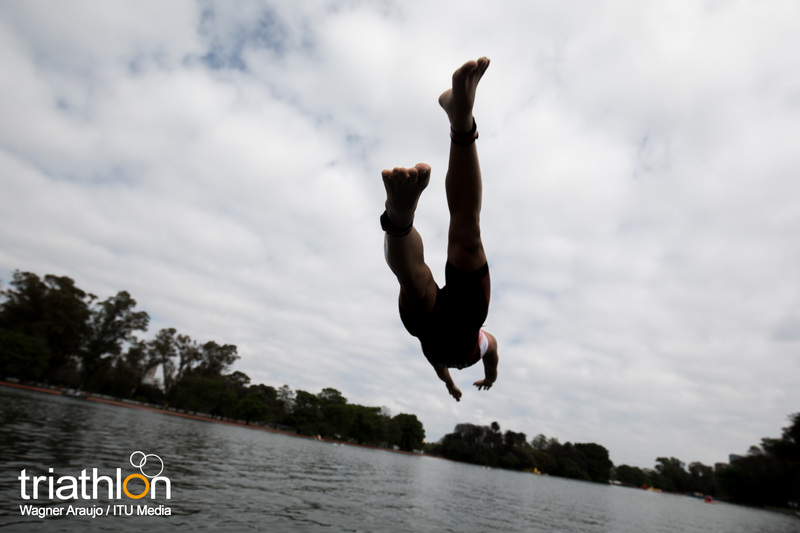 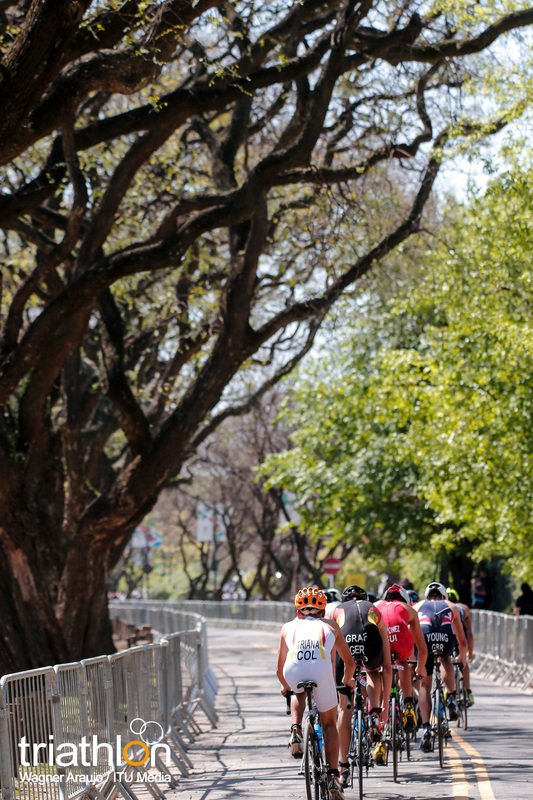 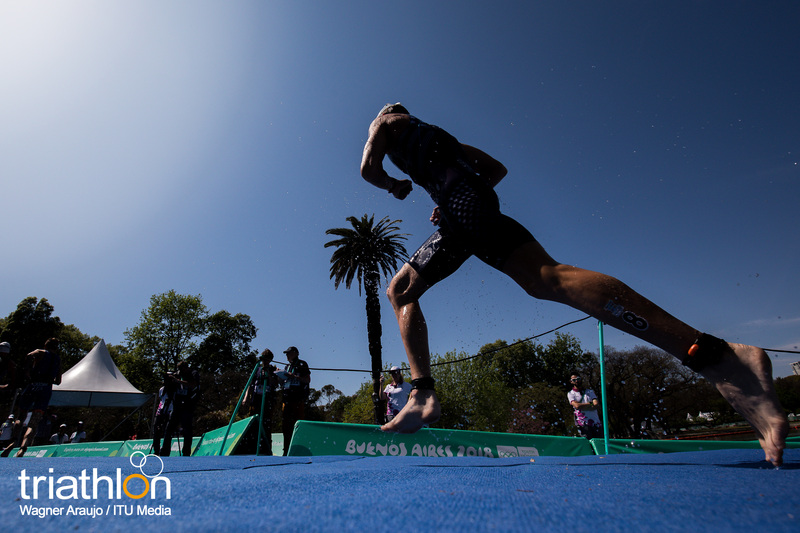 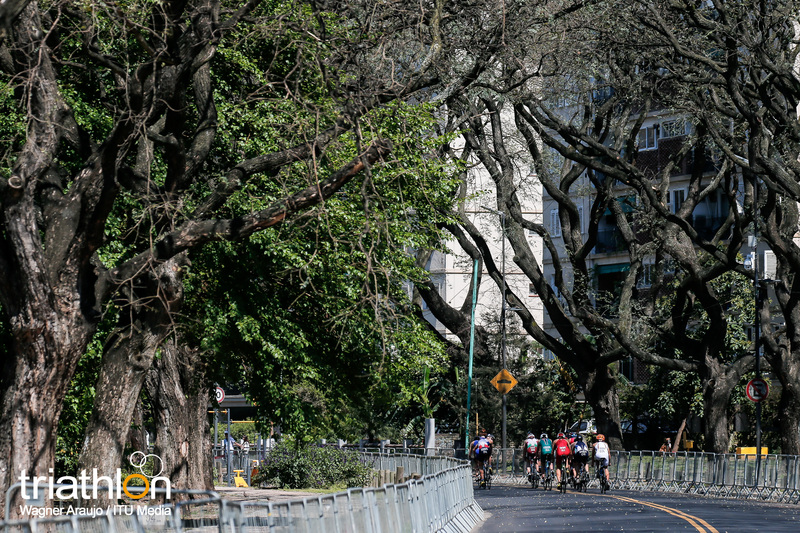 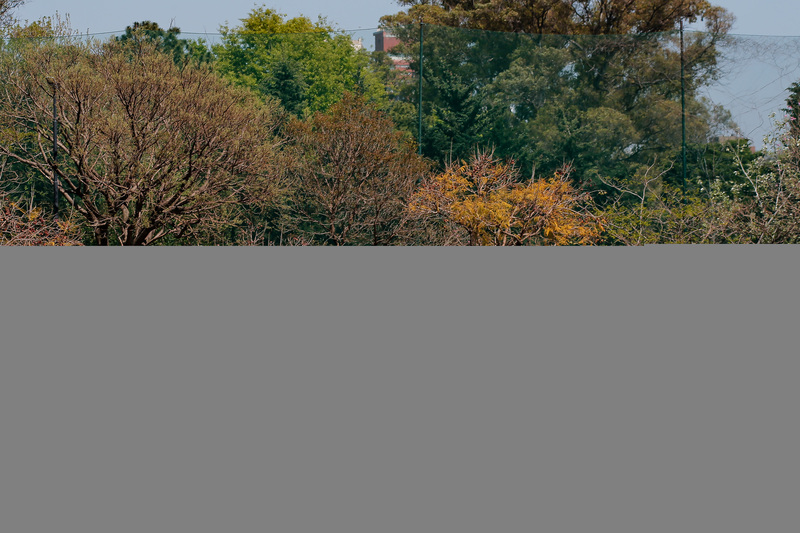 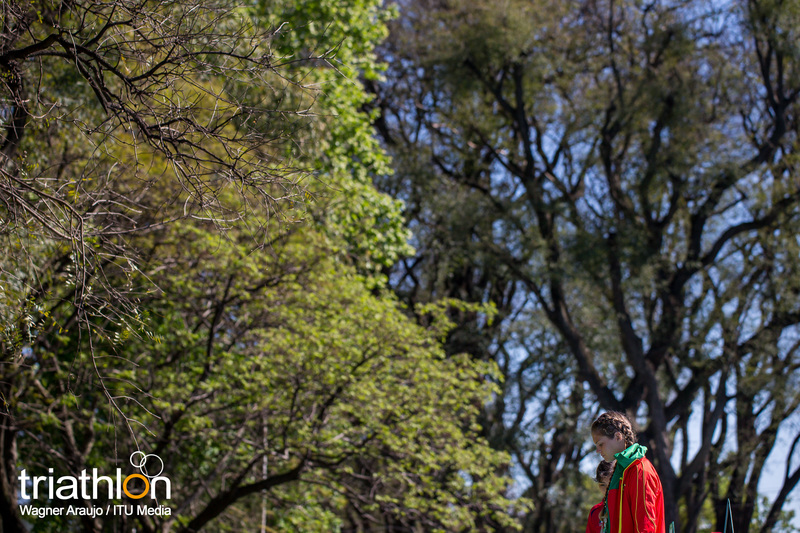 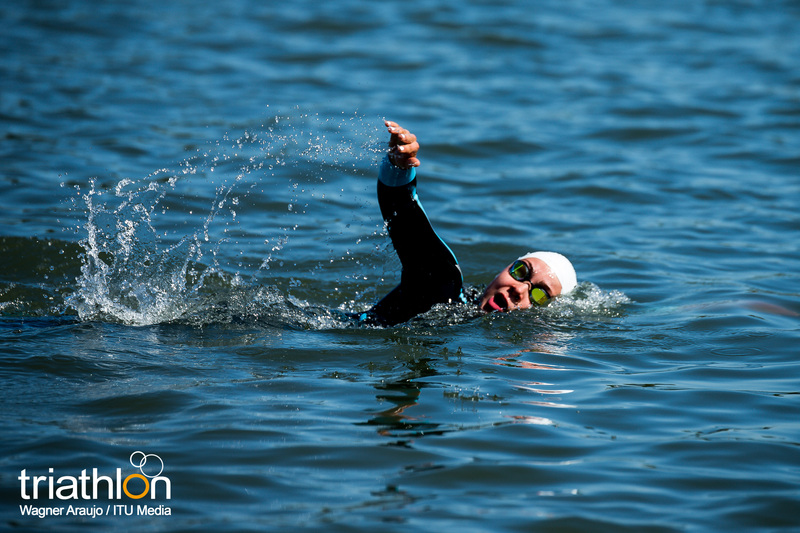 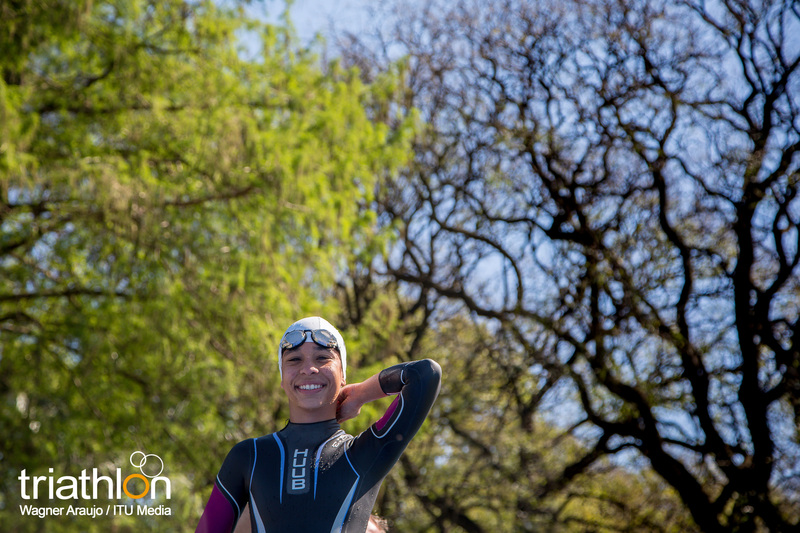 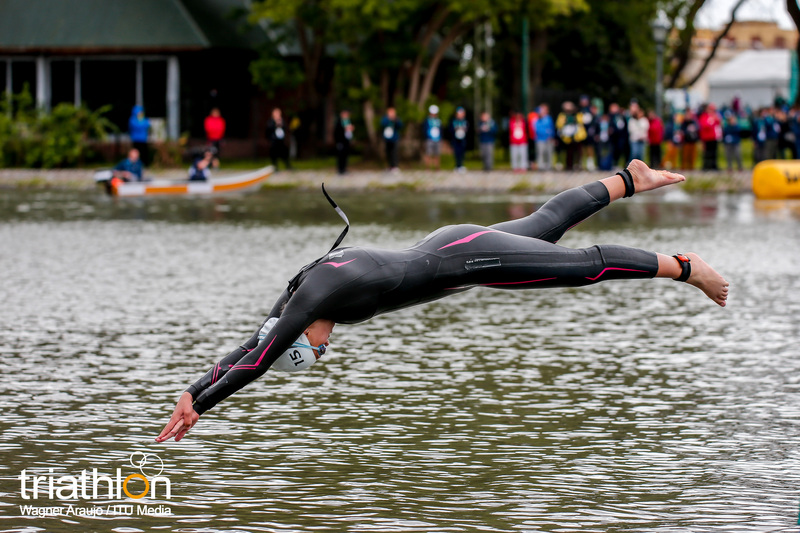 The Triathlon events will be held at Bosques de Palermo, Green Park, starting at a pontoon inside the lake. 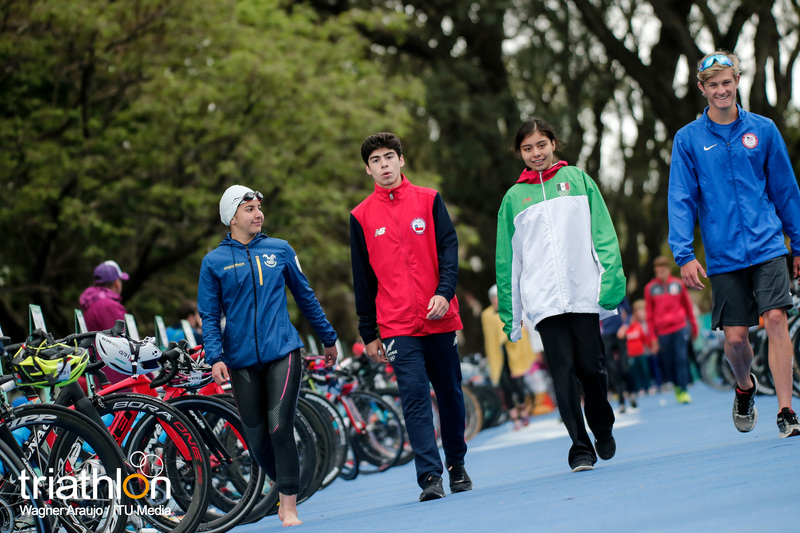 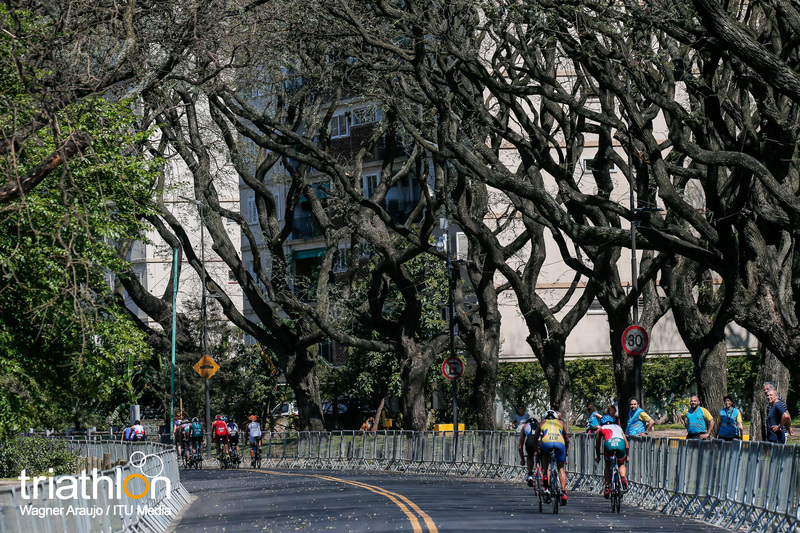 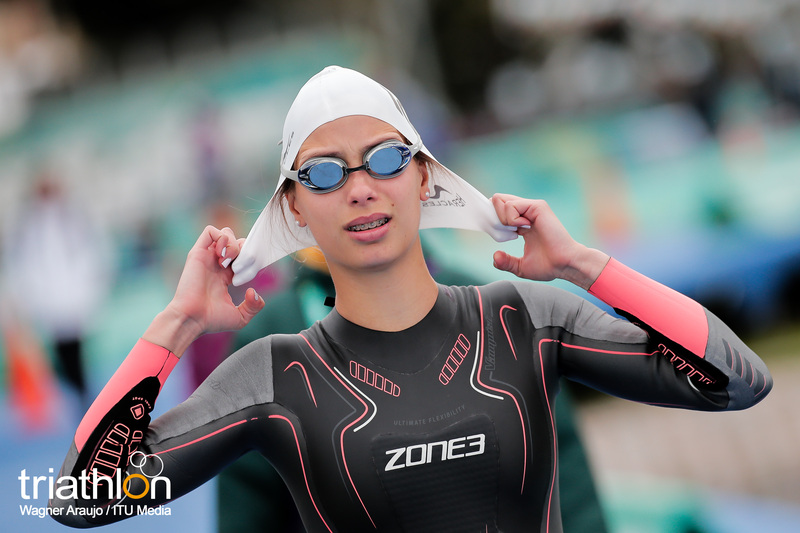 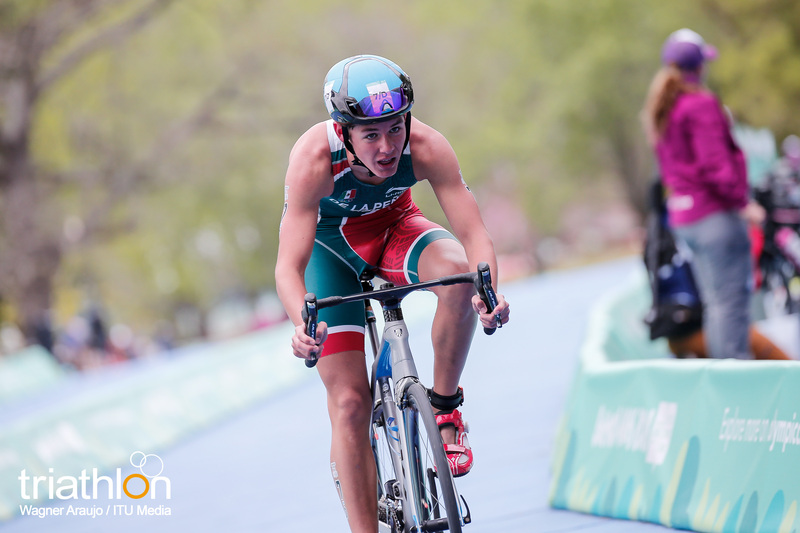 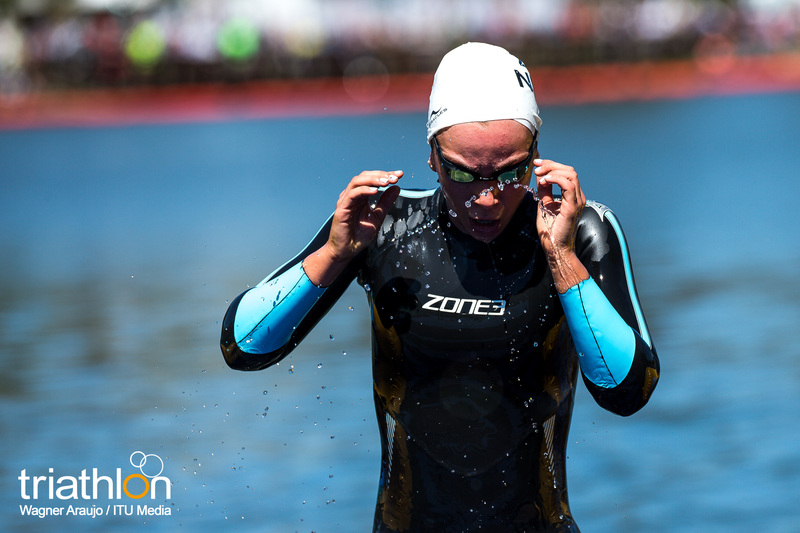 The young triathletes will then go for a one lap swim of 750m in Regatas lake, followed by four laps on a 4.853m cycling course (total distance: 19.412m) taking Andres Bello Street, turning on Torquinst Street, going up on Alsina Avenue to Los Ombues Street and back to Andres Bello to the transition zone. 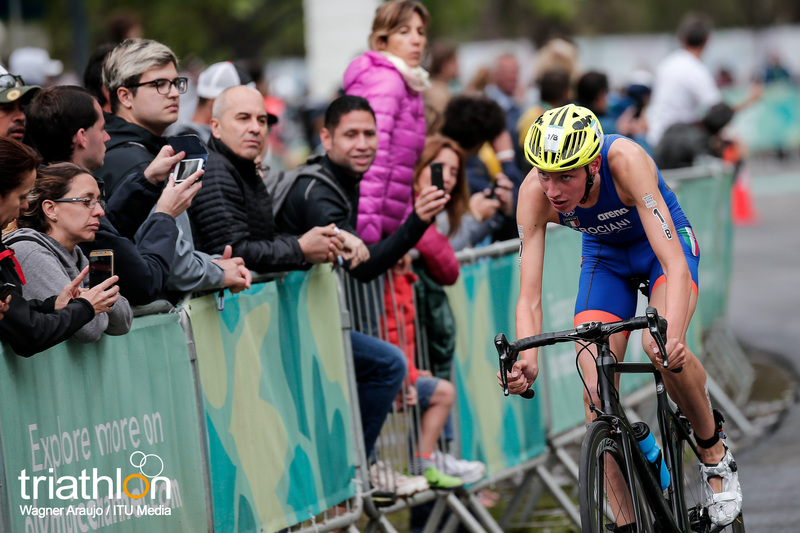 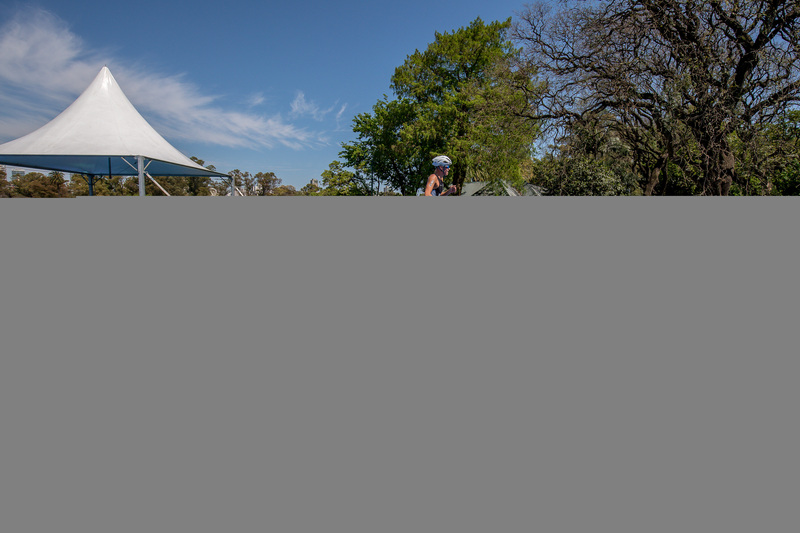 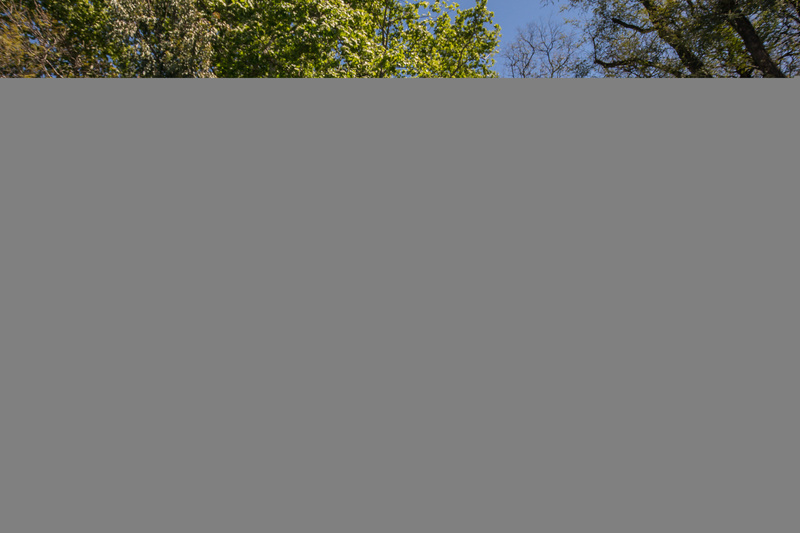 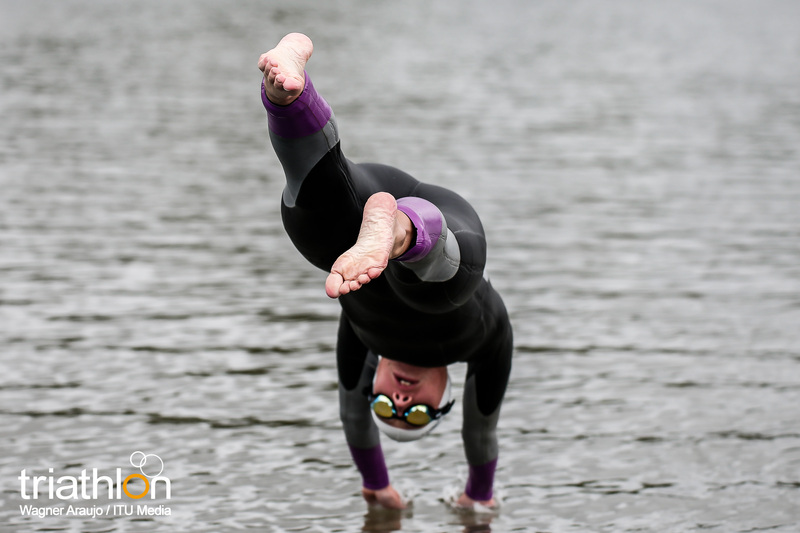 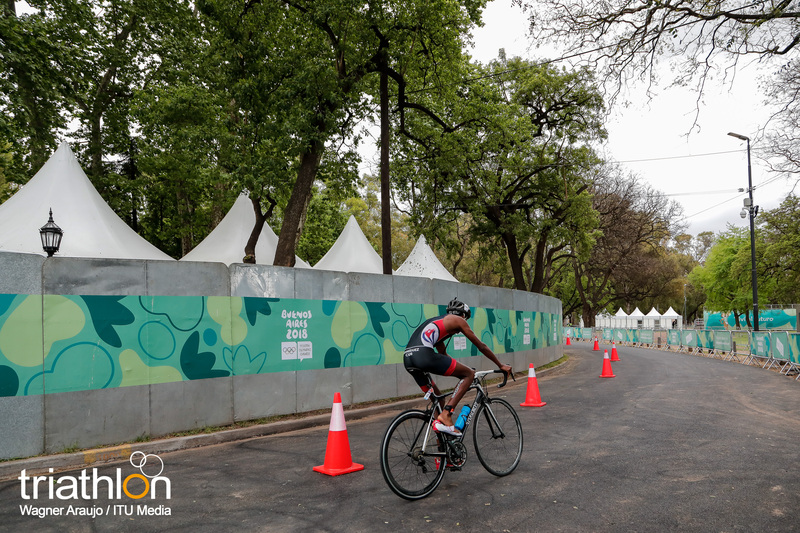 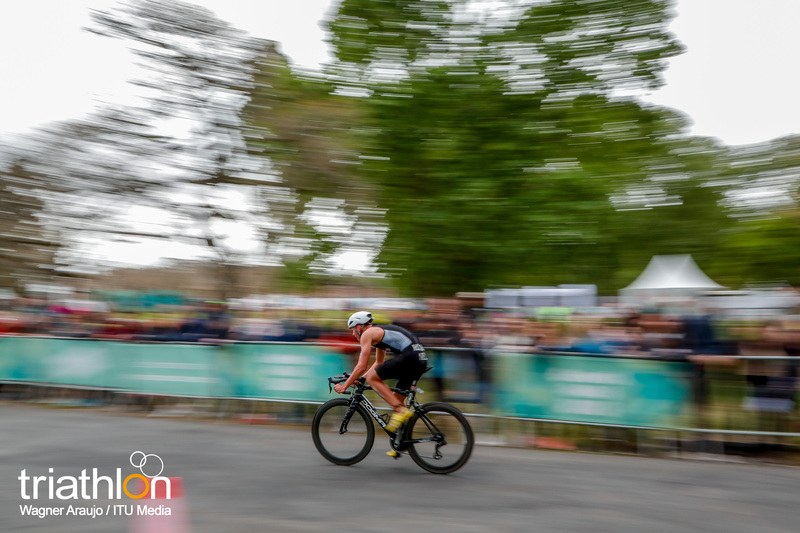 Finally, the triathletes will do two laps on a 2.5km running course along the lake, before finishing inside the Green Park cheered by thousands of spectators that will have the chance of enjoying live triathlon at its best. 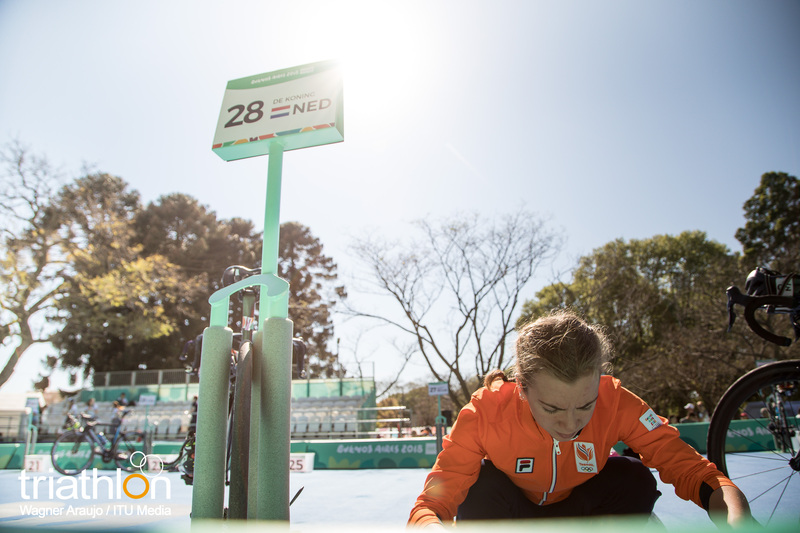 Each field has 32 participants, representing 32 different National Olympic Committees. 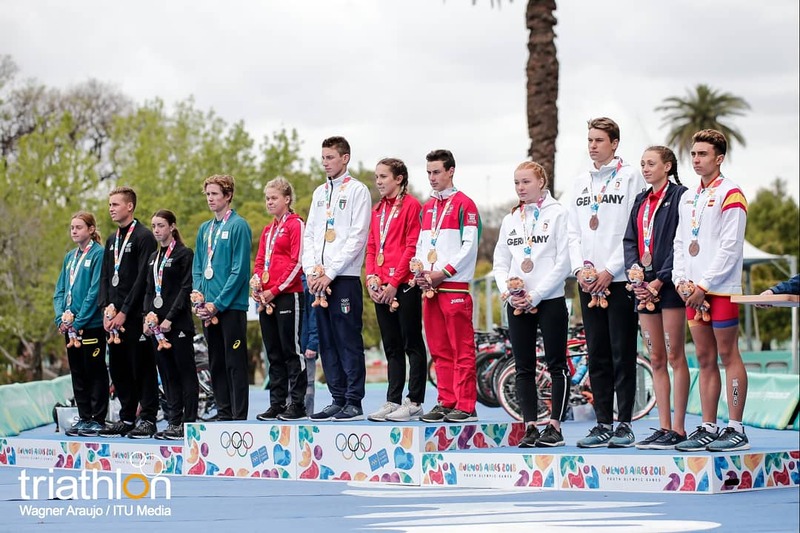 And wearing number one will be one of the favourites for the third edition of the Youth Olympics: Italian Chiara Lobba, who not only won the European qualifier event last summer in Banyoles (Spain), but also has raced consistently all season in the European Junior Cups. 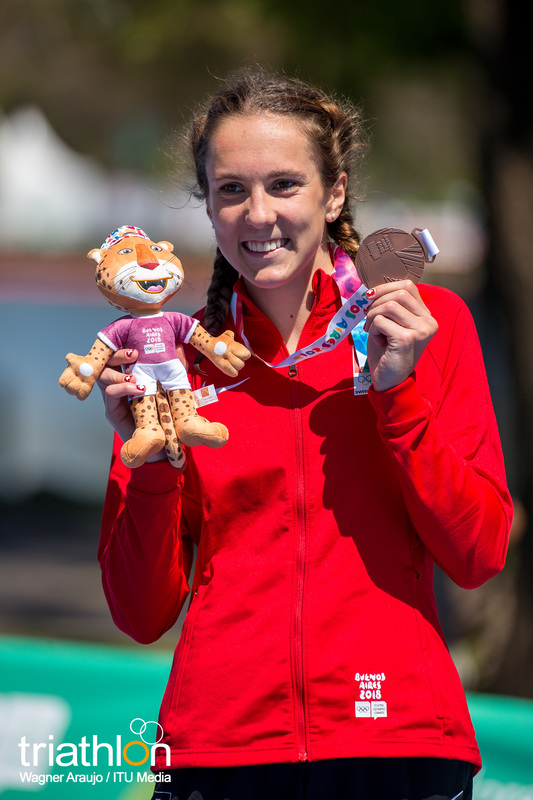 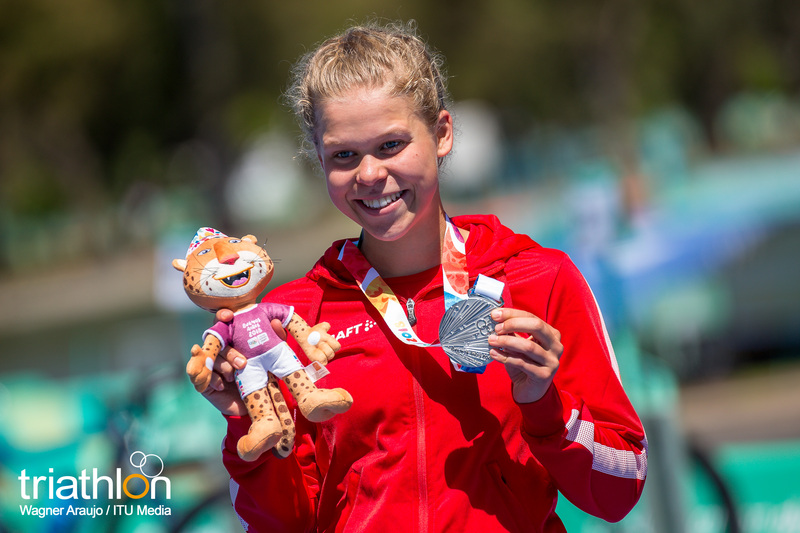 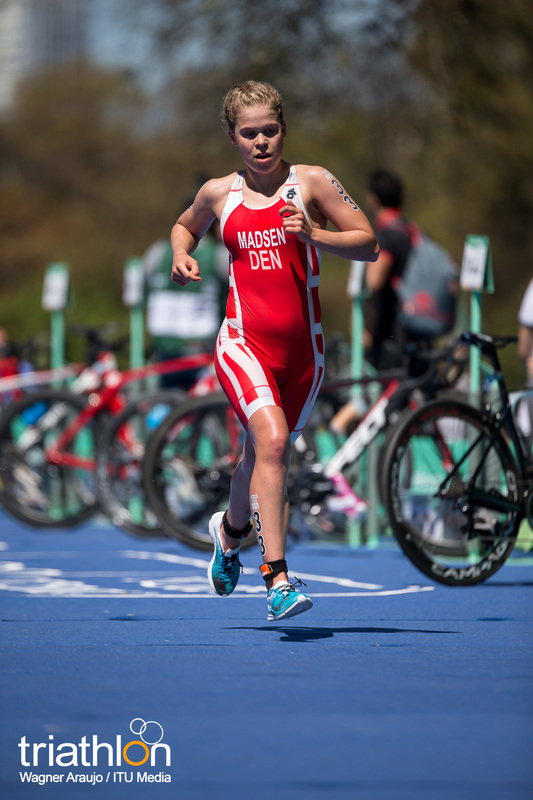 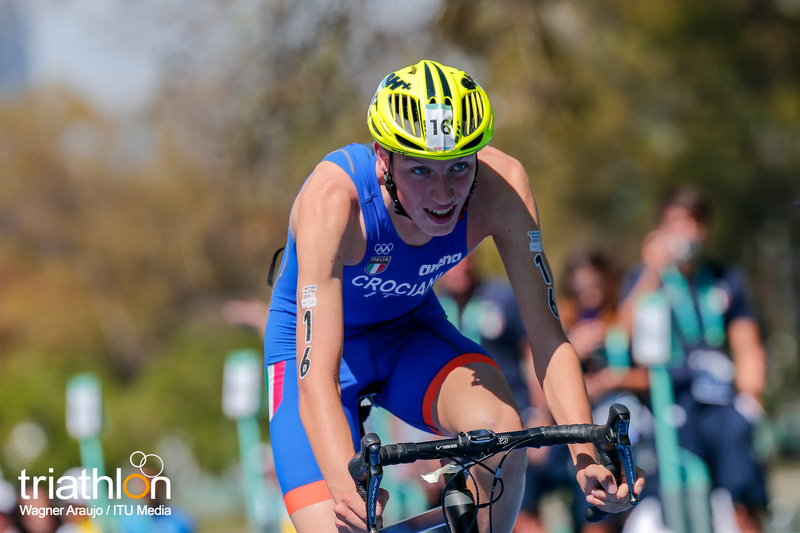 The eyes of Europe will also be set on Emilie Noyer, only 16 years of age, who won silver in Banyoles and then gold in the Mixed Relay and is ready to prove once again that French triathletes are ones to be considered when talking about races. 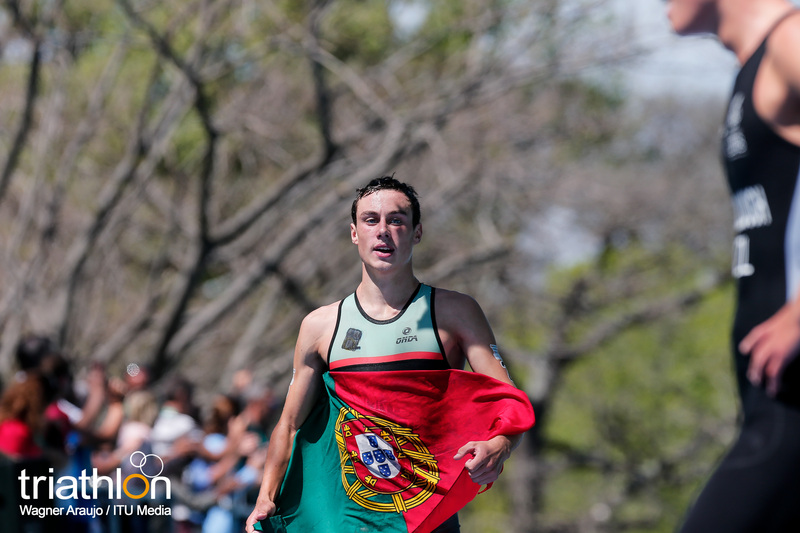 Ines Rico from Portugal comes into the line-up wearing number 11 in the Youth Olympics, but the winner of the third place in the European qualifier is used to be on the podiums, after an early season silver in Quarteira on home soil and was part of the victorious Portuguese team in the Junior Mixed Relay in Tartu. 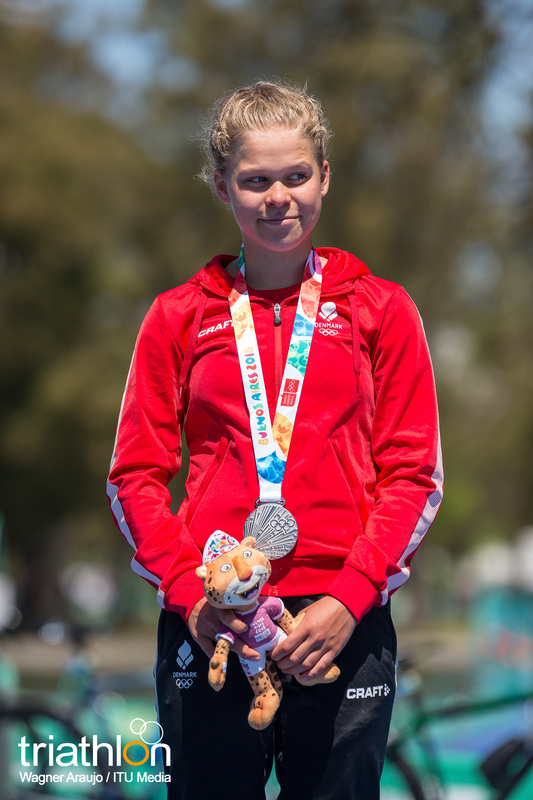 Russian Alevtina Stetsenko, along with Libby Coleman (GBR) and Germany’s Marie Horn should also be considered. 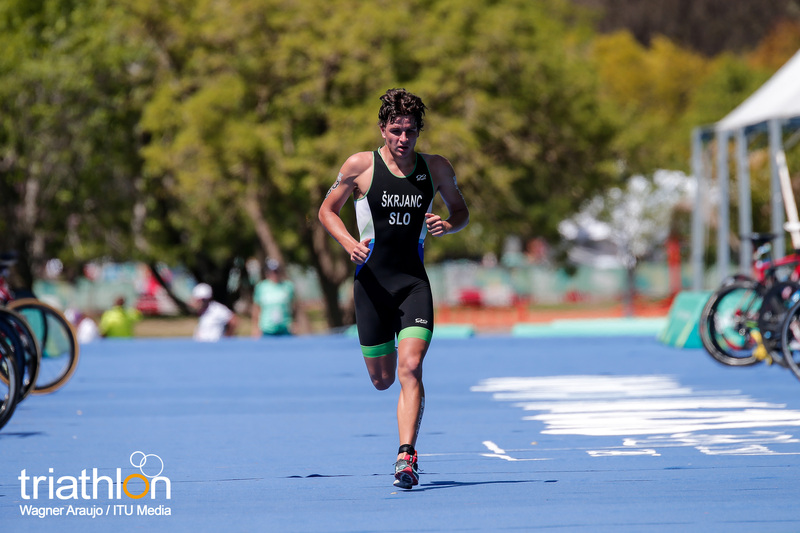 Being one of the greatest runners in the field, chances of Coleman finishing in the podium are quite high. 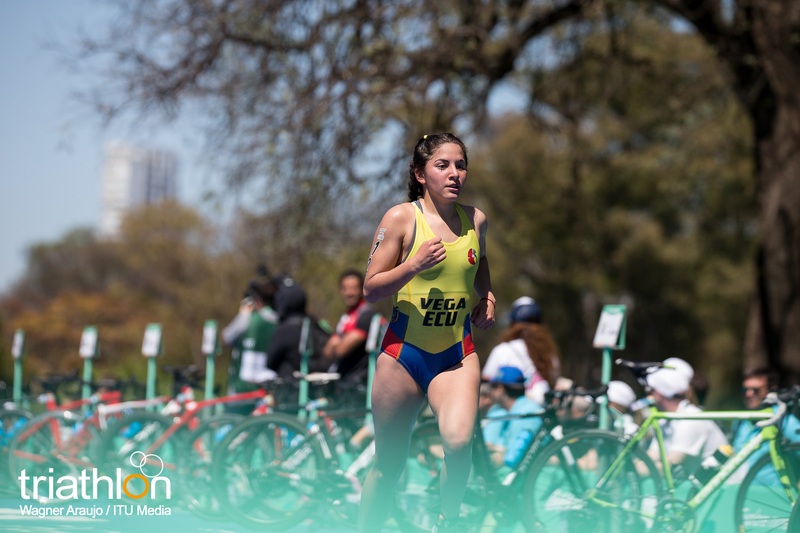 But the Europeans should keep an eye on one of the strongest contendents this year in Buenos Aires: Maryhelen “Parker” Albright (USA). 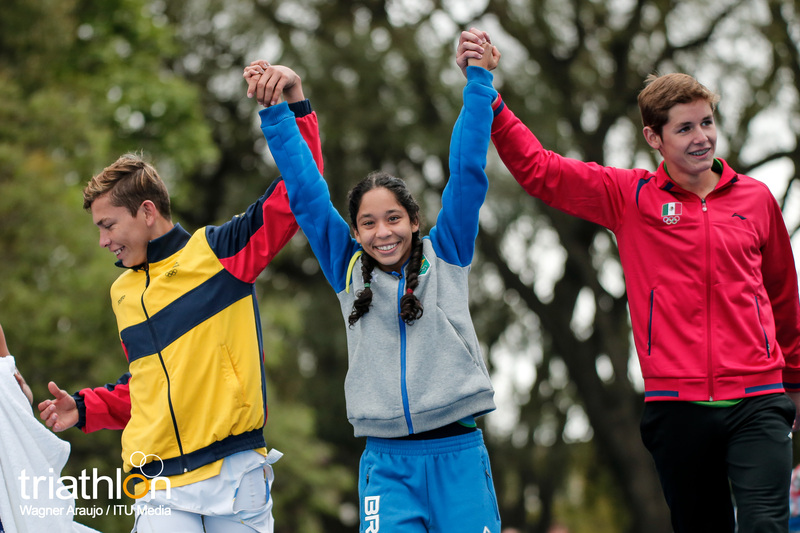 At only 16 years of age, Albright not only won her qualif¡yer event in Salinas (Ecuador), but is also a standout cross country runner. 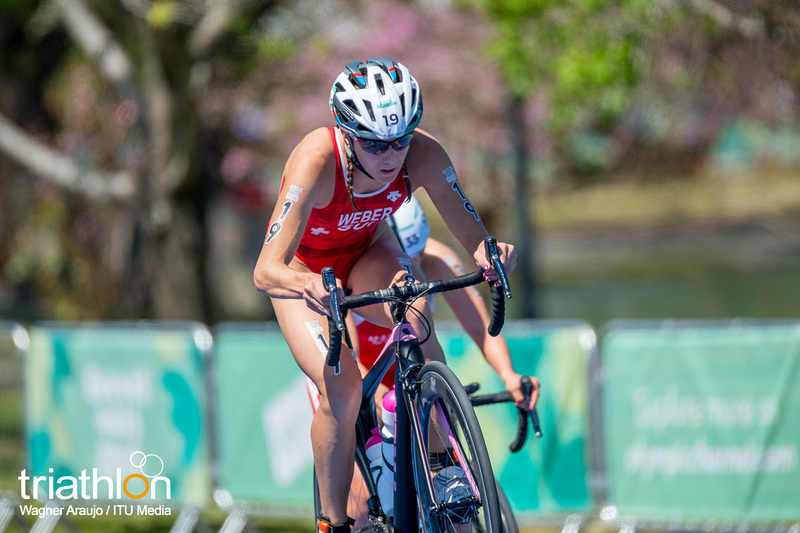 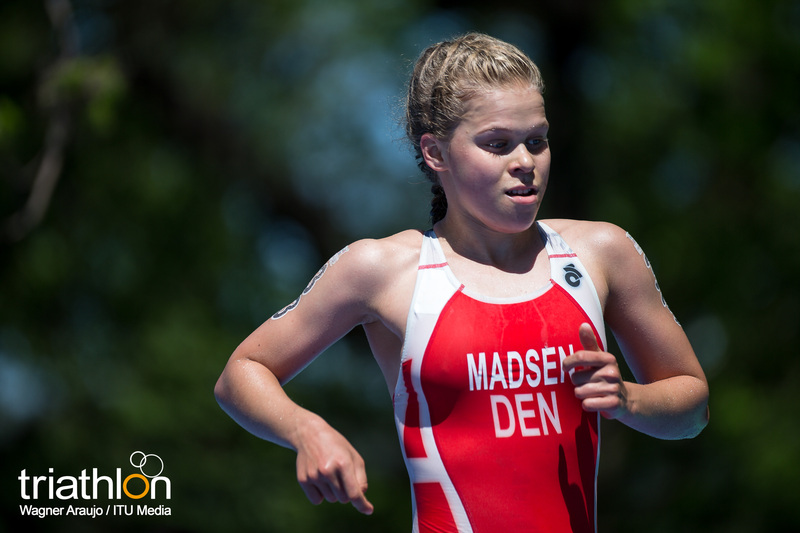 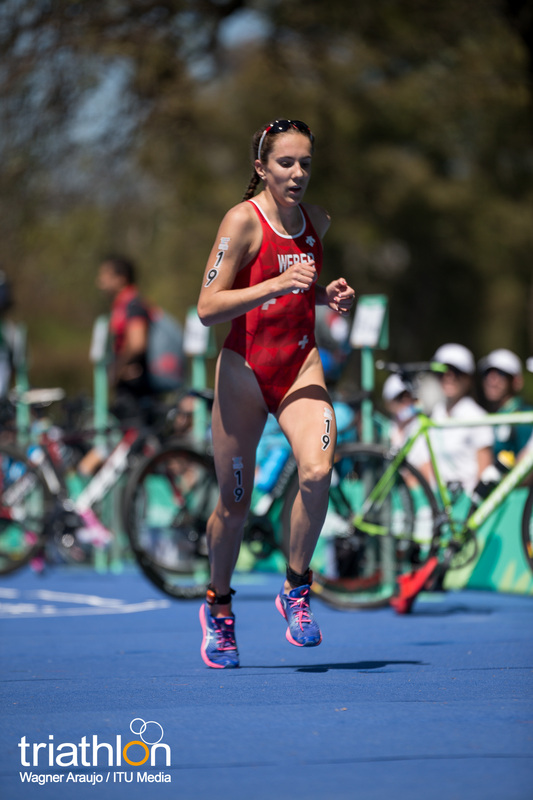 Albright is a two-time USA Triathlon Youth Elite national champion, winning the title in 2016 and 2017, and she placed second at the 2018 USA Triathlon Junior Elite National Championships, which marked her first Nationals at the junior elite level. 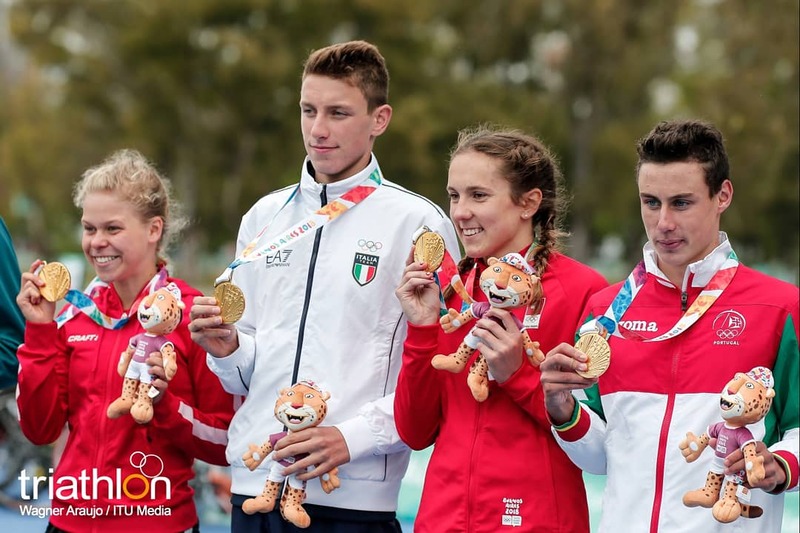 Sofia Rodriguez Romero (MEX) and the young Brazilian Giovanna Lacerda, a great swimmer, should be among the ones competing for being on top of the podium this Sunday in Palermo. 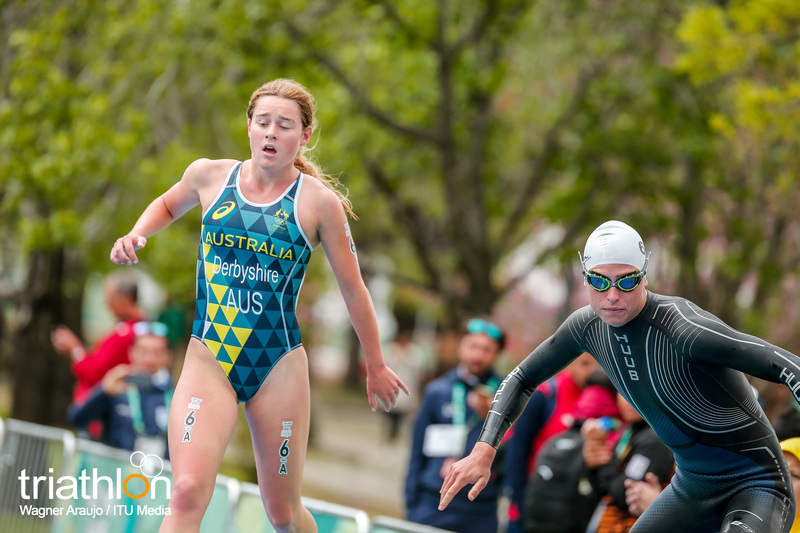 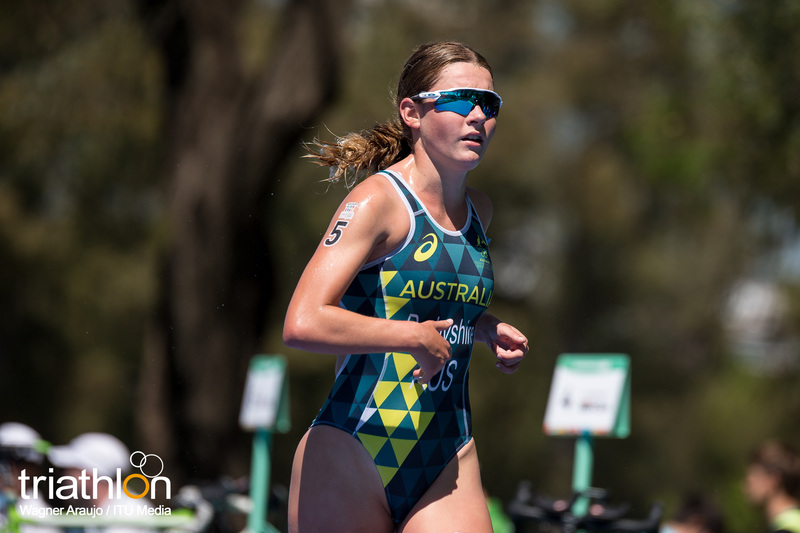 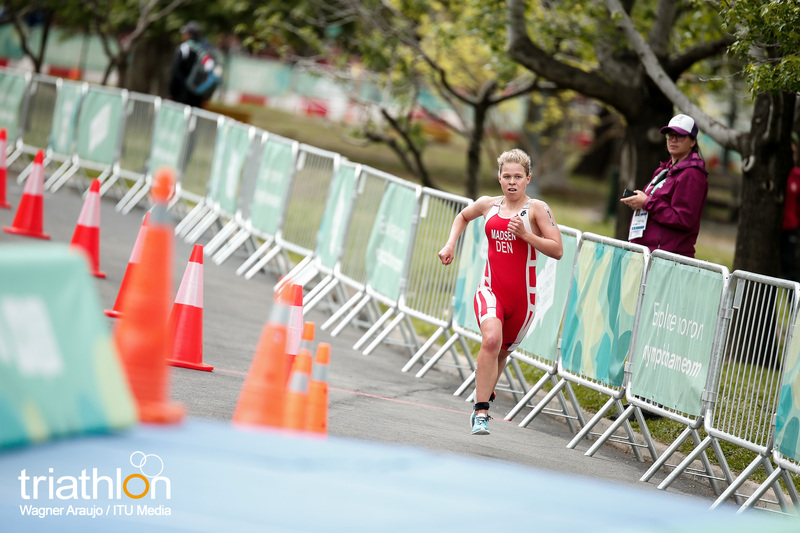 Representing Australia will be another of the favourites to be on the podium this Sunday, Charlotte Derbyshire, with some experience at the international level after competing only a few weeks ago in the Junior World Championships held in her hometown, Gold Coast. 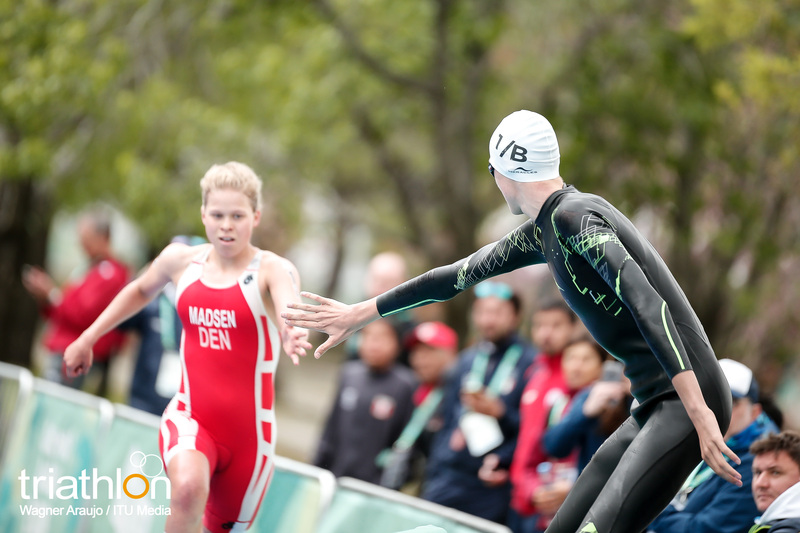 Along with her will be Kiwi Brea Roderick, ready to rock at the Games after only three years of competing in triathlon events. 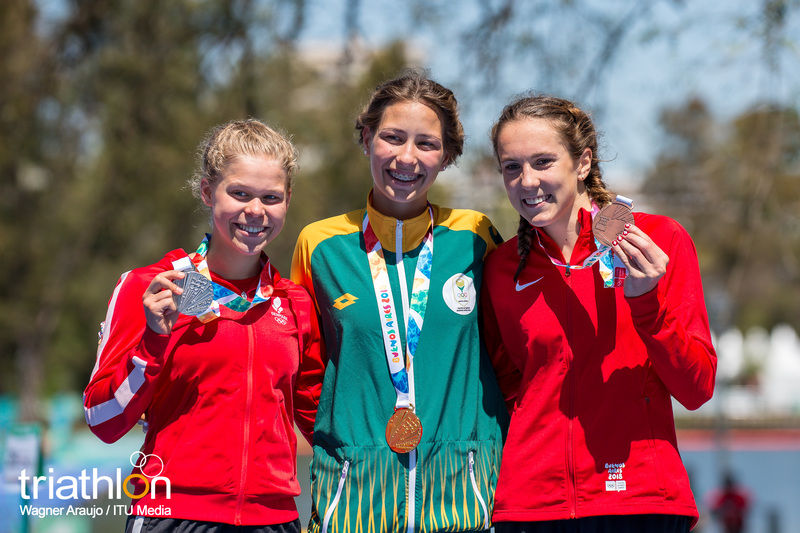 Emma Ada Middleditch, from Singapore; Amber Schlebusch (RSA) and Maram Elsalamoney (EGY) will also try to grab an Olympic medabecomingh the advantage of knowing that they won their respective Qualifyer events thisbecomingn. 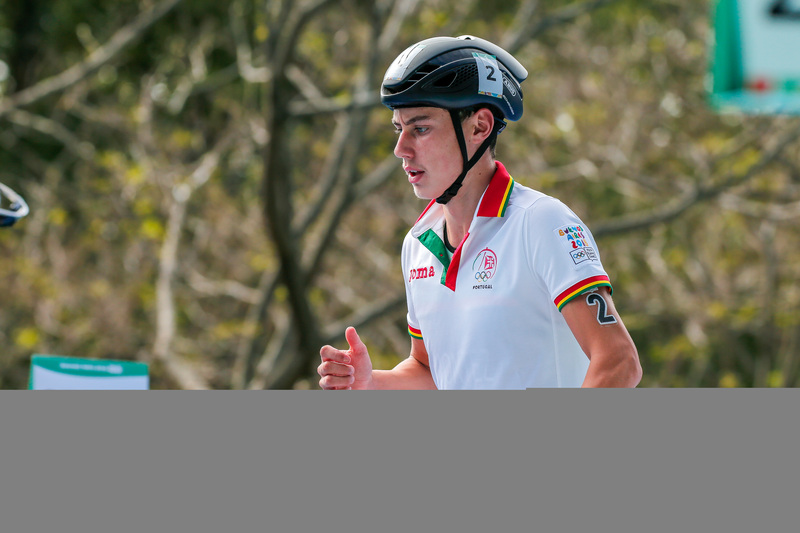 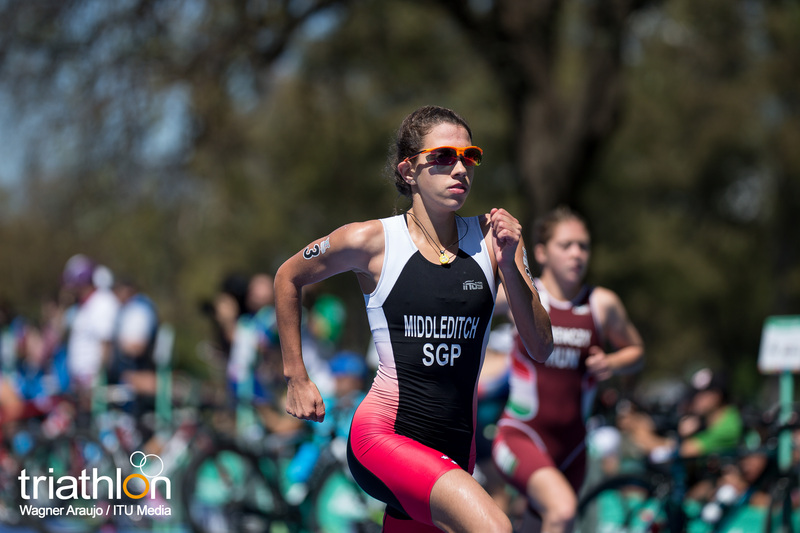 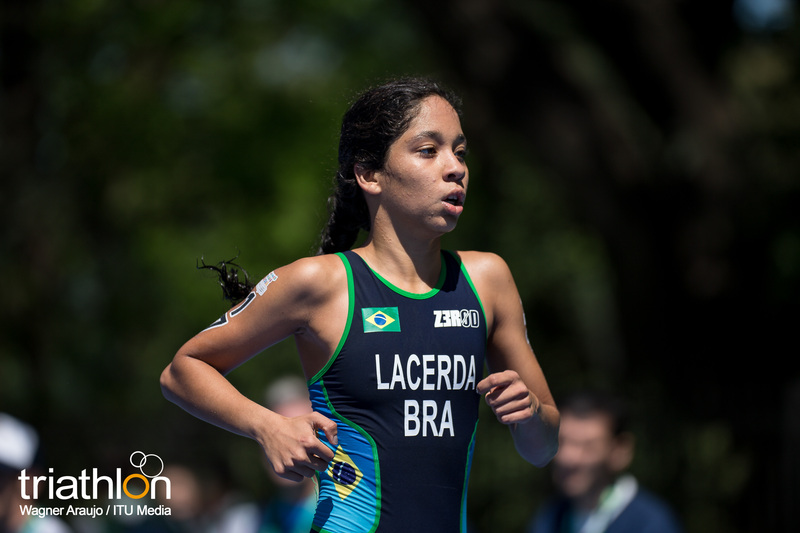 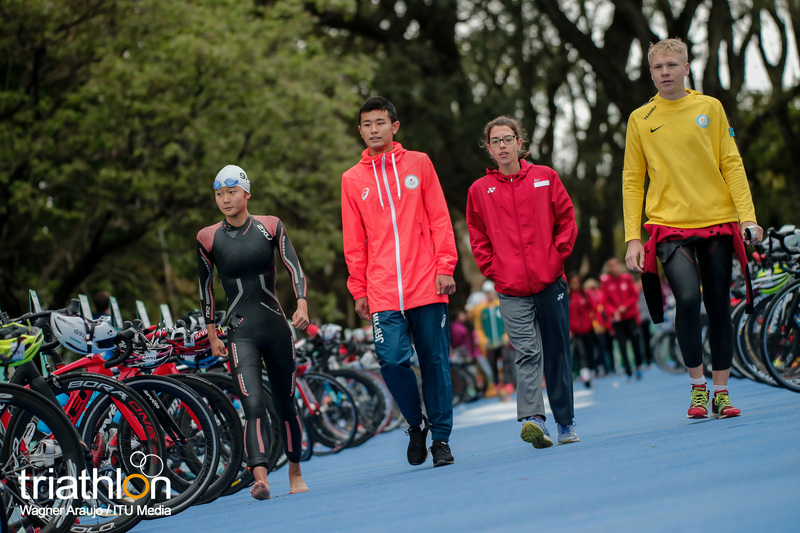 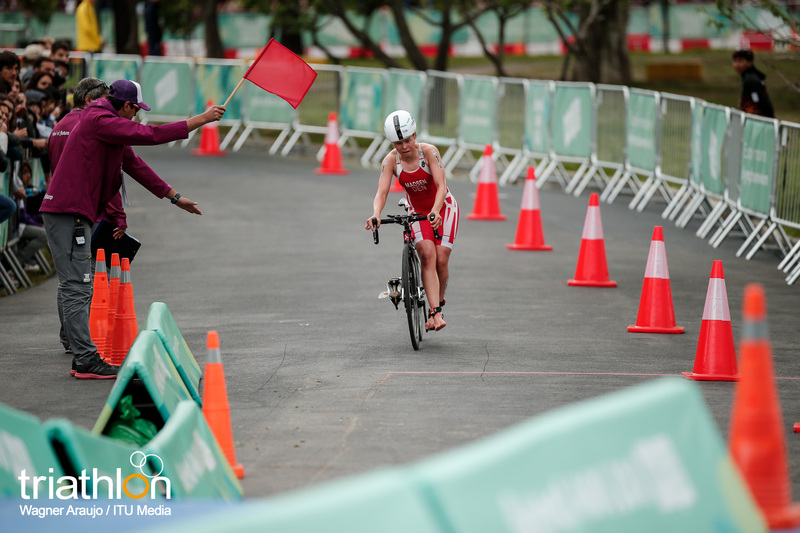 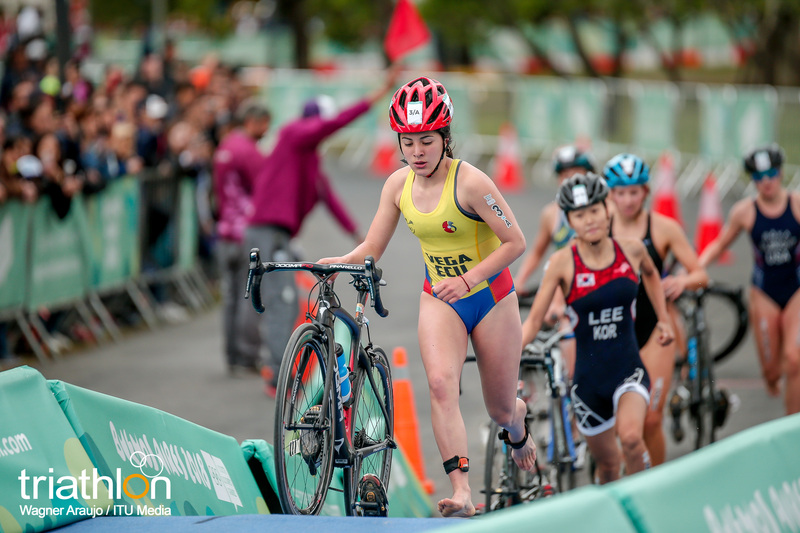 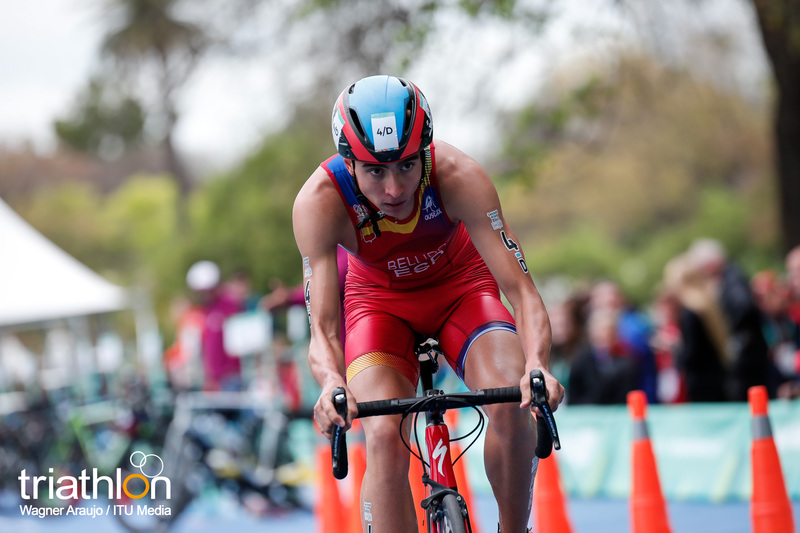 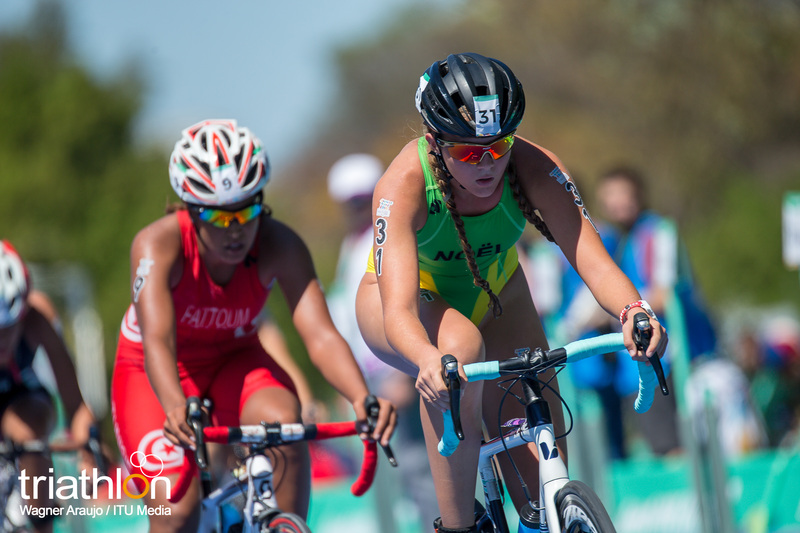 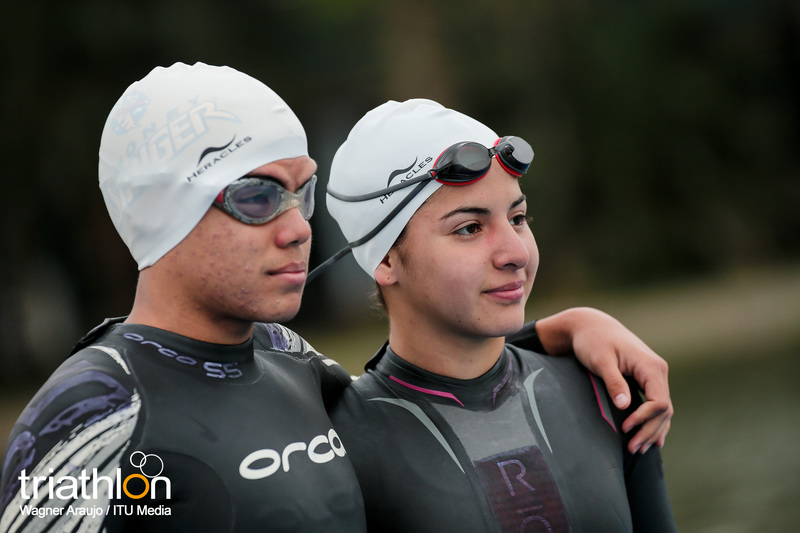 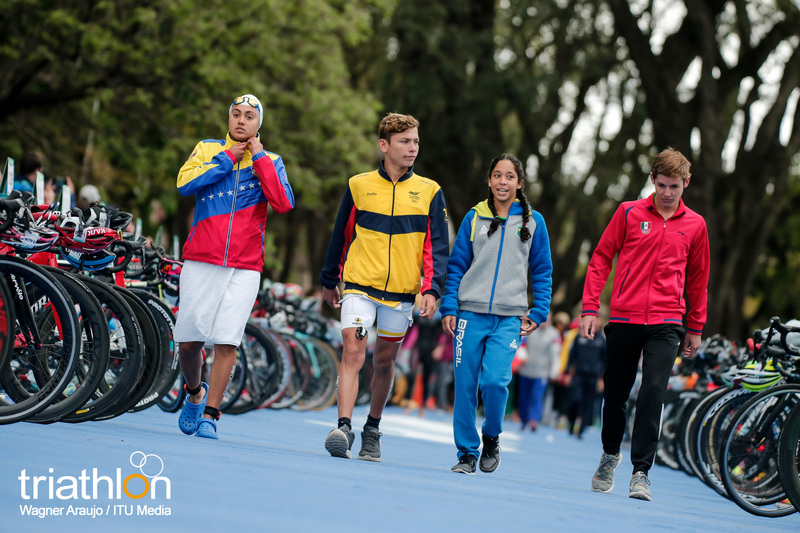 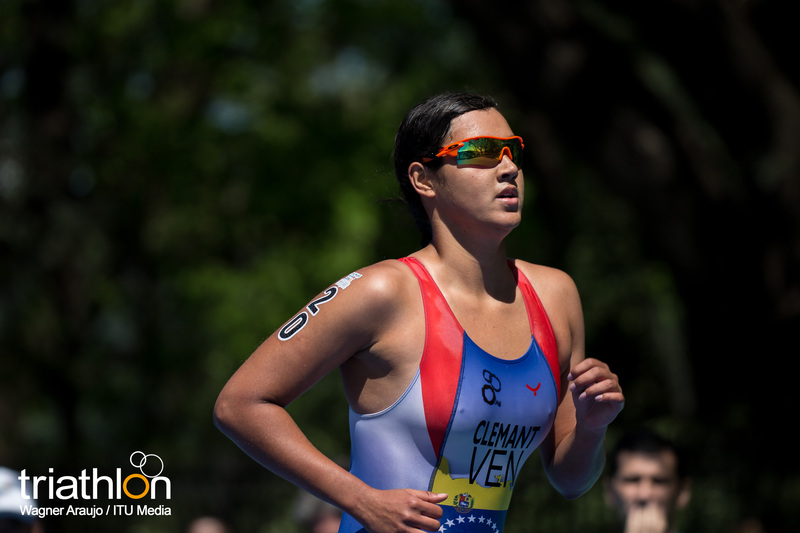 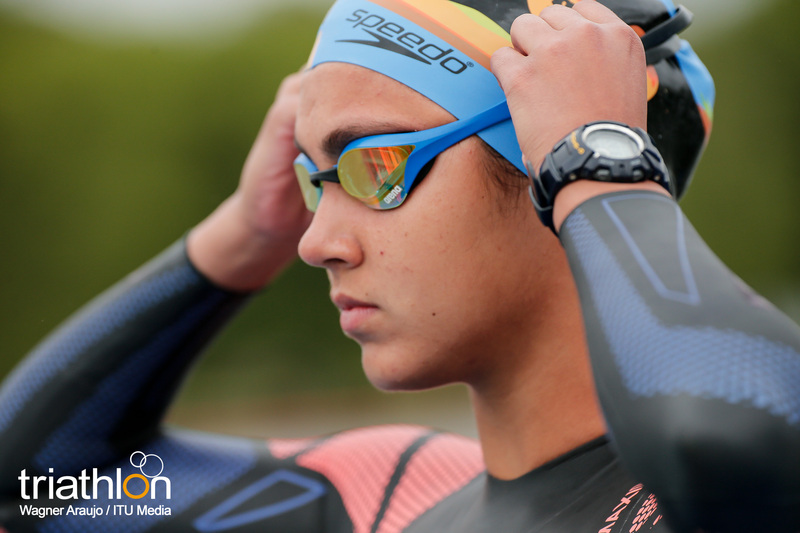 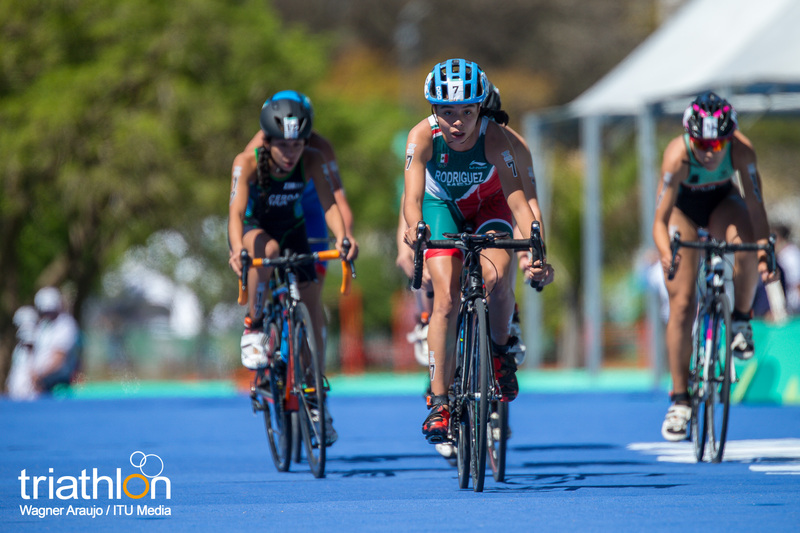 Athletes from Venezuela, Cuba, Hong Kong or Granada will have the chance of become role models on their respective countries just by participating in the Youth Olympics, a goal not easy to achieve, proving once more that triathlon suits all ages and conditions. 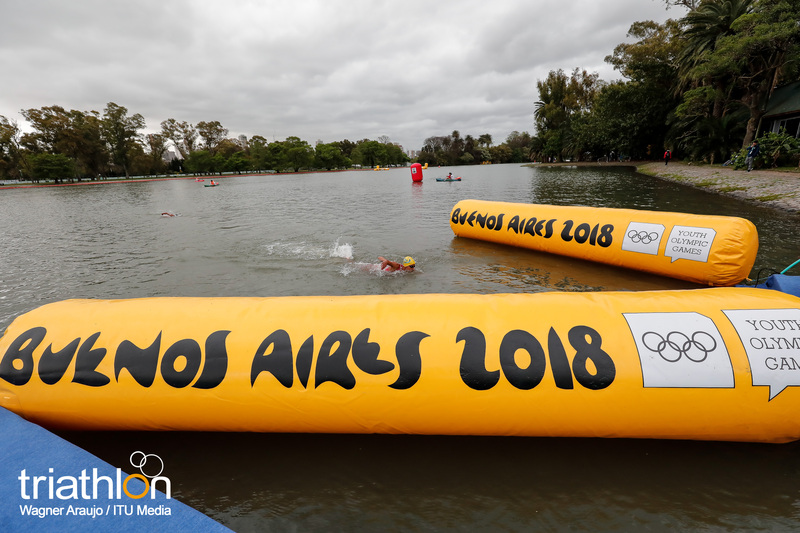 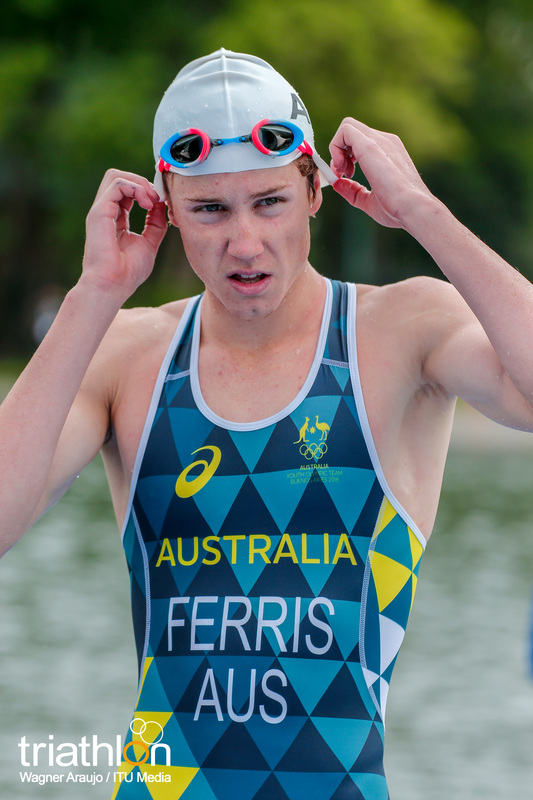 Men’s start list is also packed with future stars of the sport, with 32 young athletes toeing the start line on the pontoon at the Regatas lake this Monday. 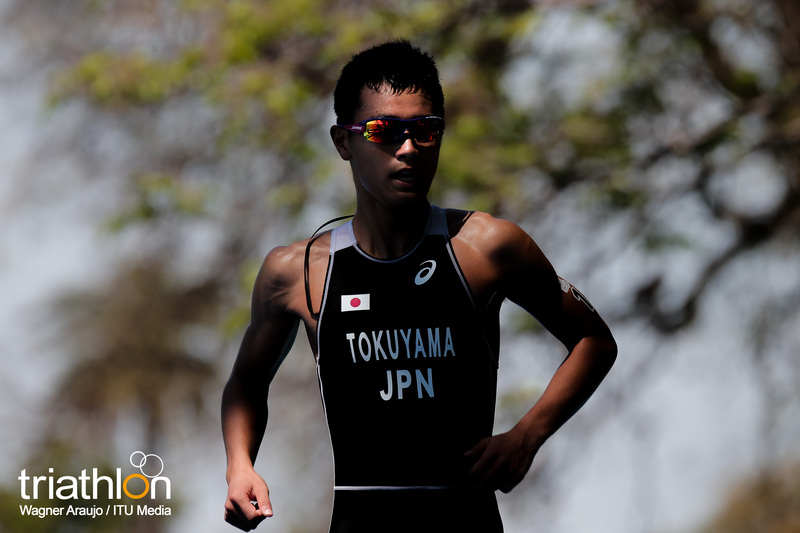 And wearing number 1 will be a Japanese, Tekkei Tokuyama, who not only won the Asian qualifier event but also finished in 8th place in the Asian Junior Championships only a few months ago, and looks strong and confident for taking Japan again to the Youth Olympics podium. 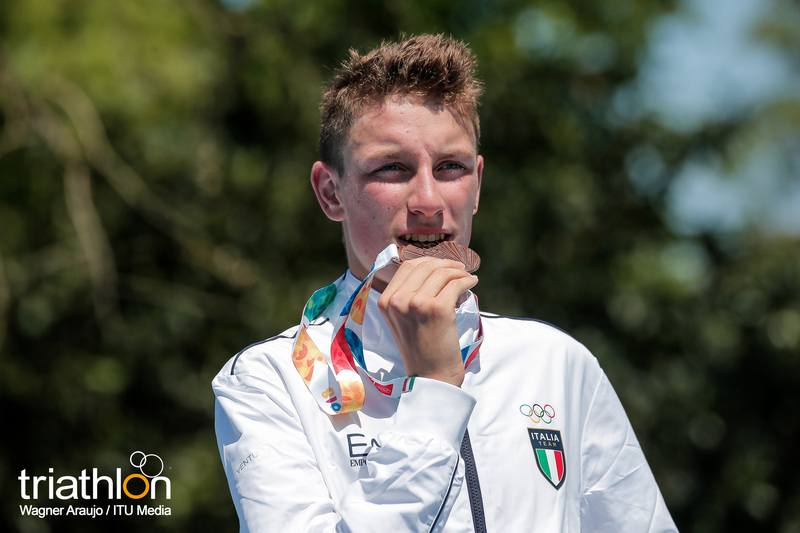 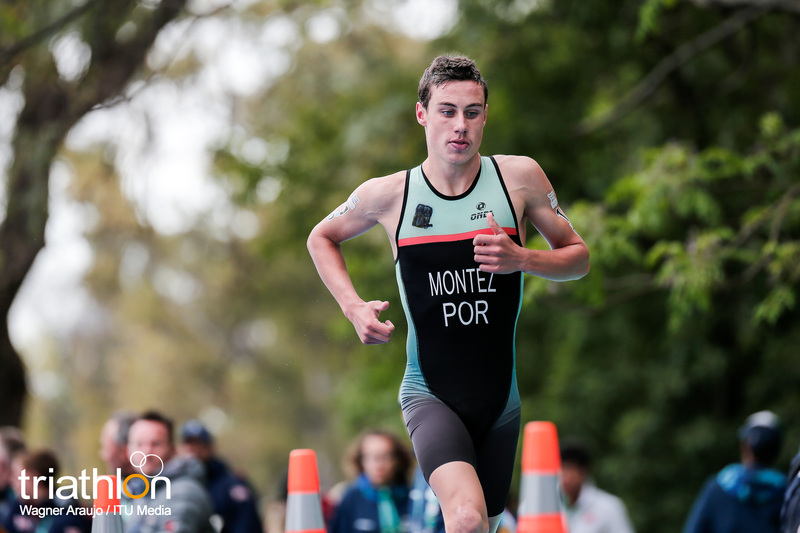 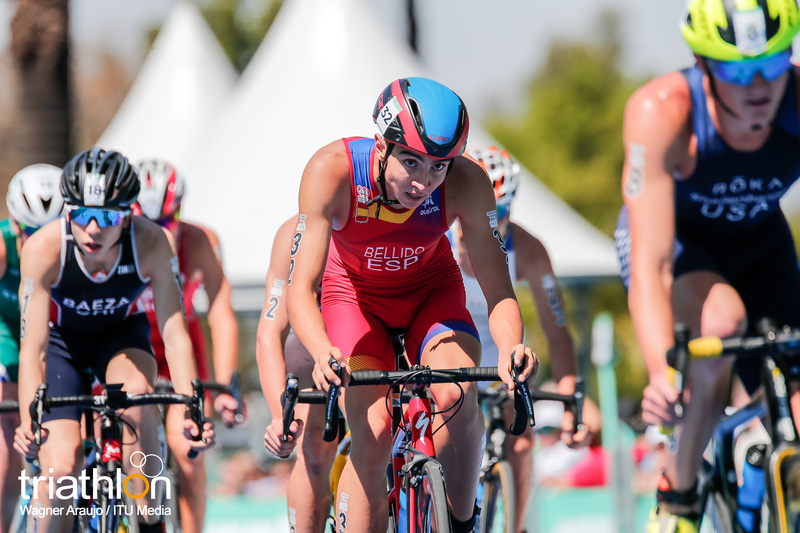 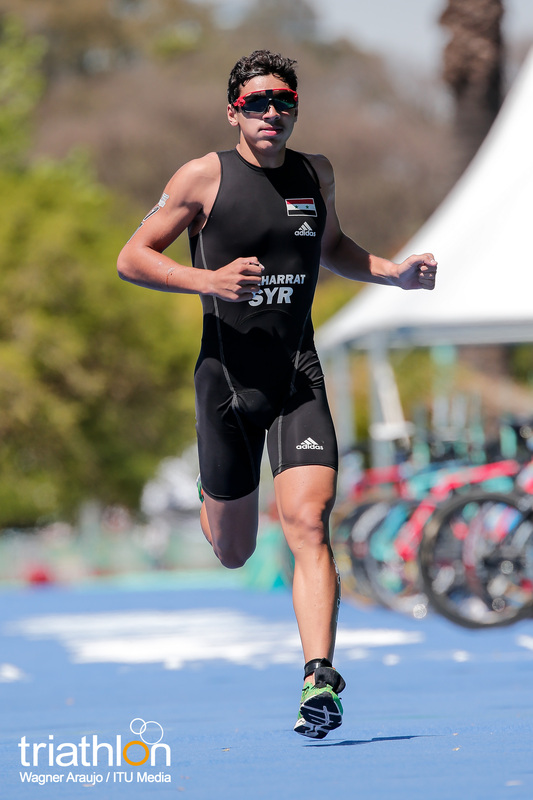 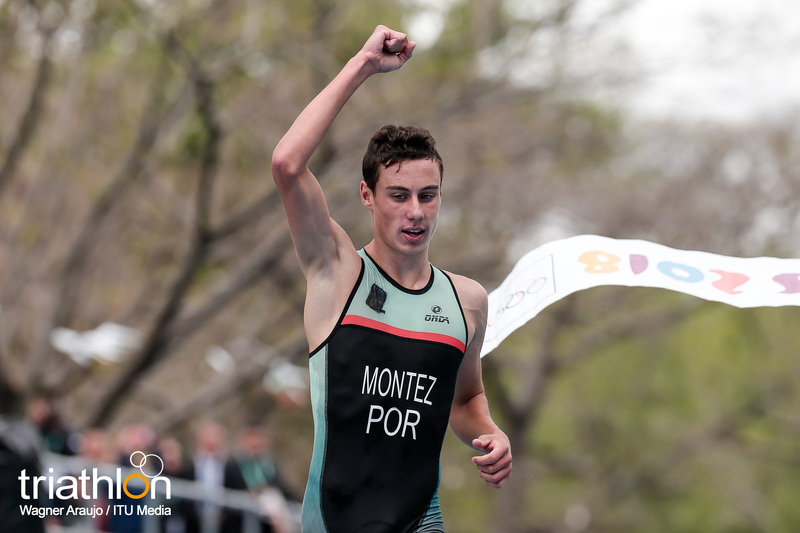 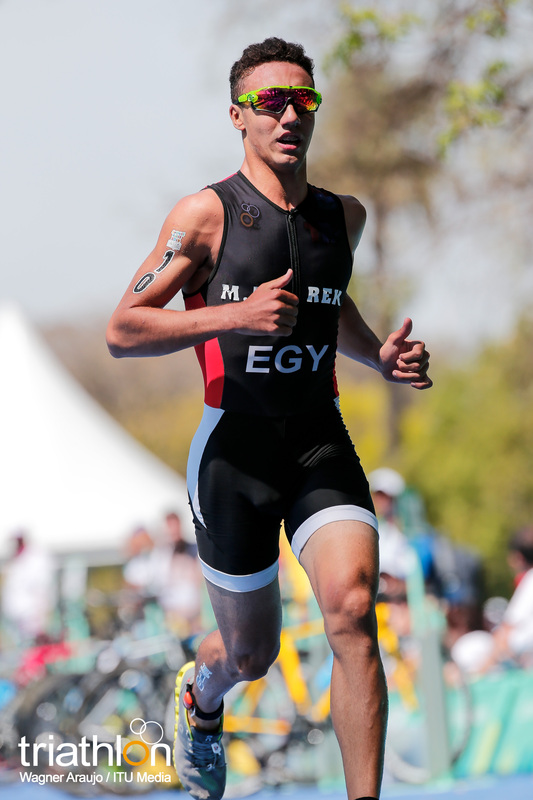 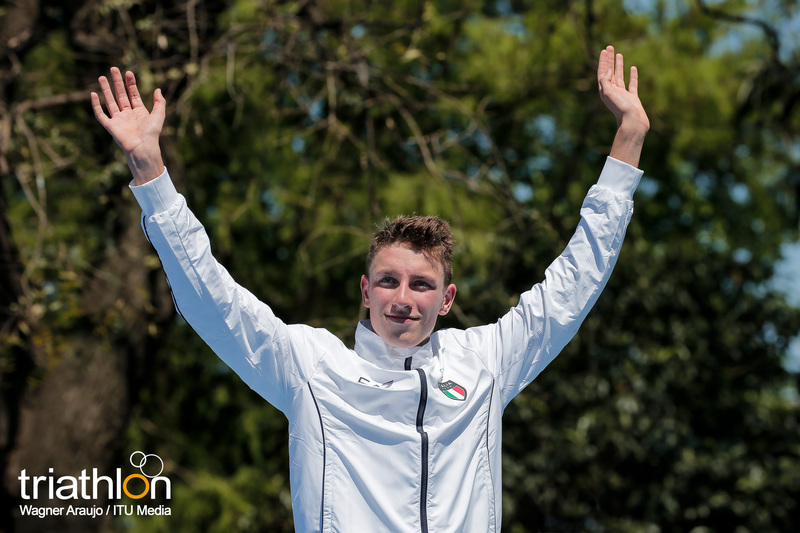 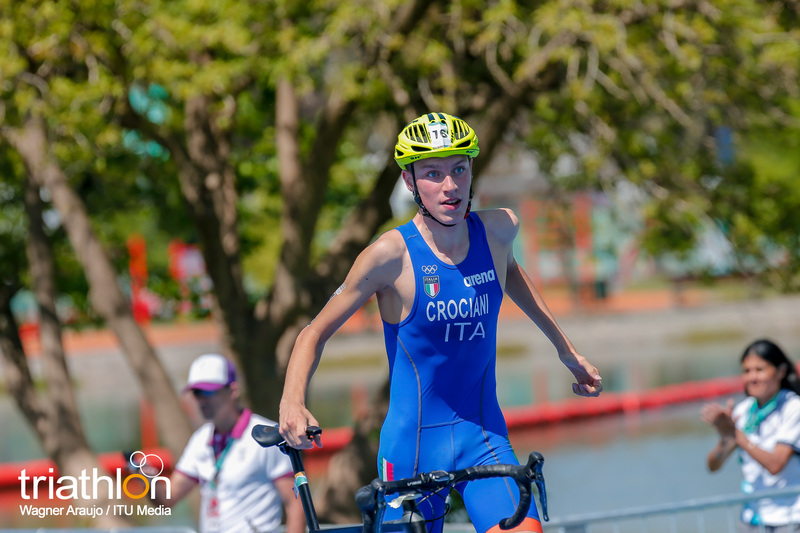 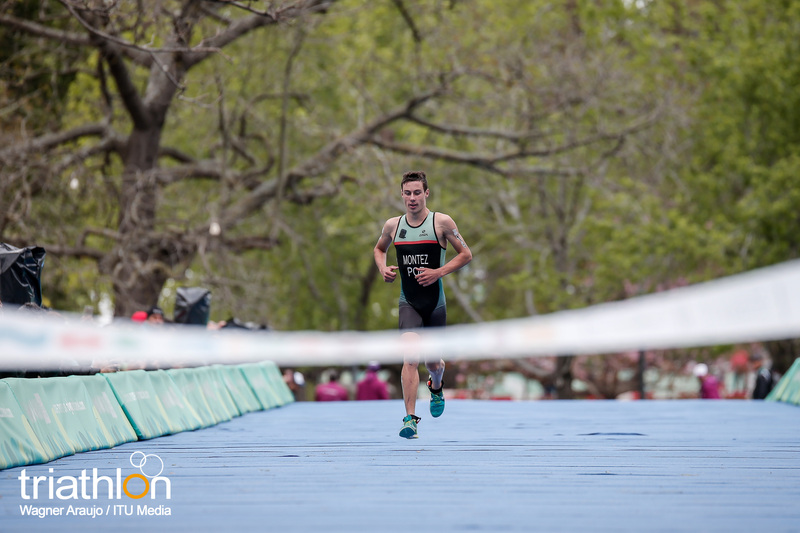 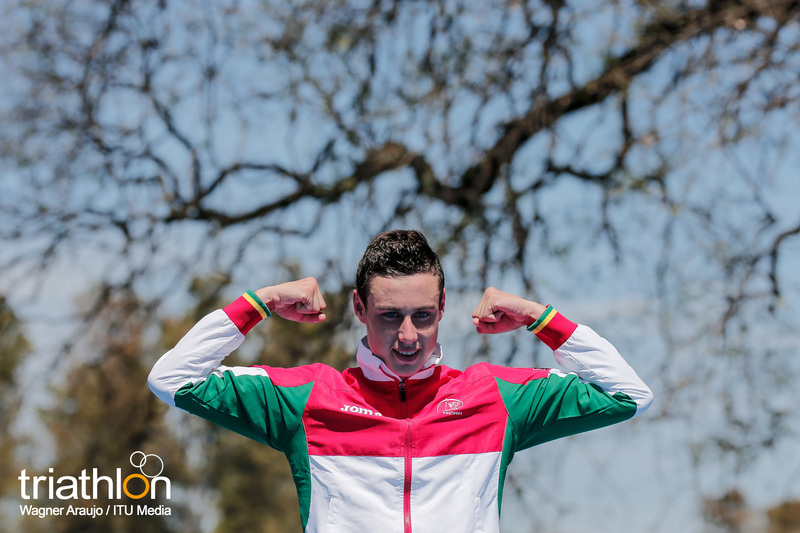 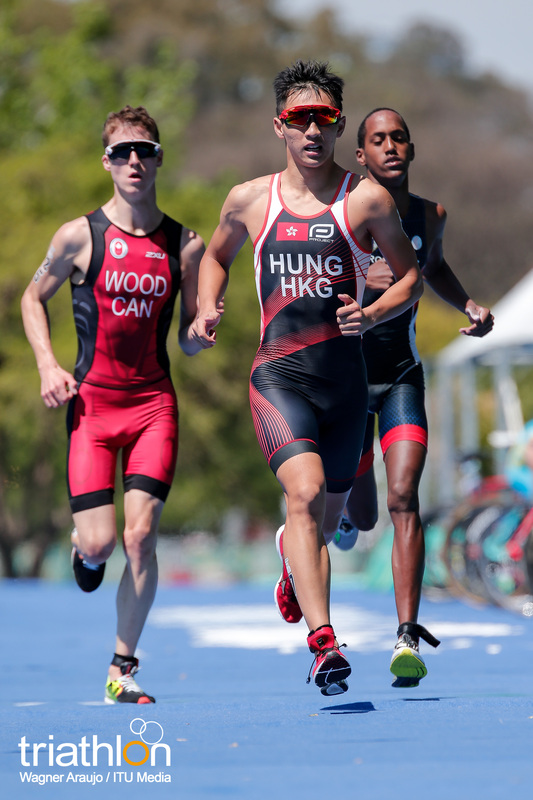 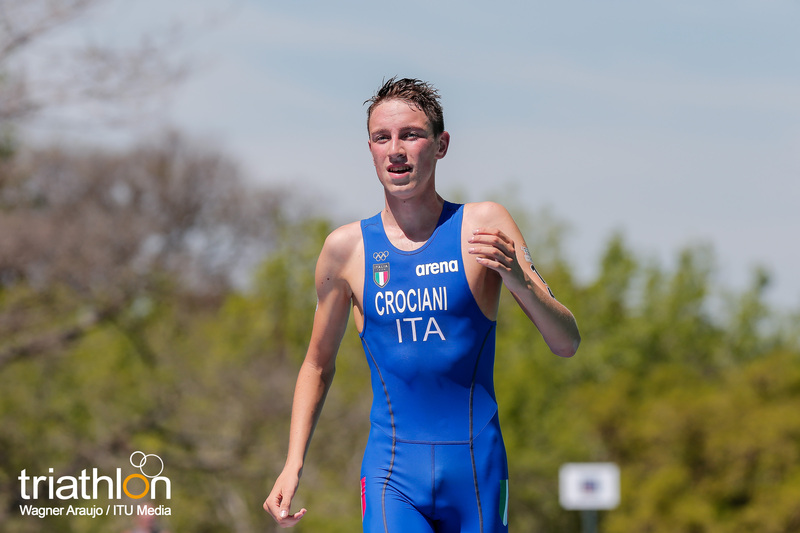 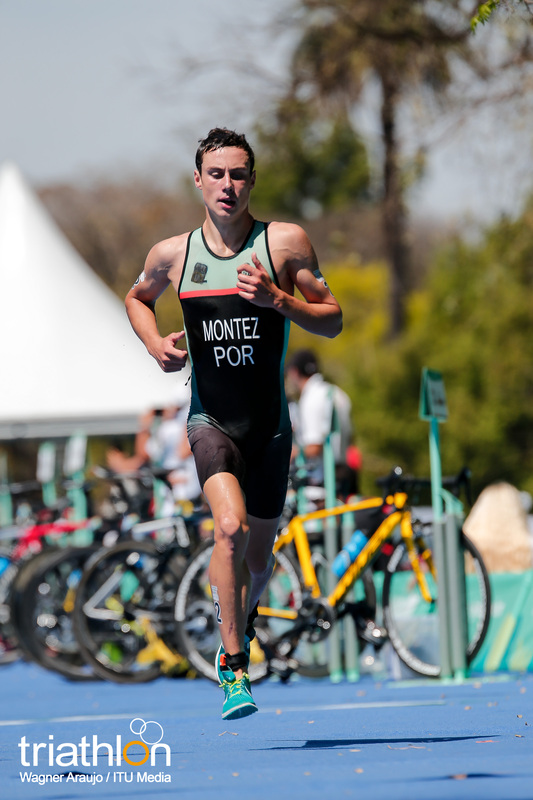 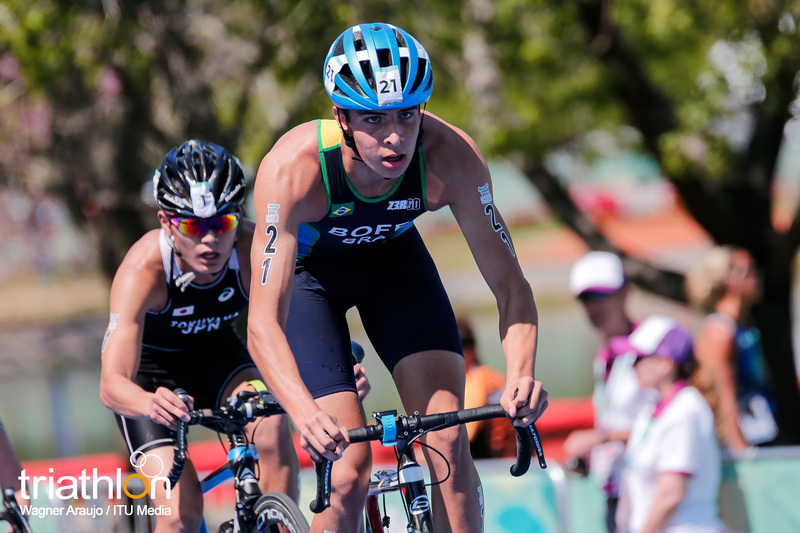 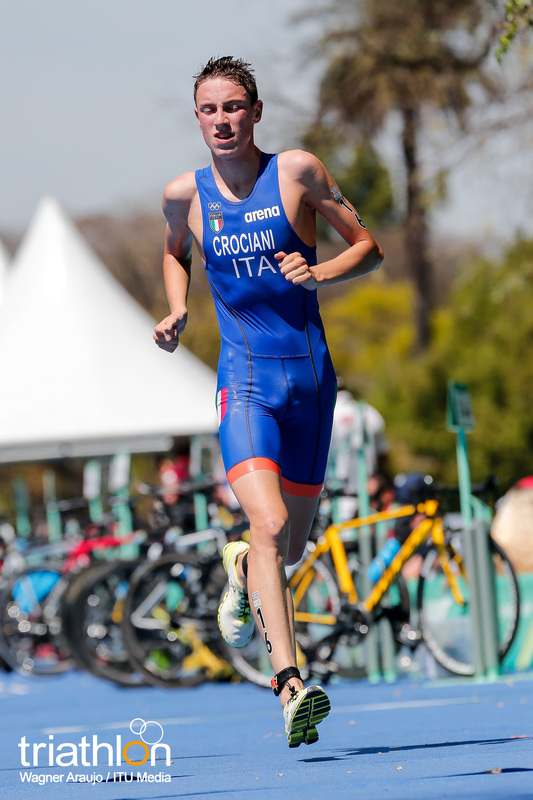 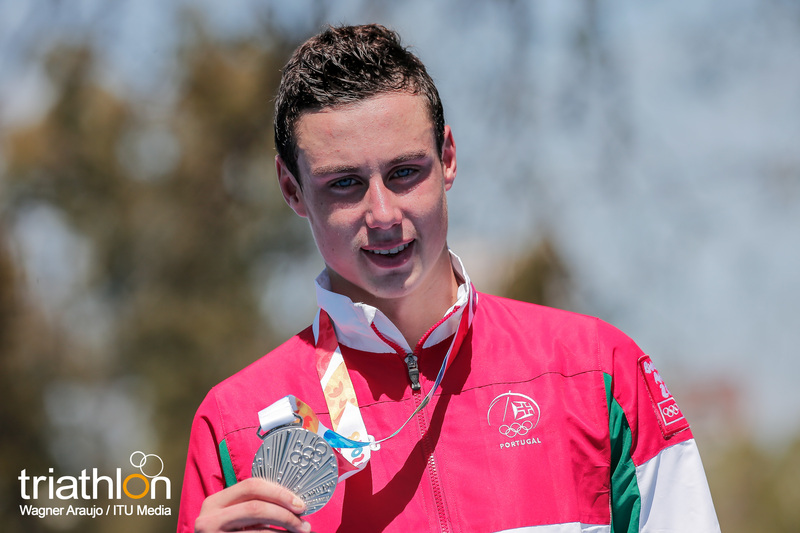 The Europeans will have a strong team competing in the Youth Olympics, with some strong names within the younger athletes, like Portugal’s Alexandre Montez -third in Banyoles and second in the Loutraki ETU Triathlon Youth European Championships Festival- or the Hungarian Gergely Kiss, one of the newest incorporation to the strong squad of young hungarians. 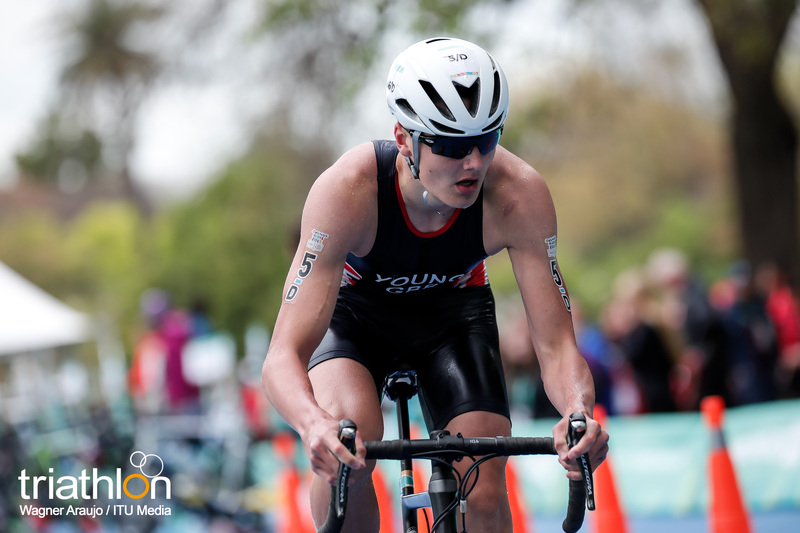 Eyes should also be set on Calum Young (GBR), part of a group of about six British boys who are all really strong prospects for the future. 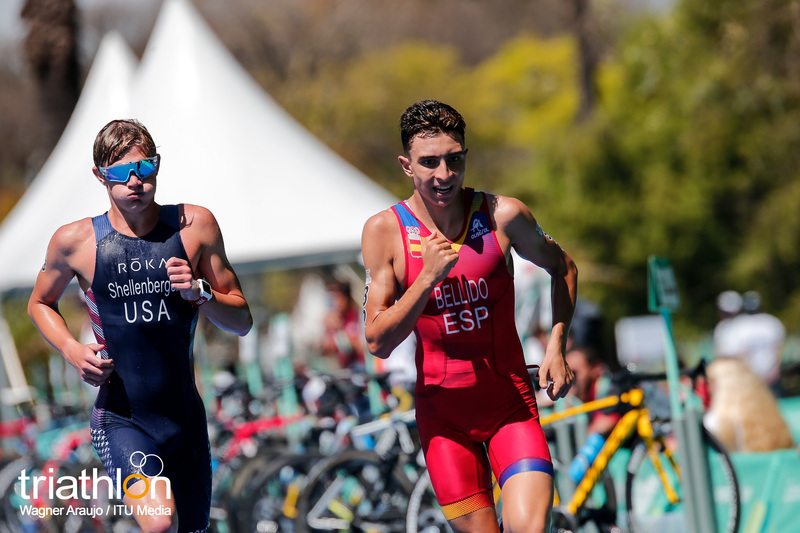 Spaniard Igor Bellido has been training hard with some other Spaniard older triathletes in the last months, which also puts him in the pack of the ones to watch. 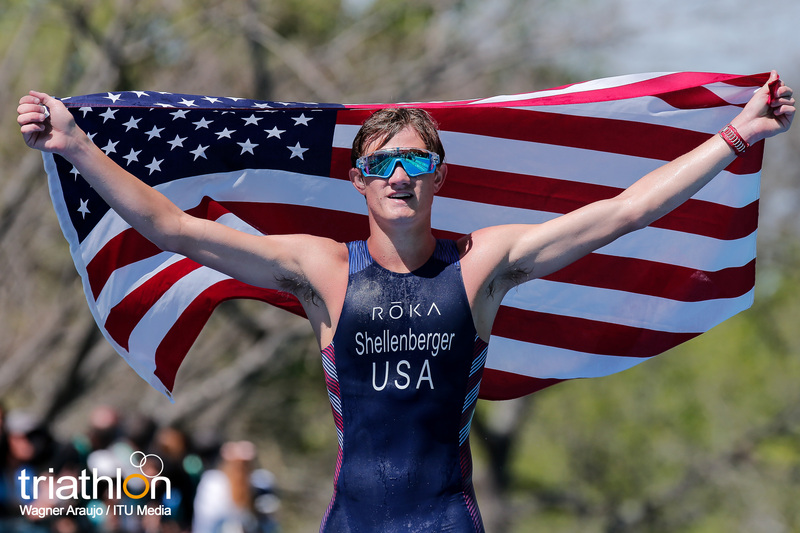 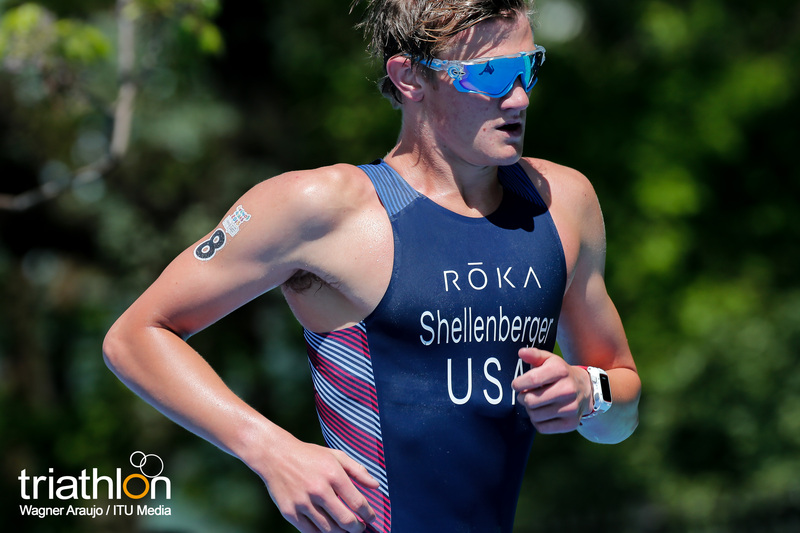 Andrew Shellenberger (USA) is one of the athletes that has been doing triathlons for longer, since he did his first swim-bike-run when he was only four years old. 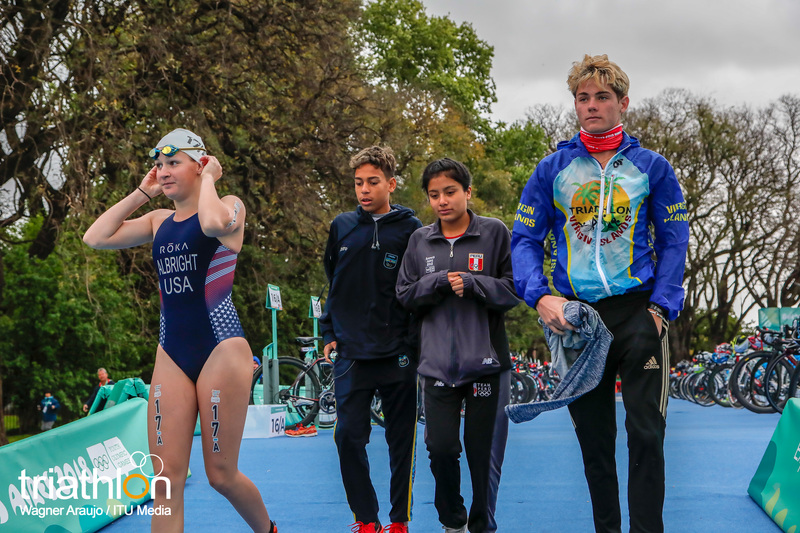 He is also a standout swimmer, which gives him the condition of one of the favourites to continue the great performance that USA triathletes have shown at the Youth Olympics. 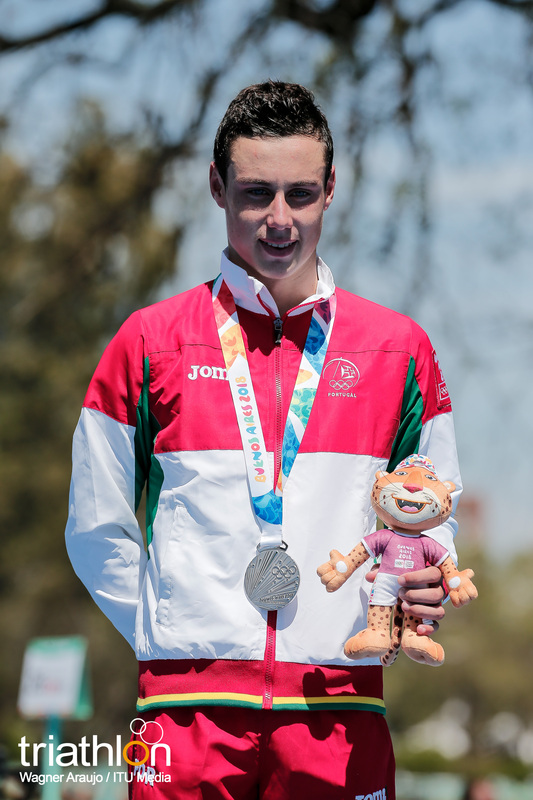 Mexican hope, Javier Antonio De La Peña Schott, can also be considered as will be Aussie Joshua Ferris and Canadian Solen Wood. 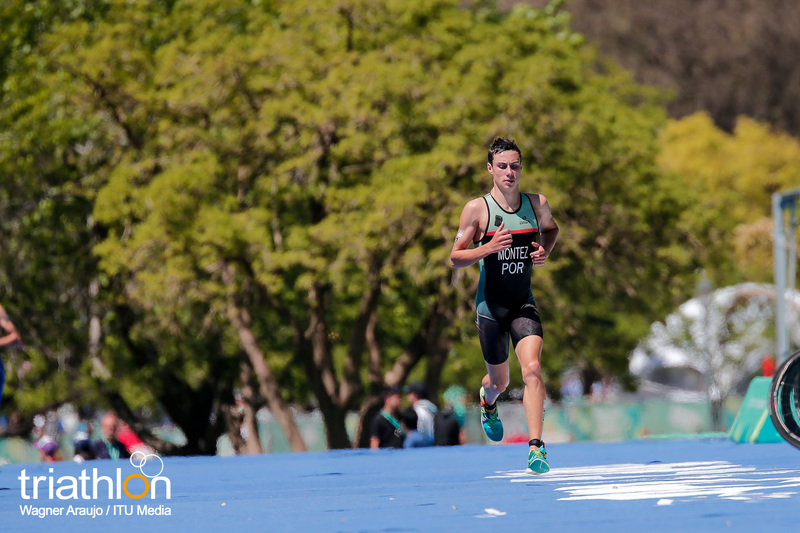 The Men’s race will be a great opportunity to see some athletes competing from countries that not always have the chance of participate in the Olympics, such as Syria, with Zakaria Alkarrat; Aruba with Giannon Lisandro Eights or the Virgin Islands, with Dominic Pugliese. 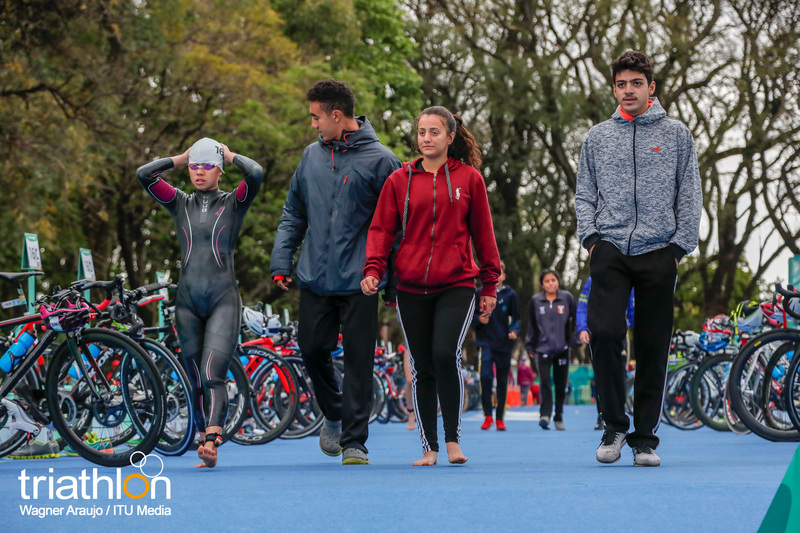 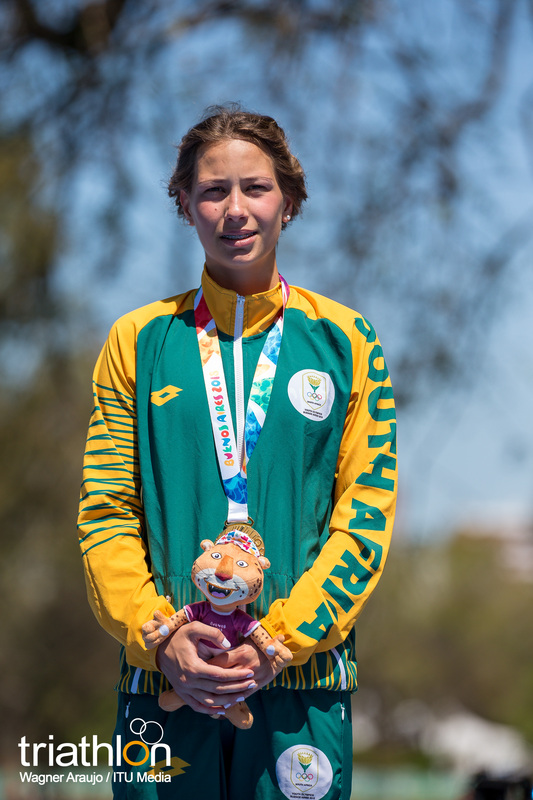 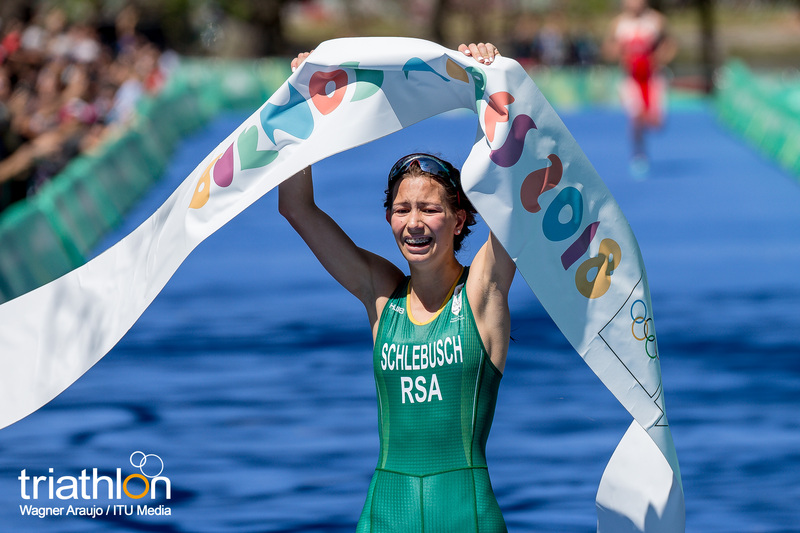 For all of them, just competing at the Youth Olympics is a great step towards the development of triathlon in their own countries, and also a great chance for them to live the amazing experience of competing at the Olympics. 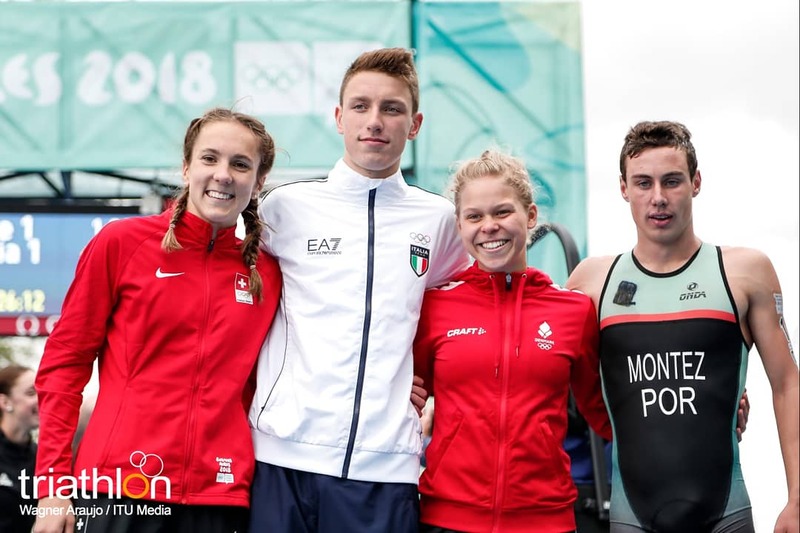 With each NOC having just one female and male athlete competing in the Youth Olympic Games event, the Mixed Relay takes on an exciting multicultural format. 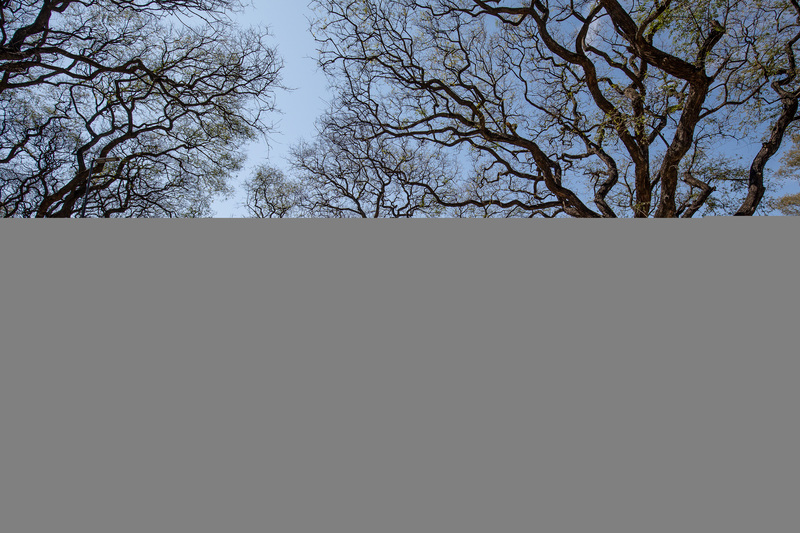 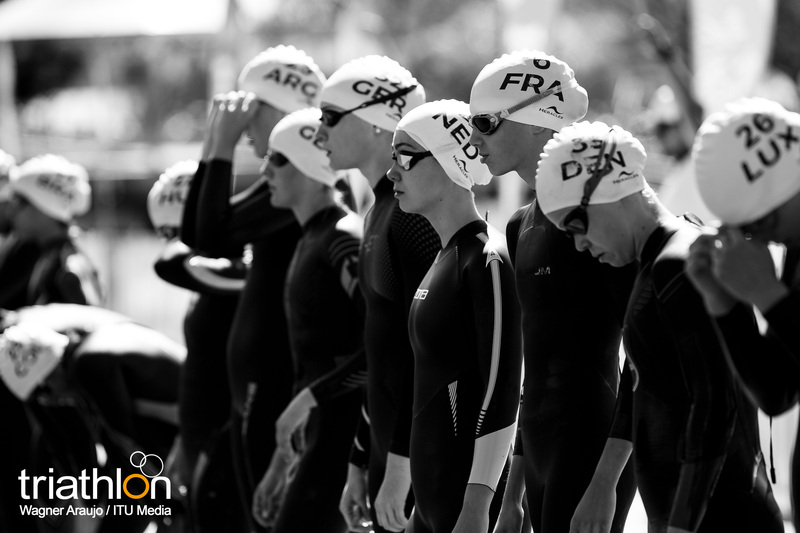 Teams are formed by continent (Africa, Americas, Asia, Europe, Oceania and World). 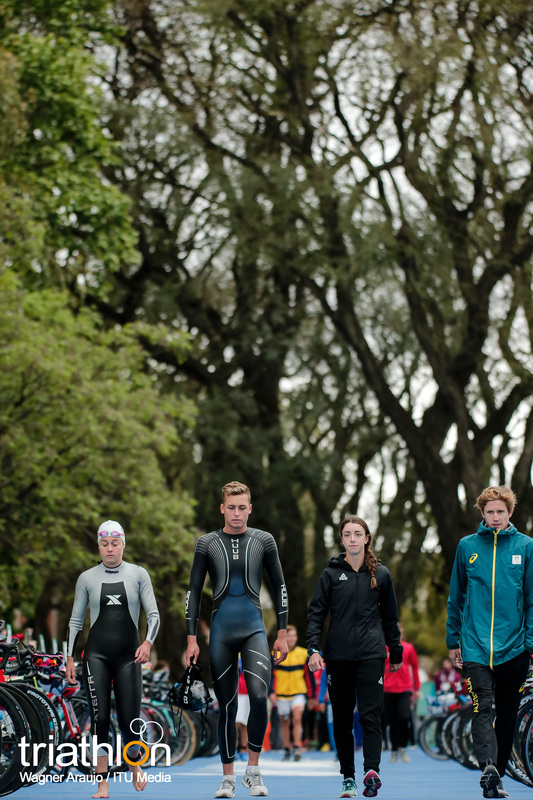 There may be several teams per continent, i.e. 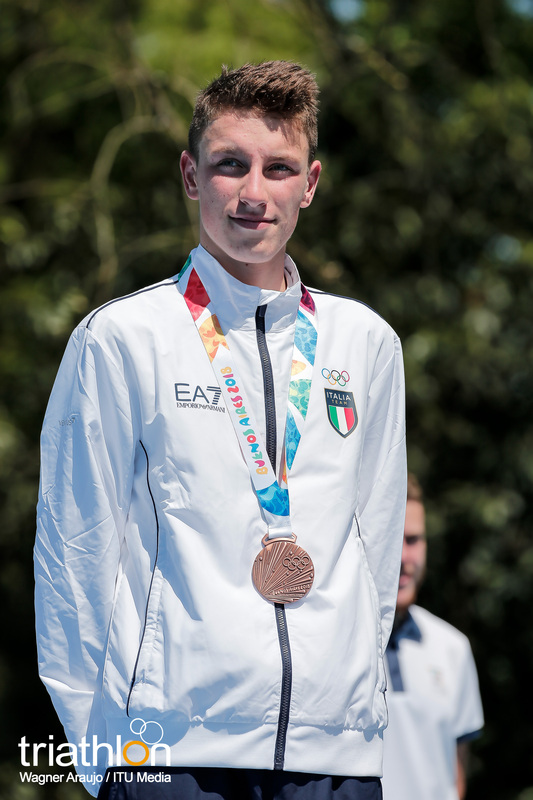 Europe 1, Europe 2, etc. 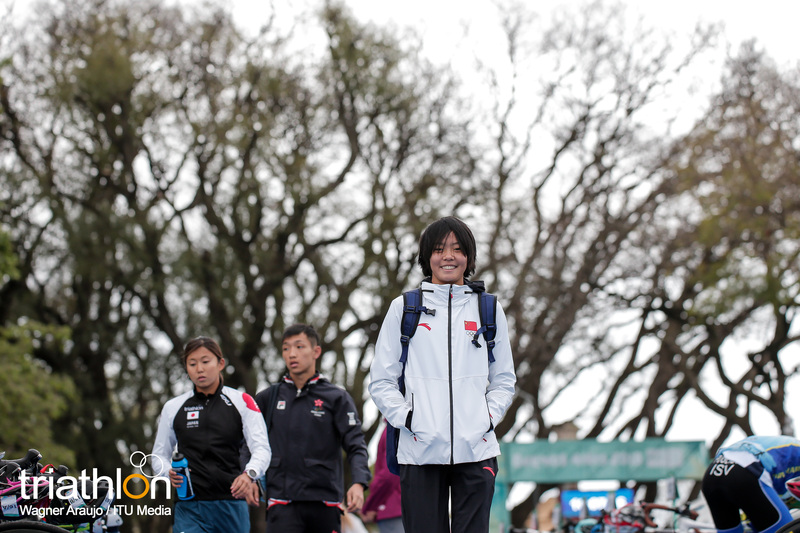 Each team is composed of two women and two men. 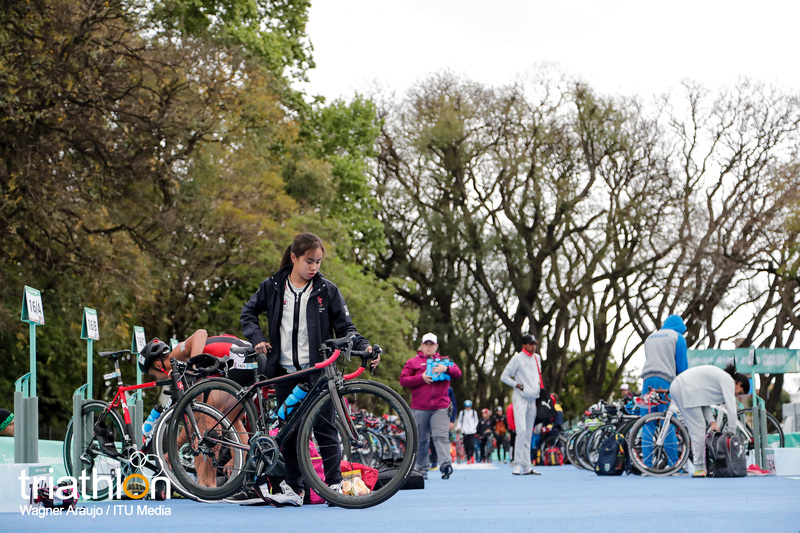 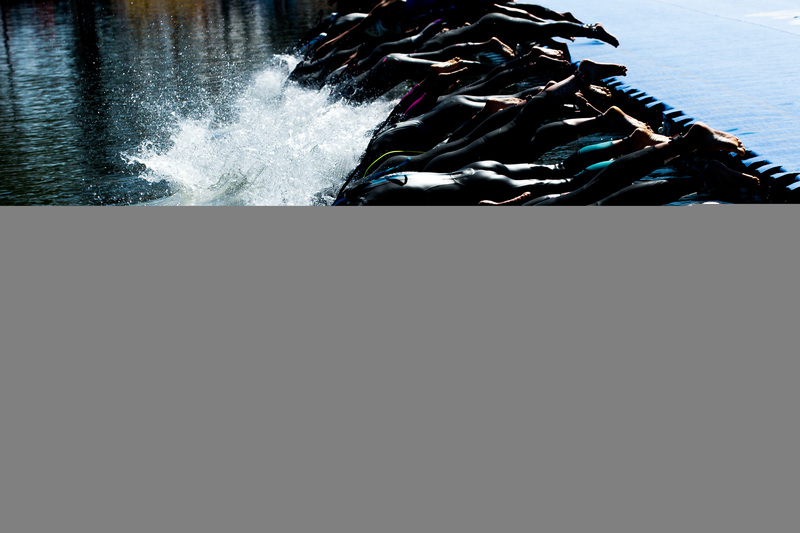 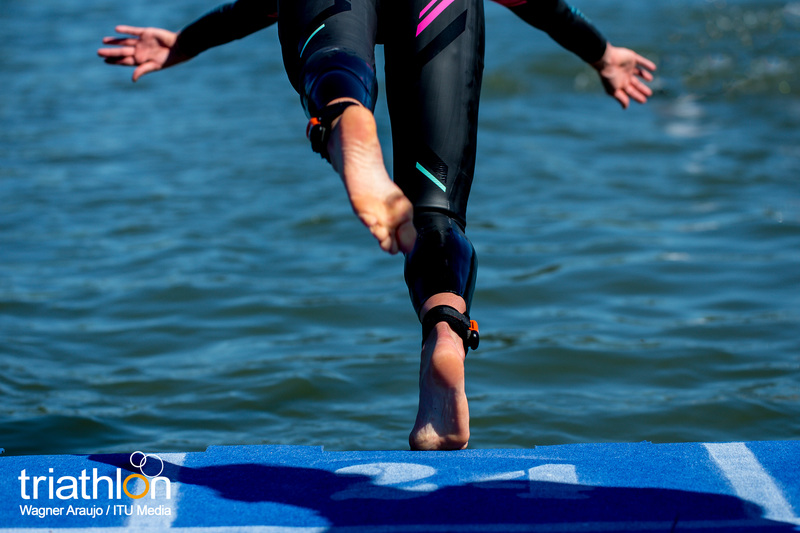 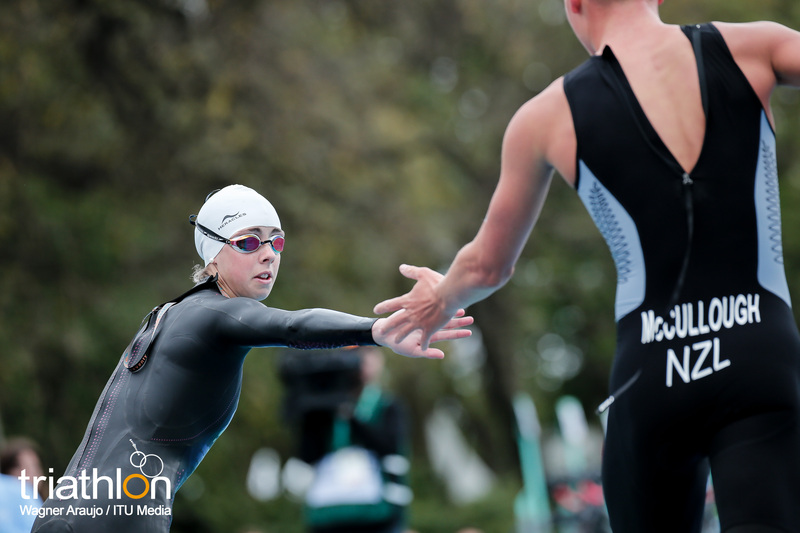 Each athlete competes all three segments (swim, bike, run) before the relay is passed on to the next team member. 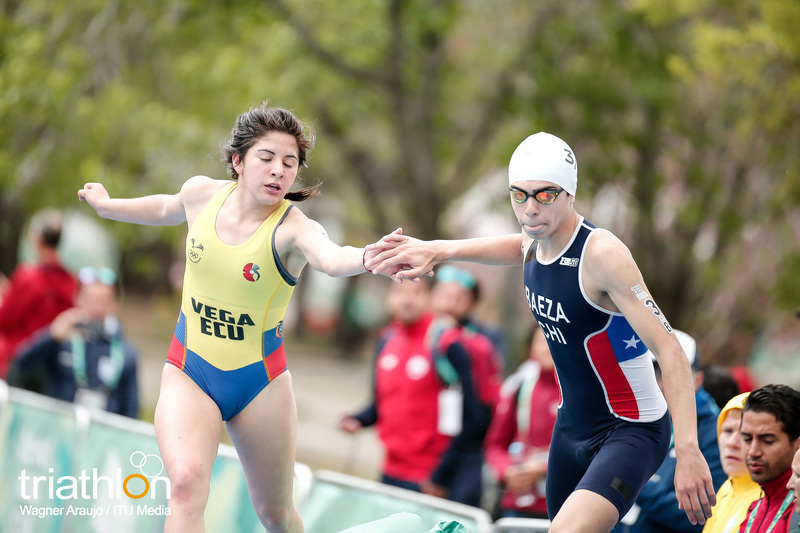 Composition of teams is based on the results of the individual competitions. 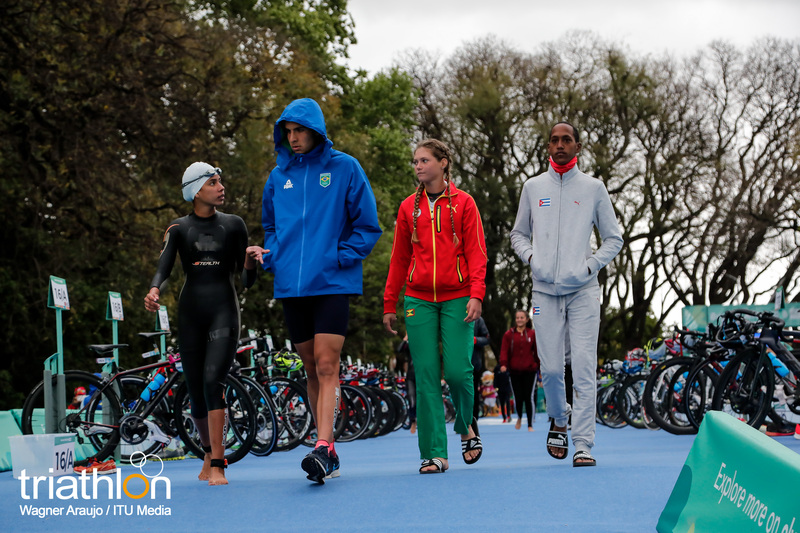 Team 1 will be composed of the first ranked woman, first ranked man, second ranked woman and second ranked man for that continent. 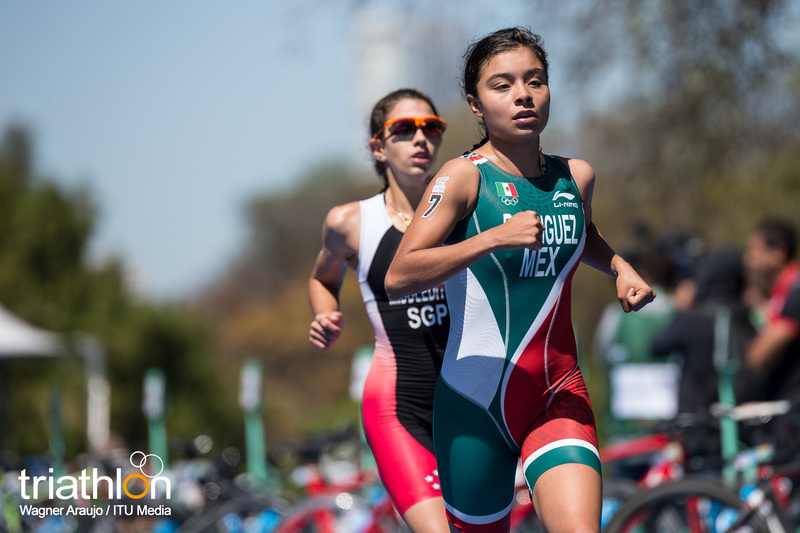 The remaining athletes will go into a world team. 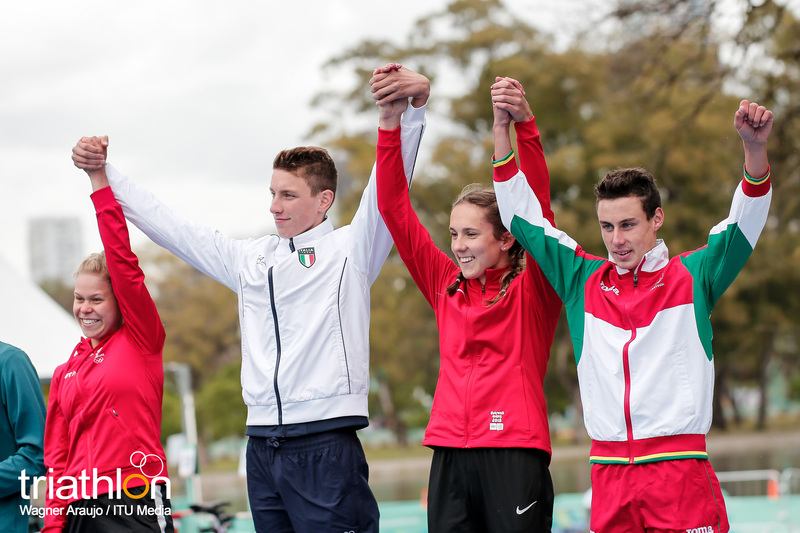 Start order within each team will be announced at the briefing to take place two days before the relay competition.